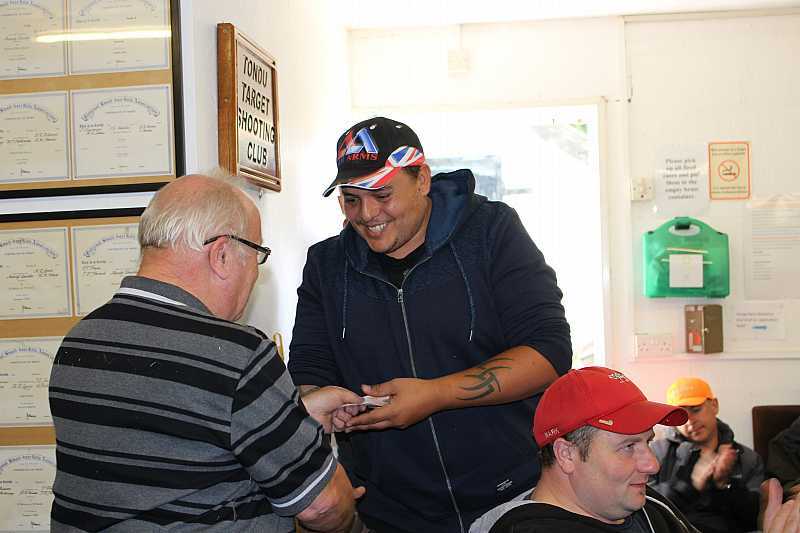 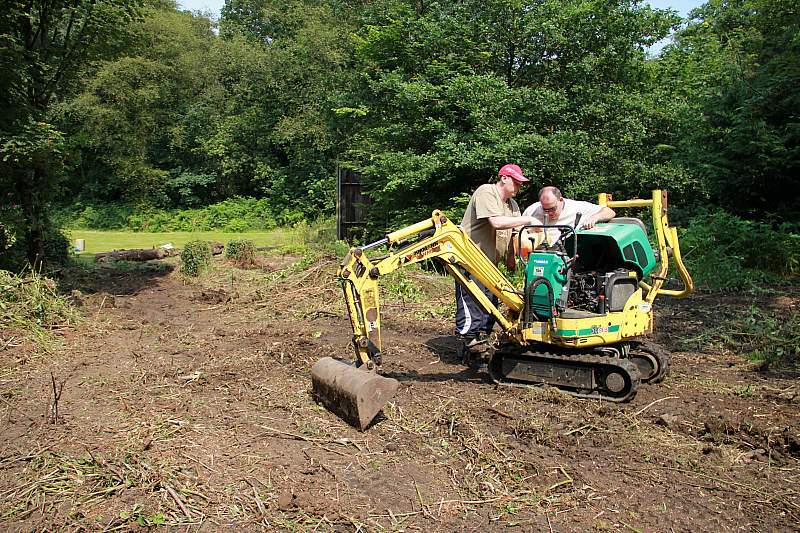 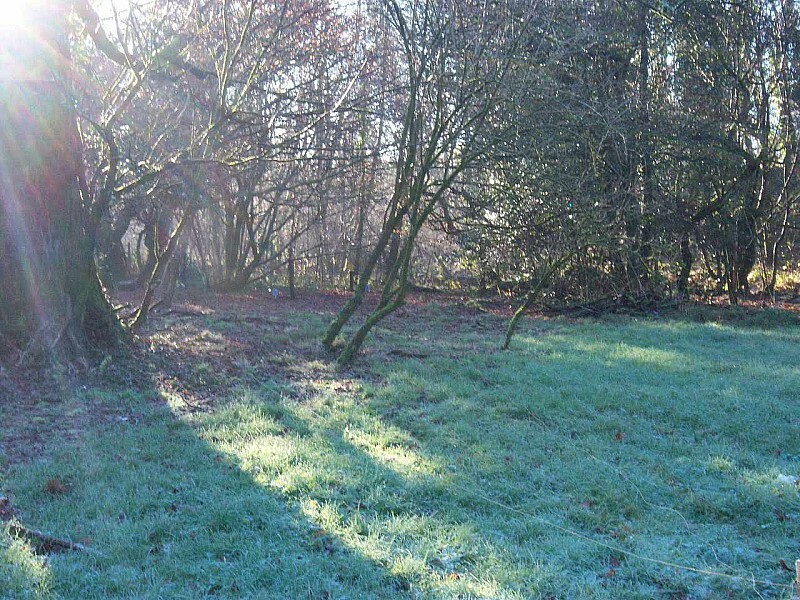 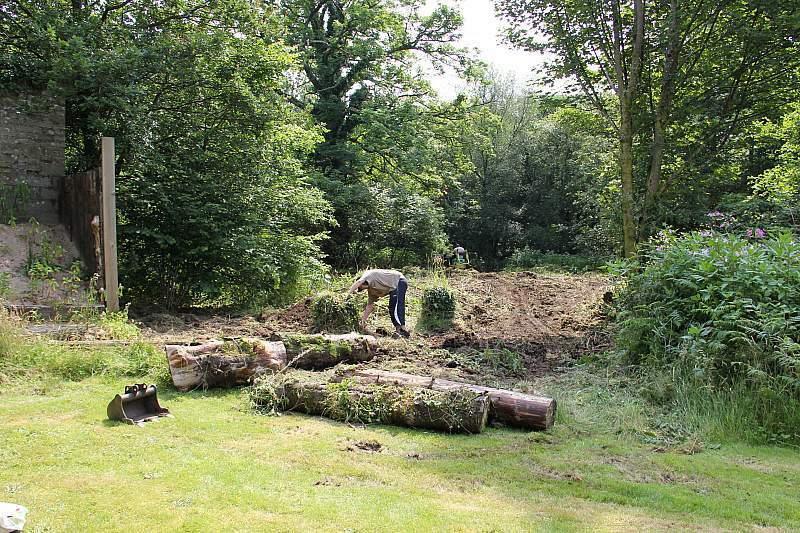 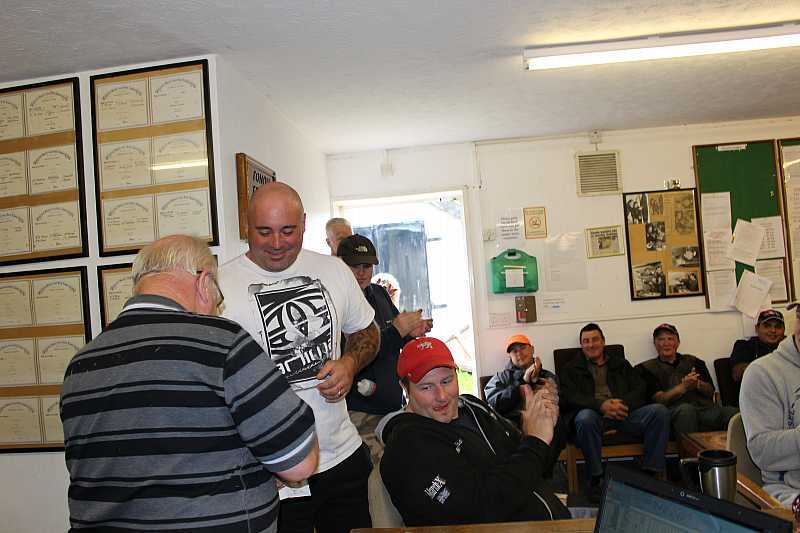 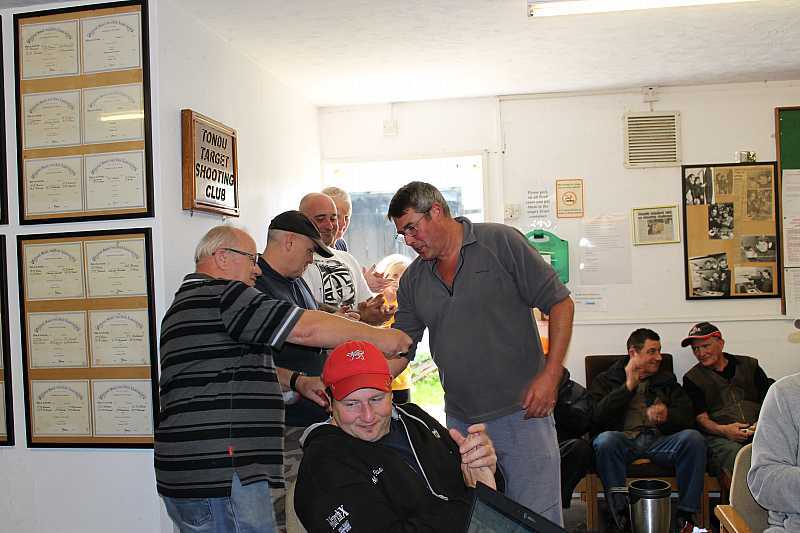 The following photos represent some of the history of the club, click one to open it up. 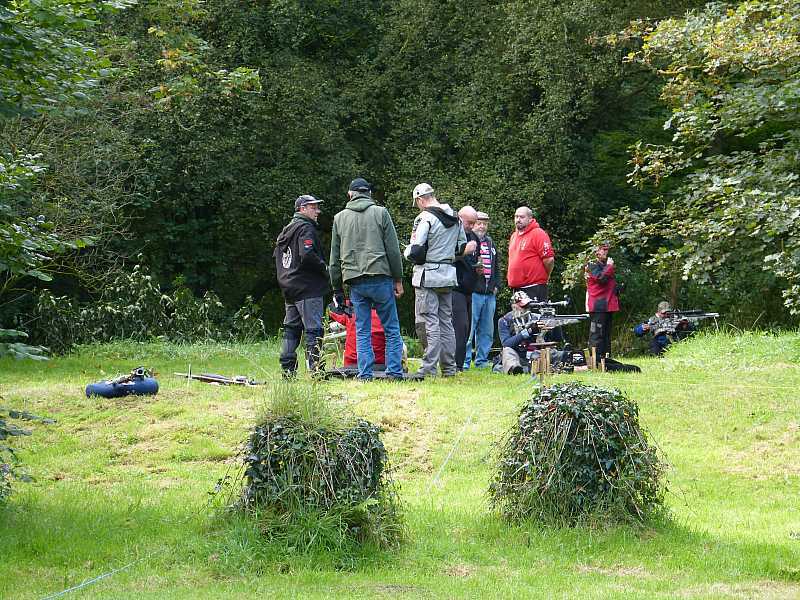 More will be added as they become available and If anyone has any pictures that could loaned for copying, please let Bill Phelps know by emailing from the contact page. 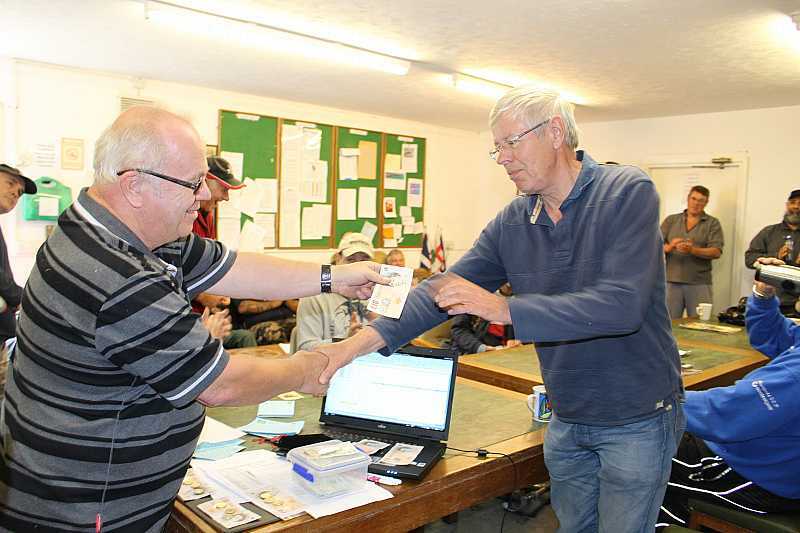 All photos will be scanned and returned to the owner. 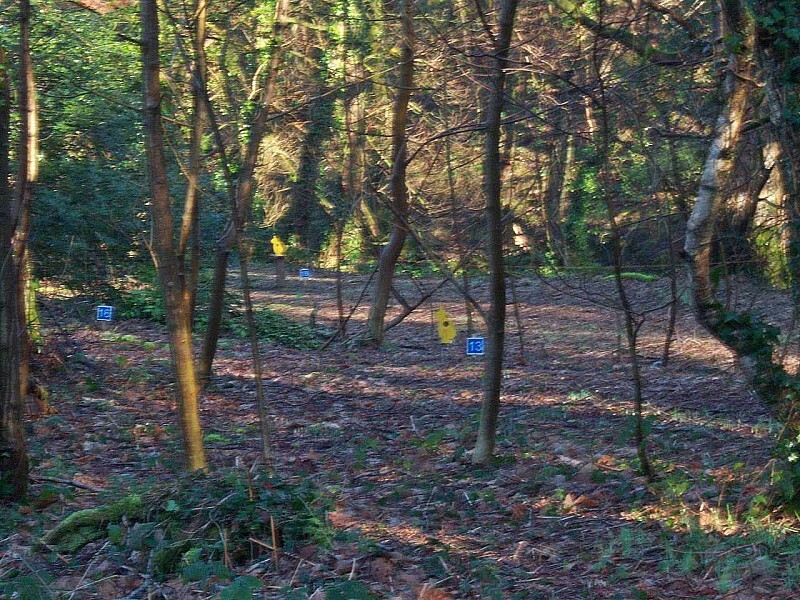 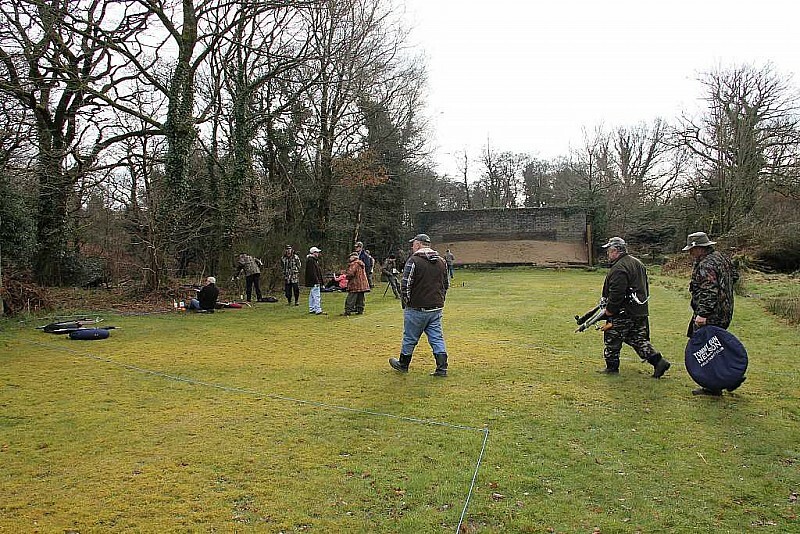 36 shooters turned up to shoot a newly devised FT course. 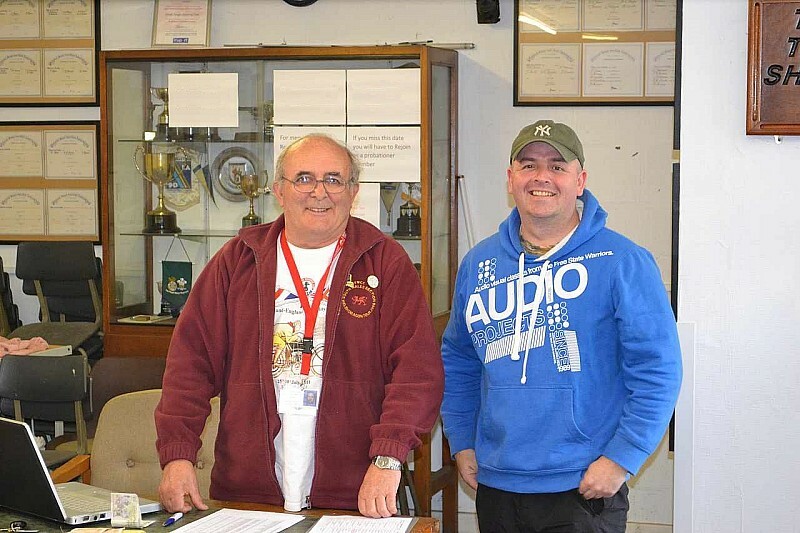 Luckily, we had some help from some of the Tondu FT club members, along with Gary Hando, in setting the course up on the Saturday. 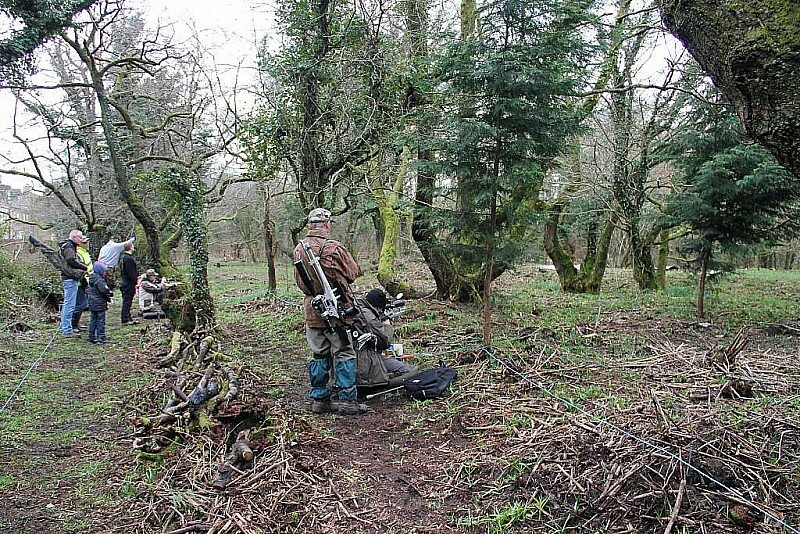 Big thanks to all the helpers. 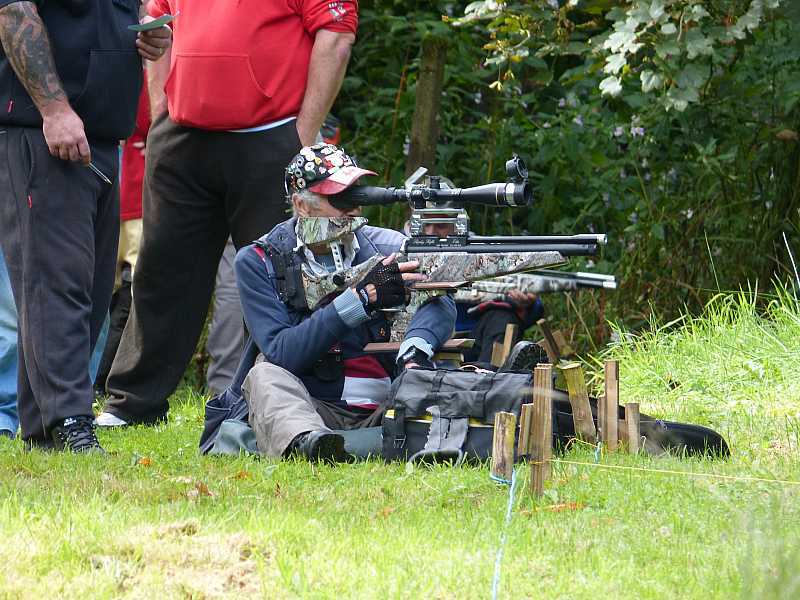 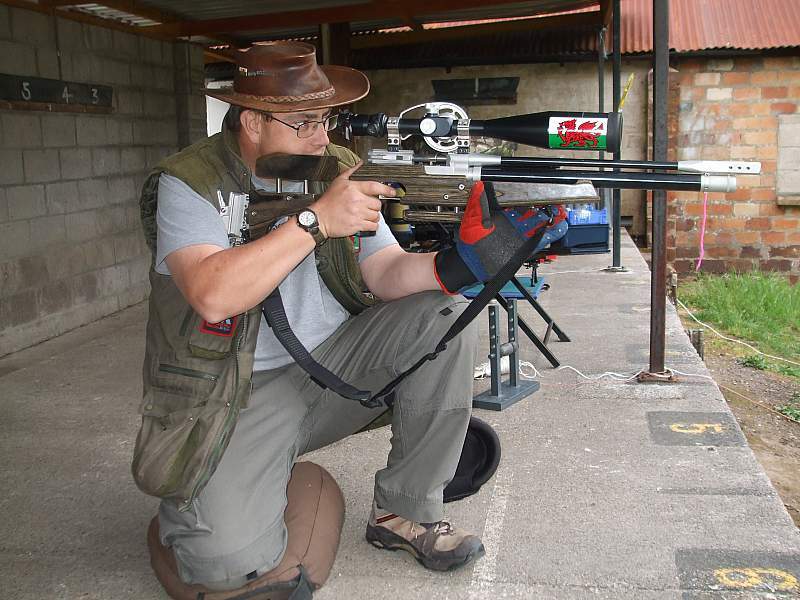 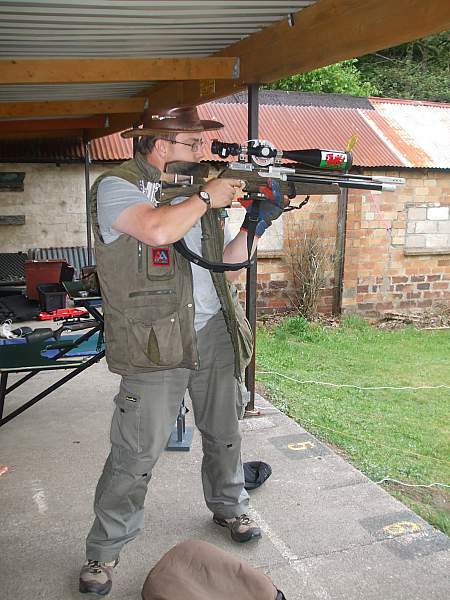 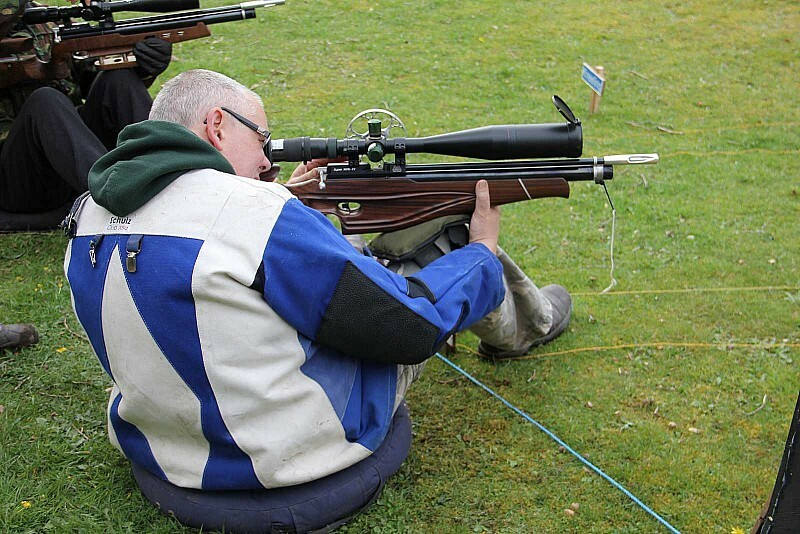 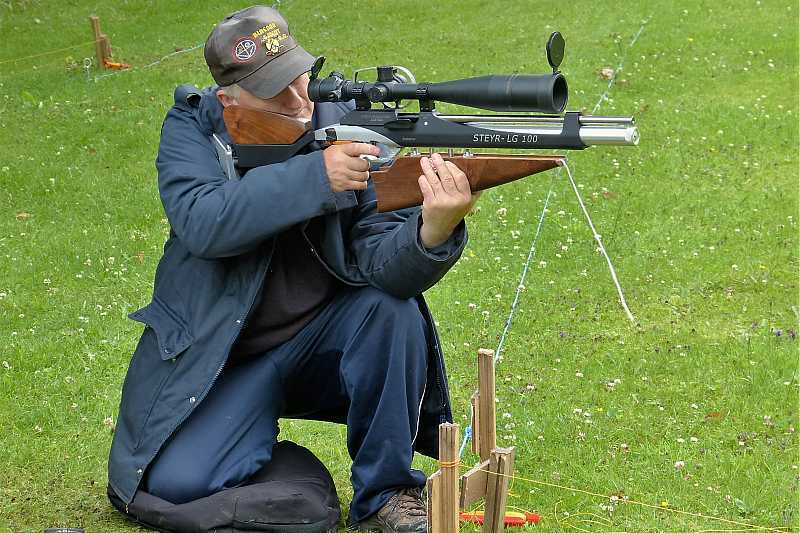 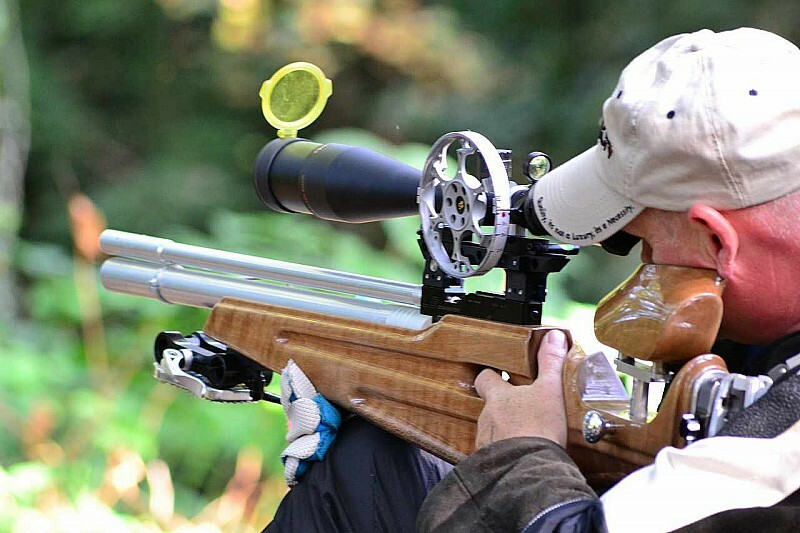 Some 37 shooters turned up to shoot our round of the WAFTA summer championships. 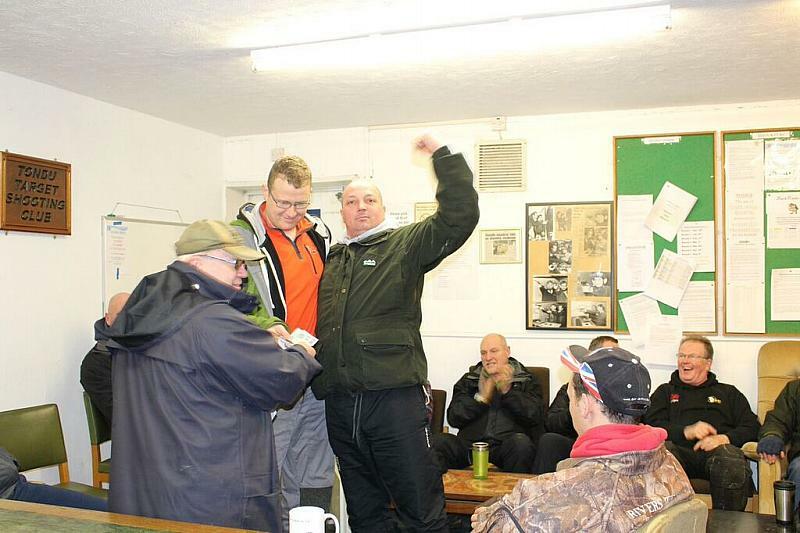 Many thanks to those who helped set up the course and those who helped break it all down - not forgetting Gary, who supplied the pictures. 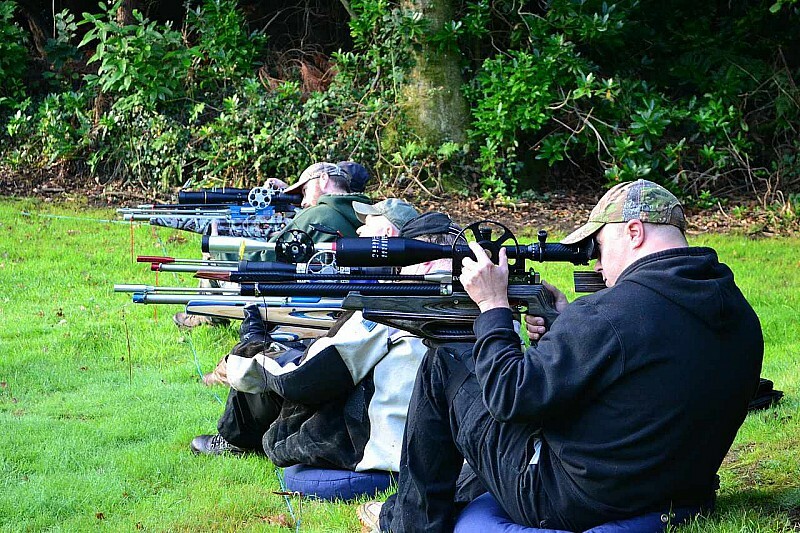 Next WAFTA shoot at our club is set for the 5th March 2017. 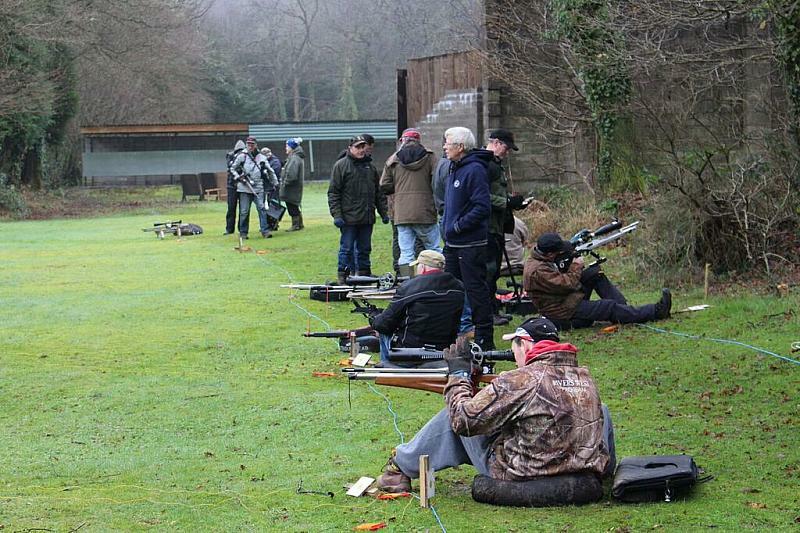 We had some 38 shooters for our round of the WAFTA winter series and the weather wasn't too bad although a touch cold. 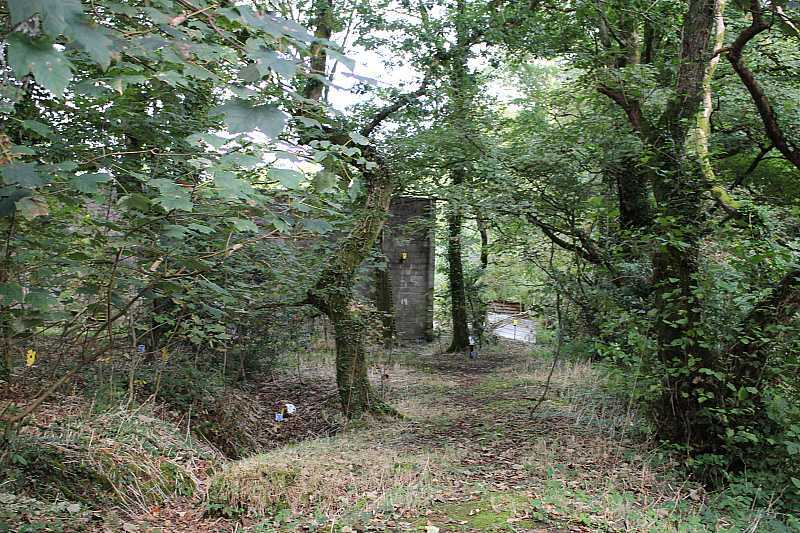 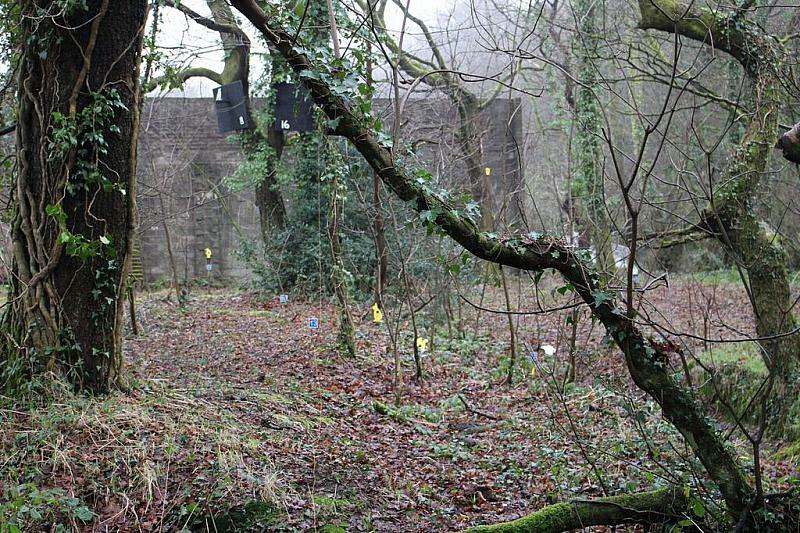 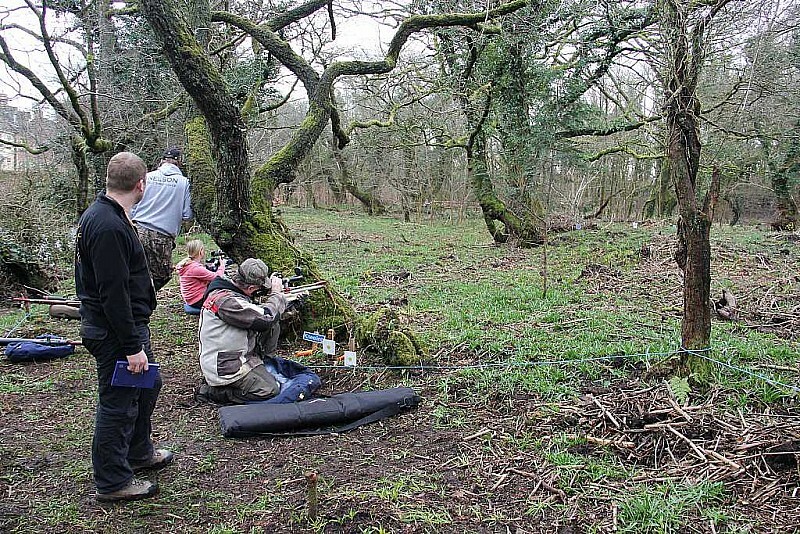 It's worth mentioning that two of the shooters came from Devon having left home at 05:30 to attend. 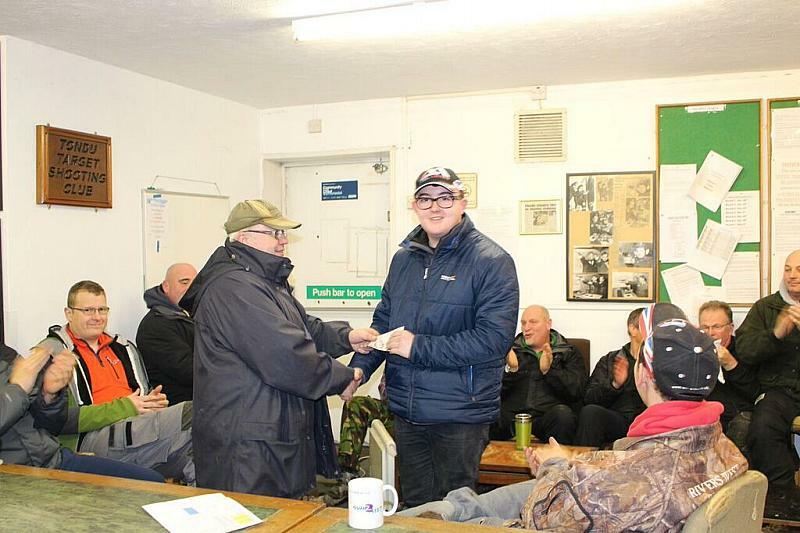 Many thanks to Nancy Thomas for the photos. 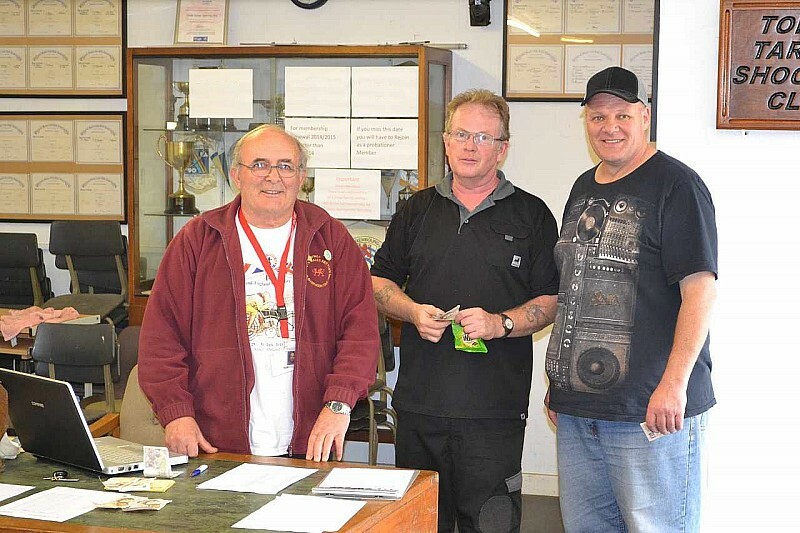 The date for the second of our 2015 rounds of the WAFTA championship saw a good sized entry. 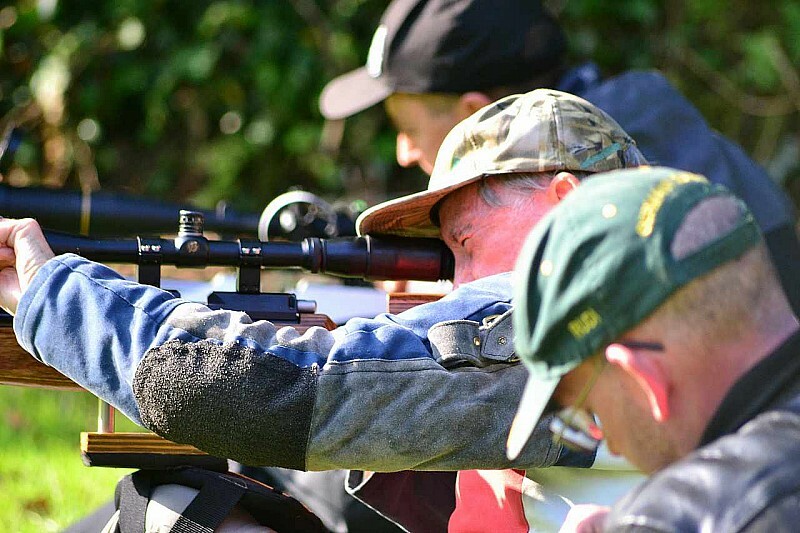 39 shooters turned up for our round of the WAFTA 2014/15 winter series on a very cold, but bright and sunny day. 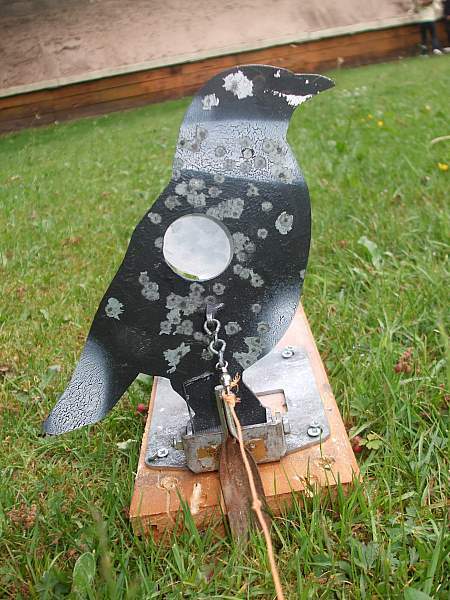 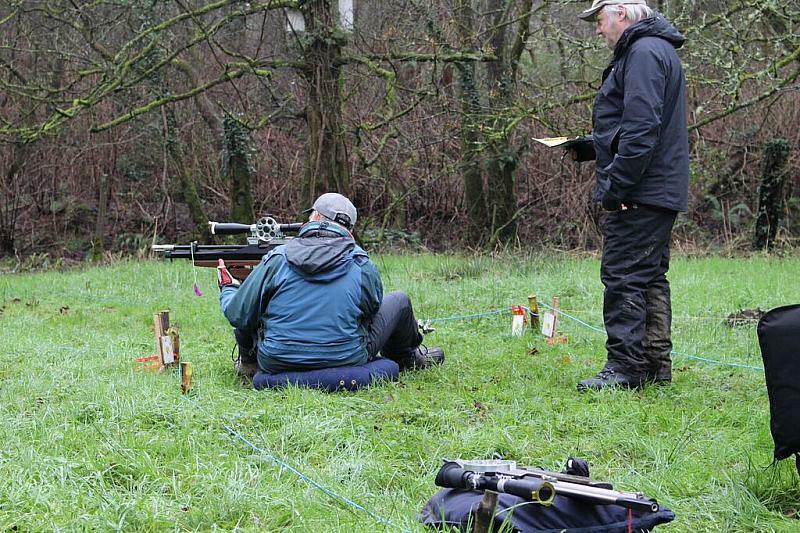 One entrant actually managed a clean round and shot all 40 targets. 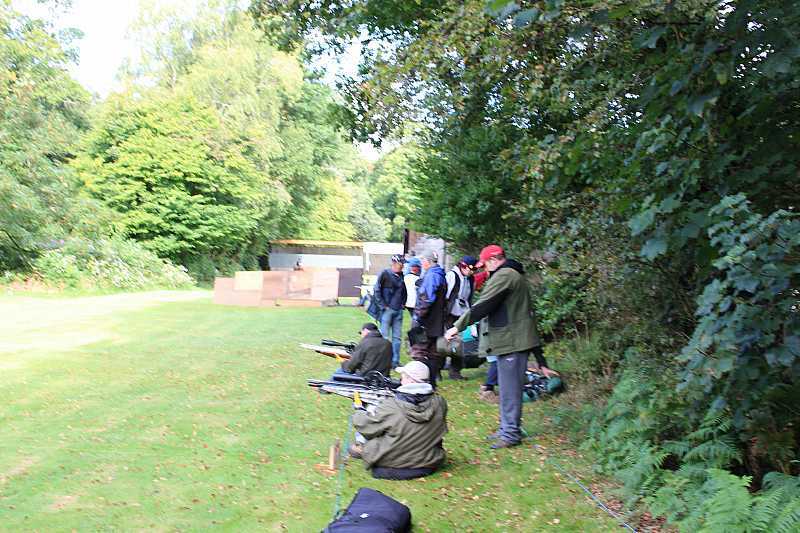 28th Sept 2014 There were some 30 shooters for our round of the WAFTA summer Grand Slam series, with the weather being near perfect. 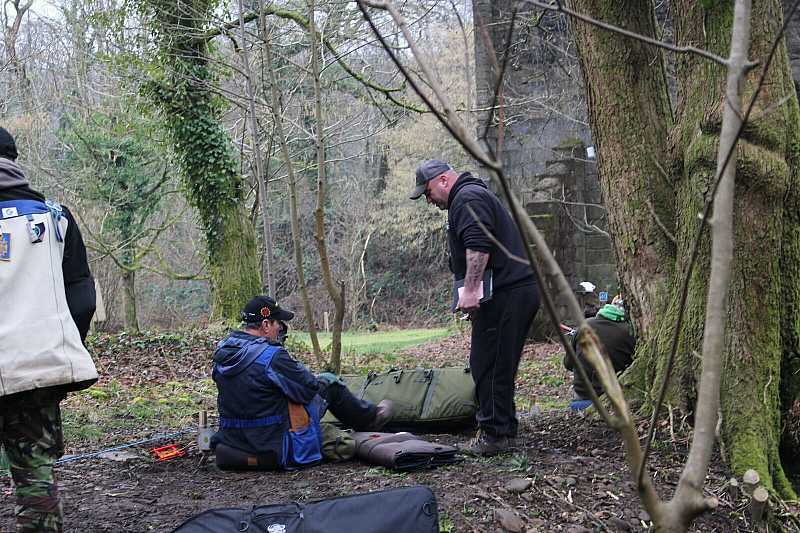 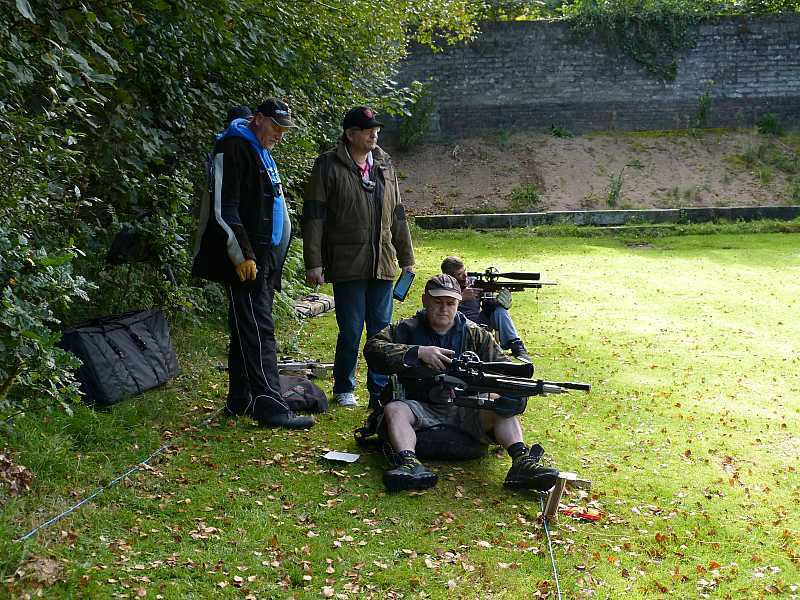 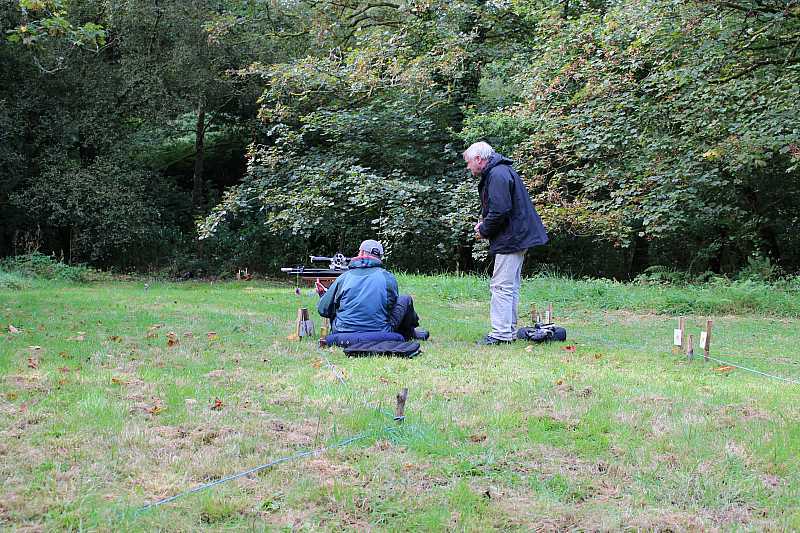 Two of our members and two potential new members who had just turned up to spectate, but were persuaded to have a go, shot in the Unclassified class. 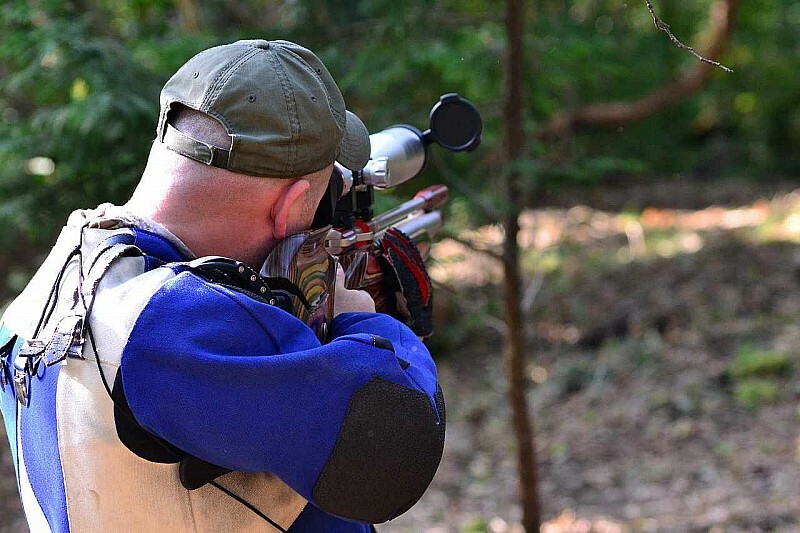 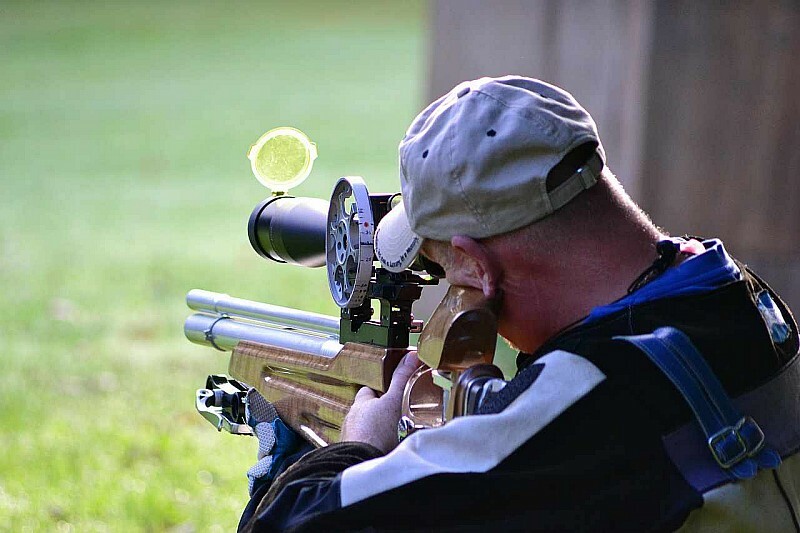 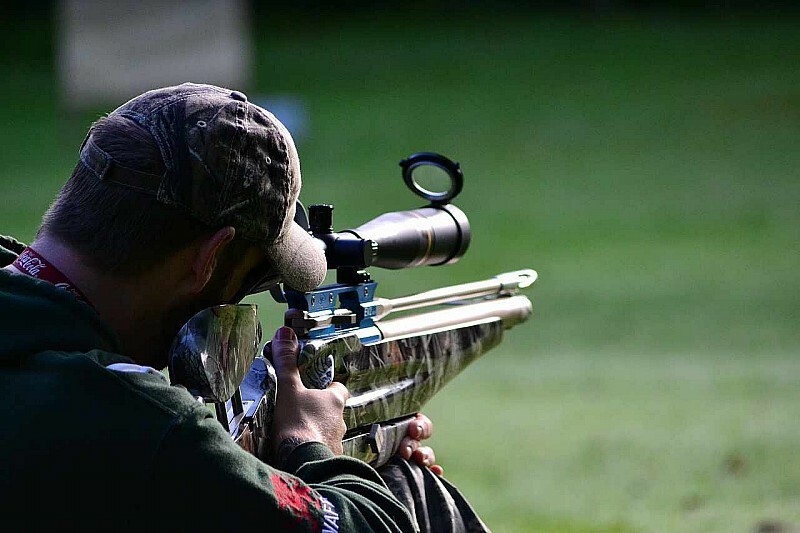 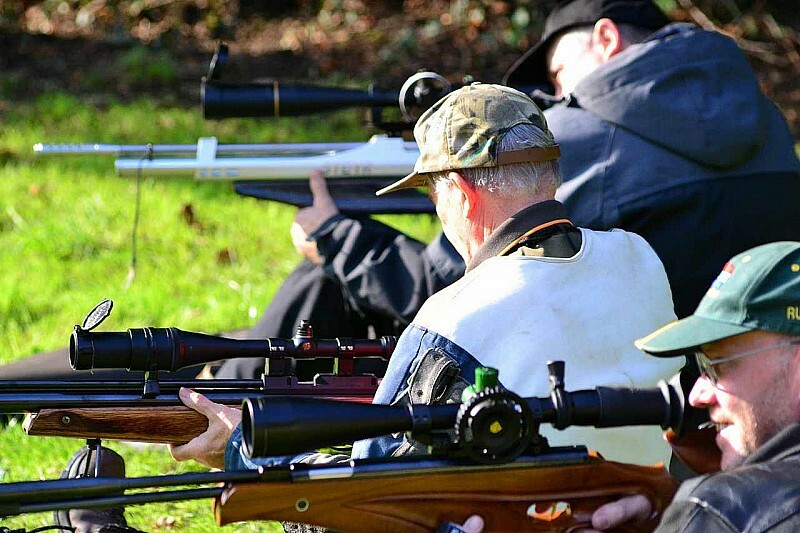 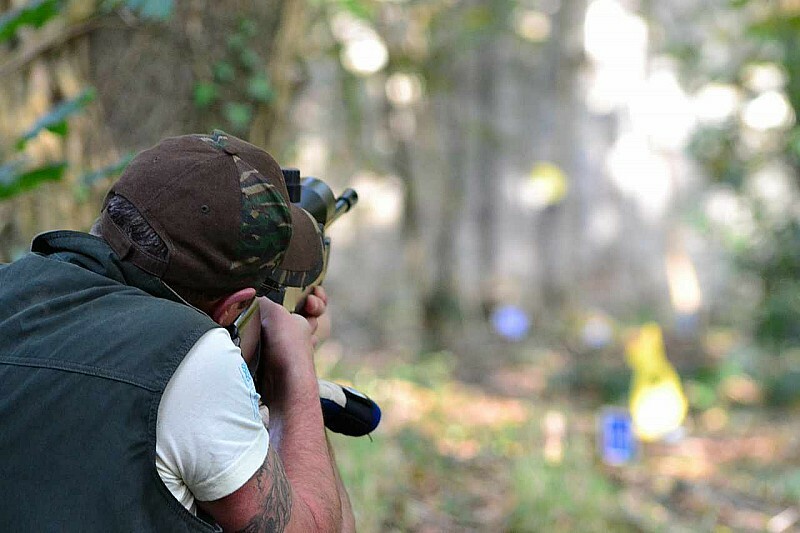 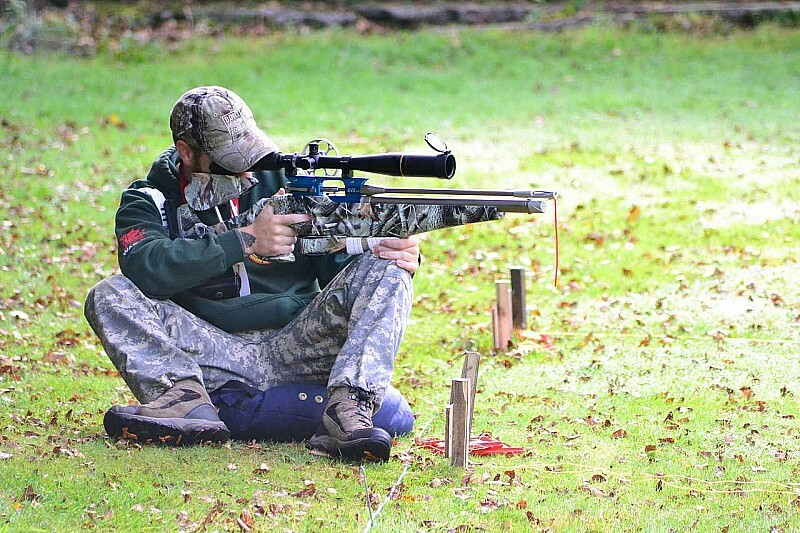 30th March 2014 Our round of the WAFTA Grand Slam winter series took place with 37 shooters trying out our course. 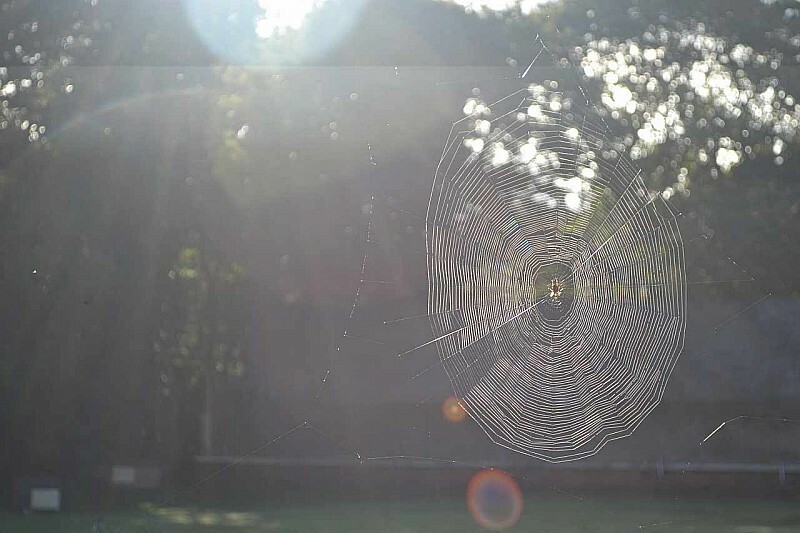 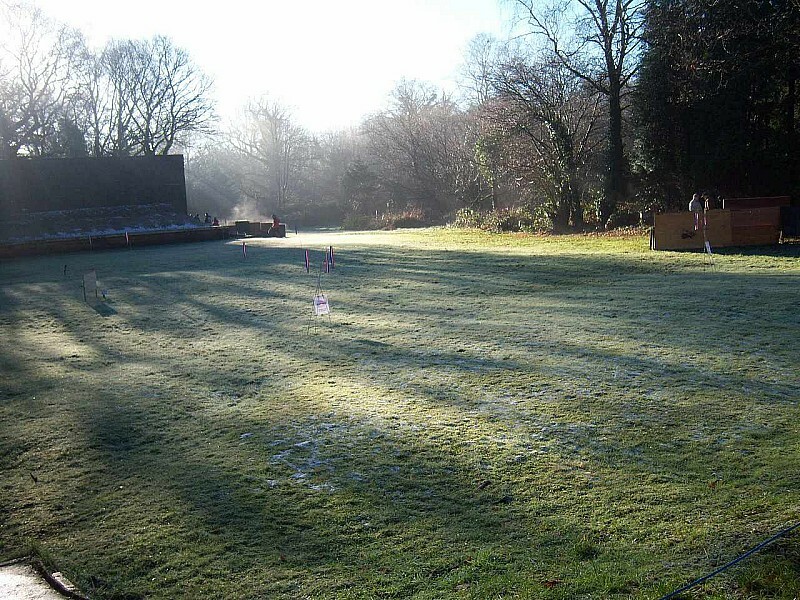 The weather was perfect and this time no one 'cleaned' the course. 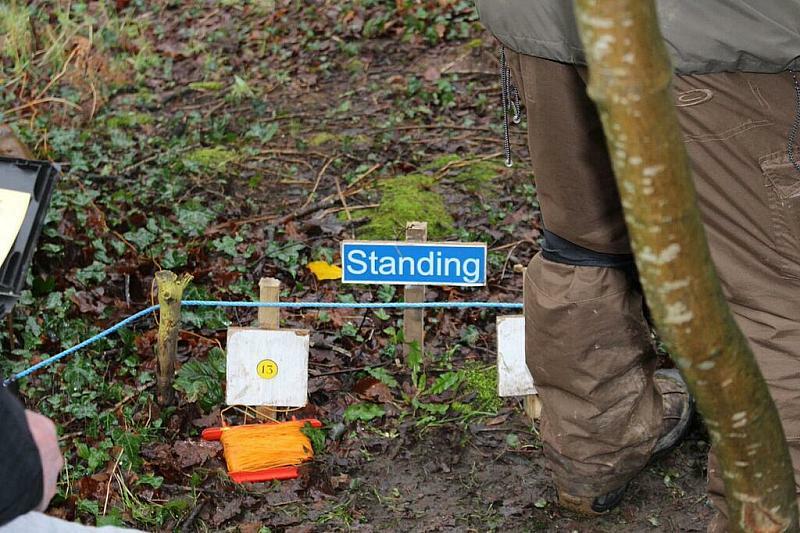 Some brief notes are on the FT page. 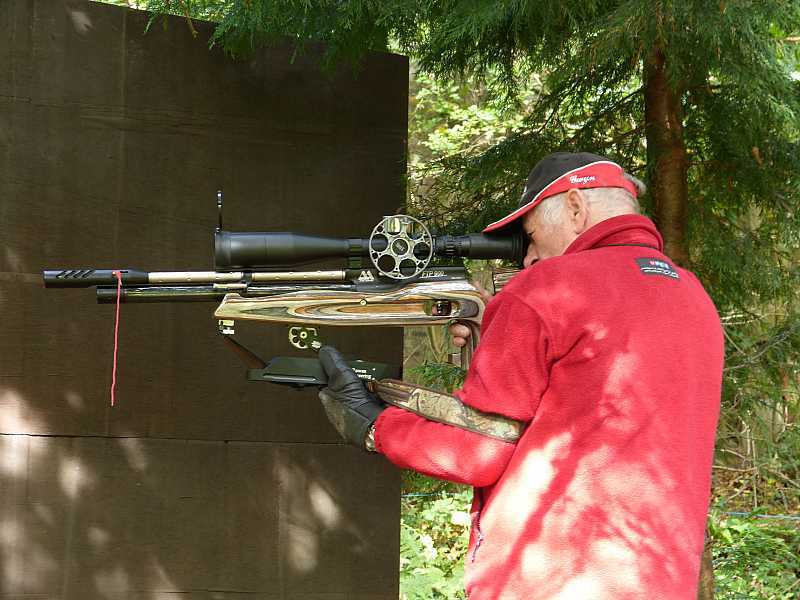 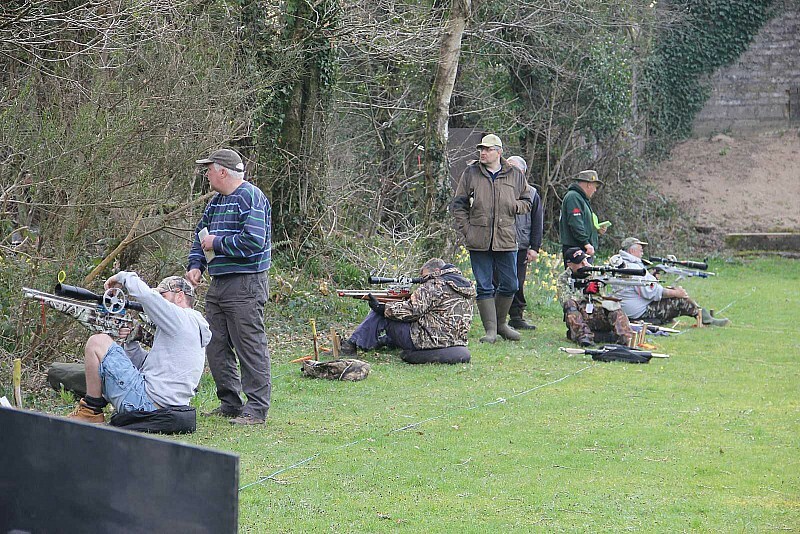 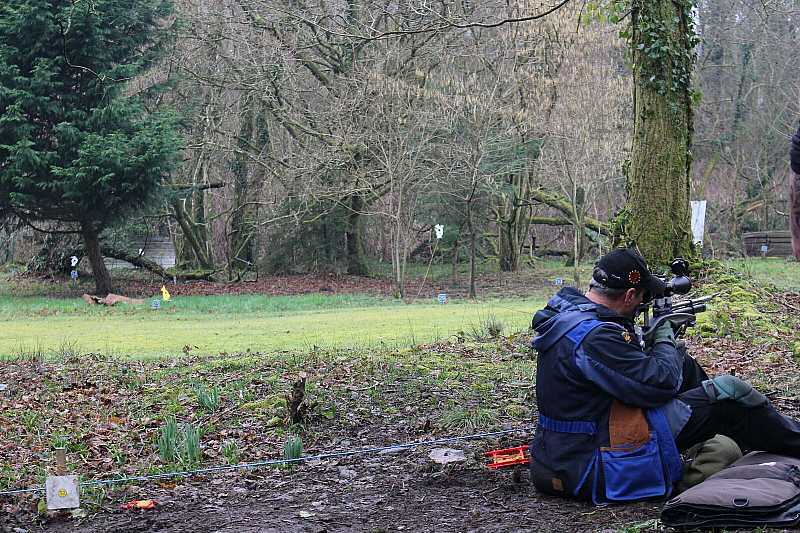 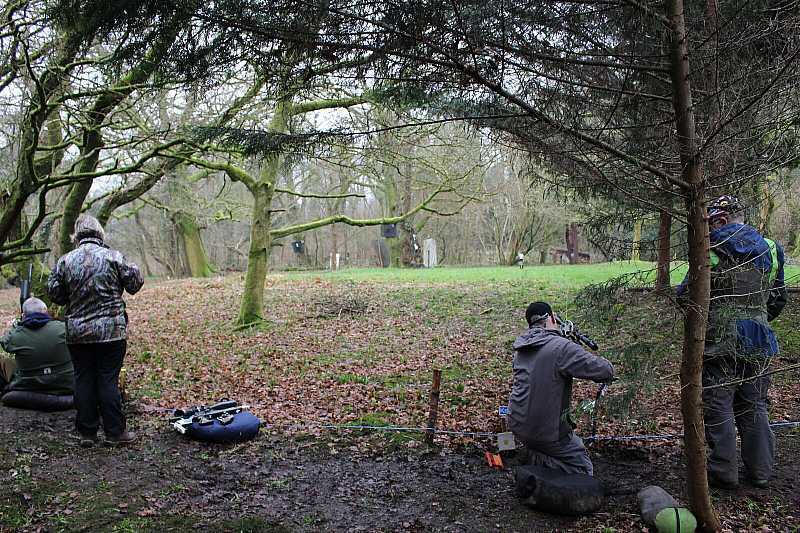 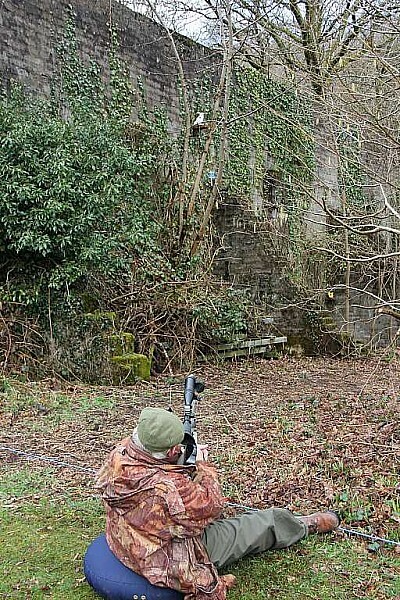 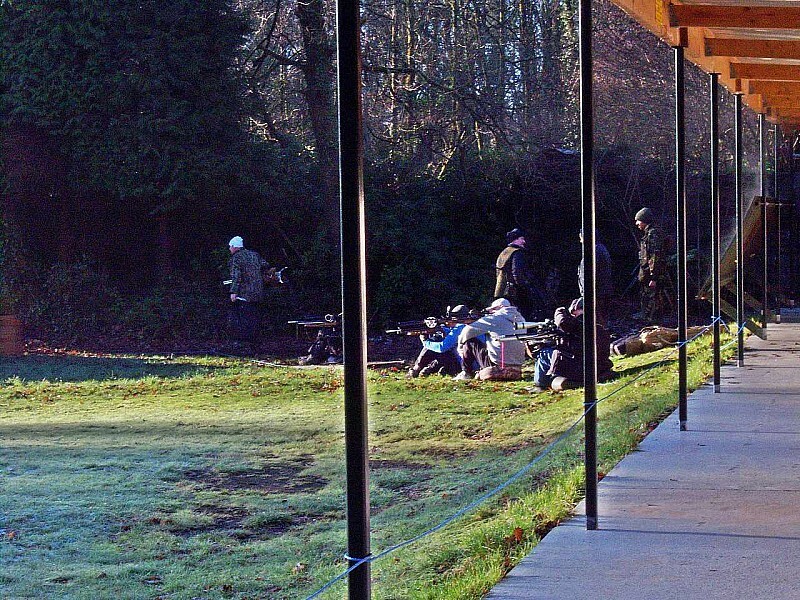 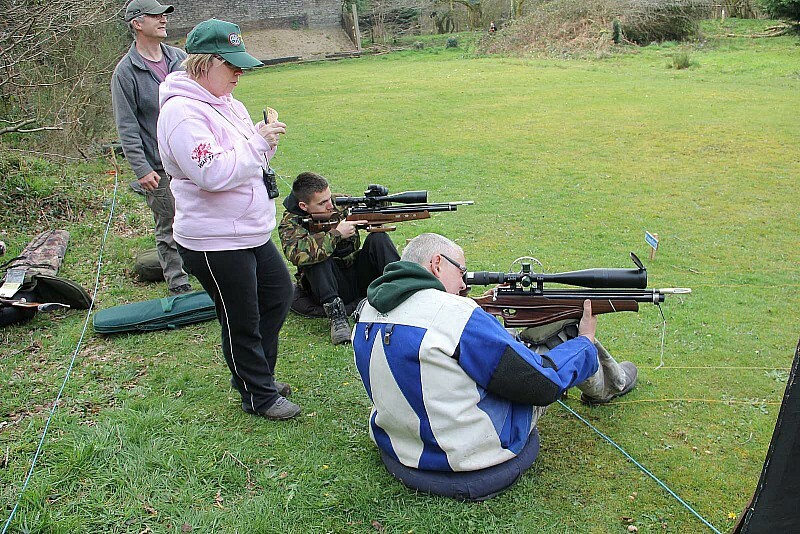 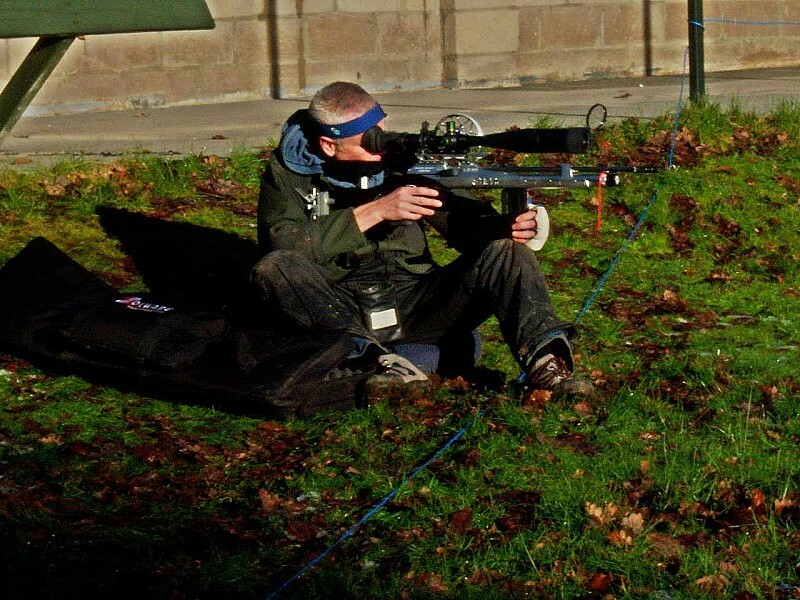 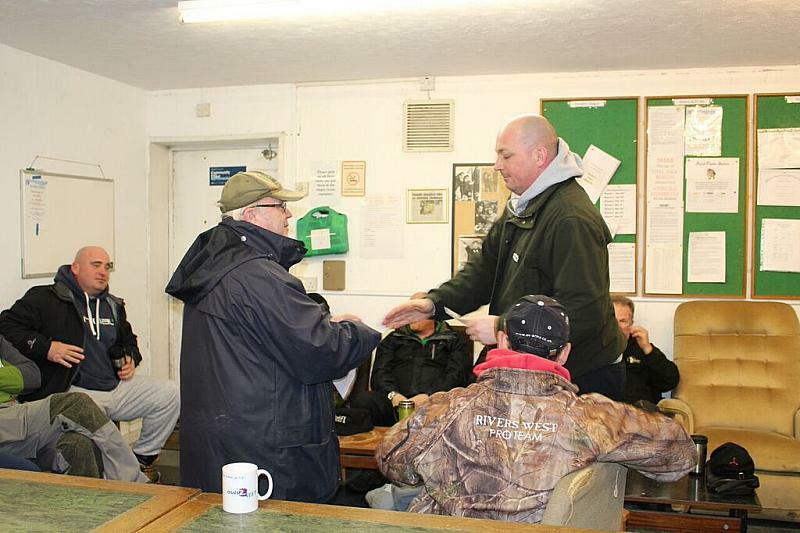 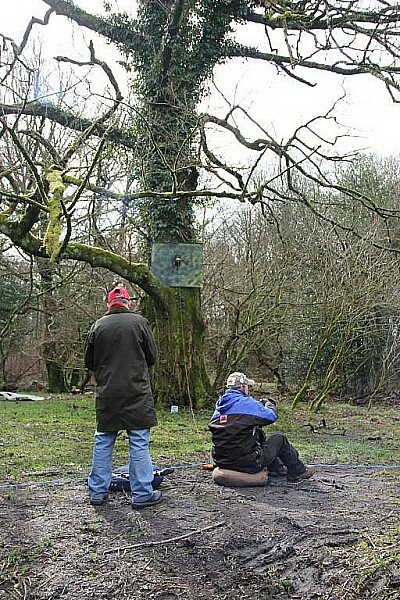 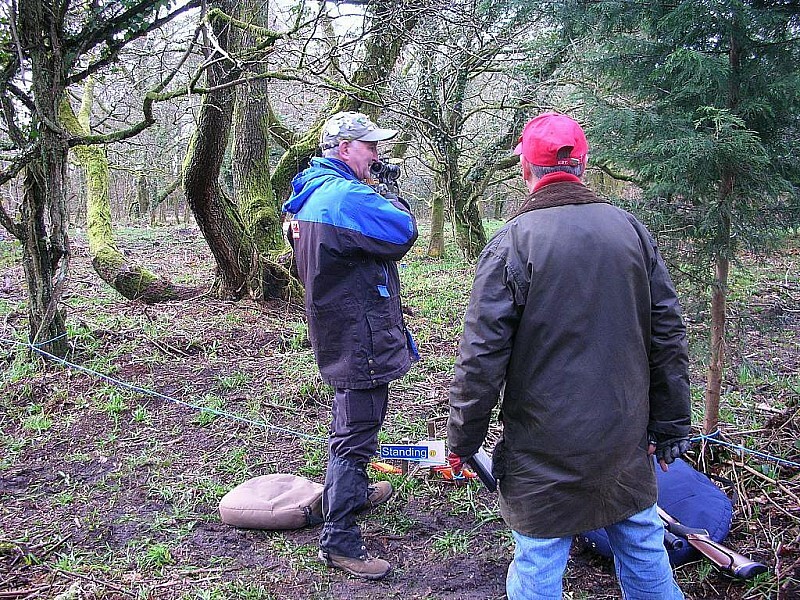 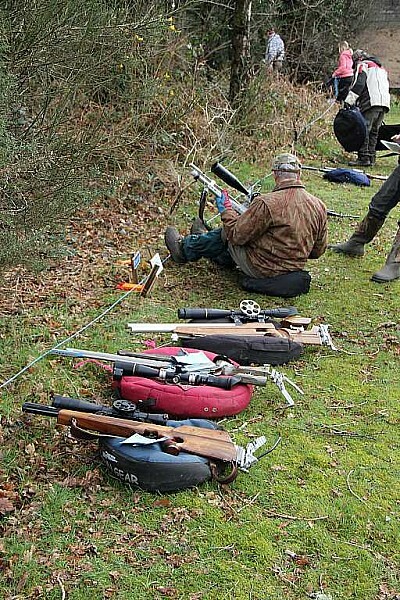 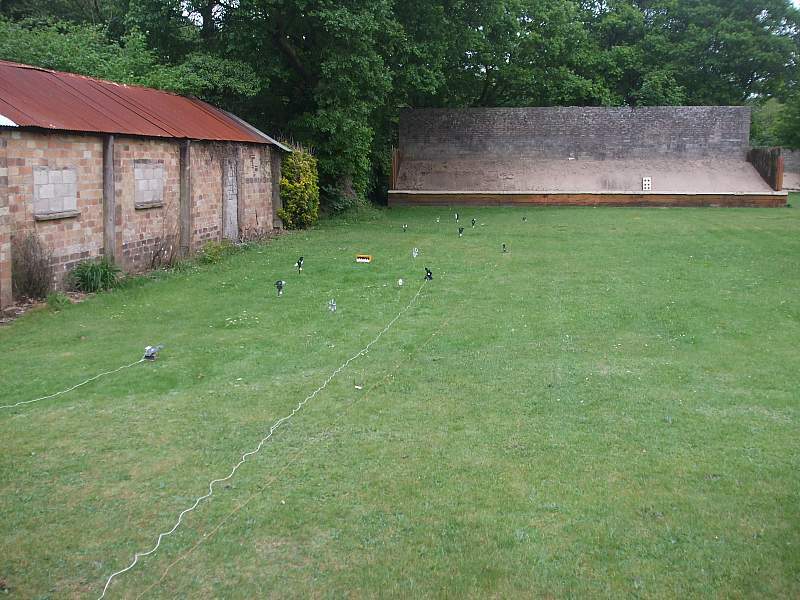 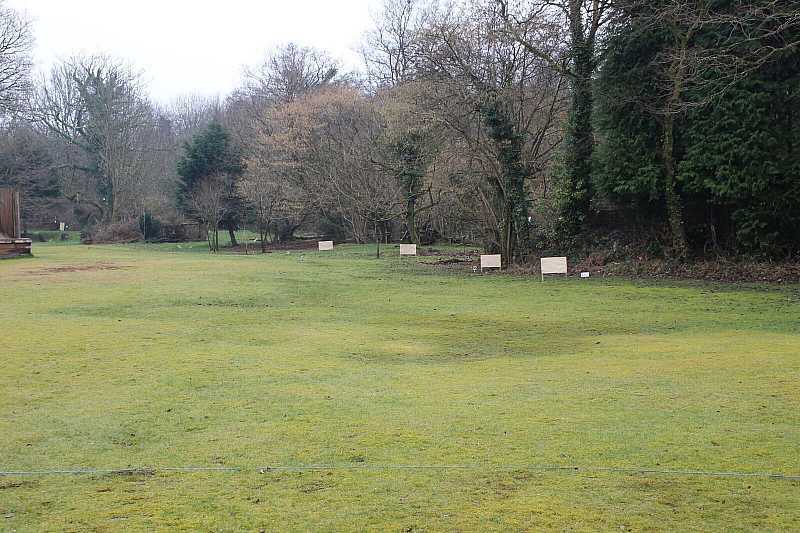 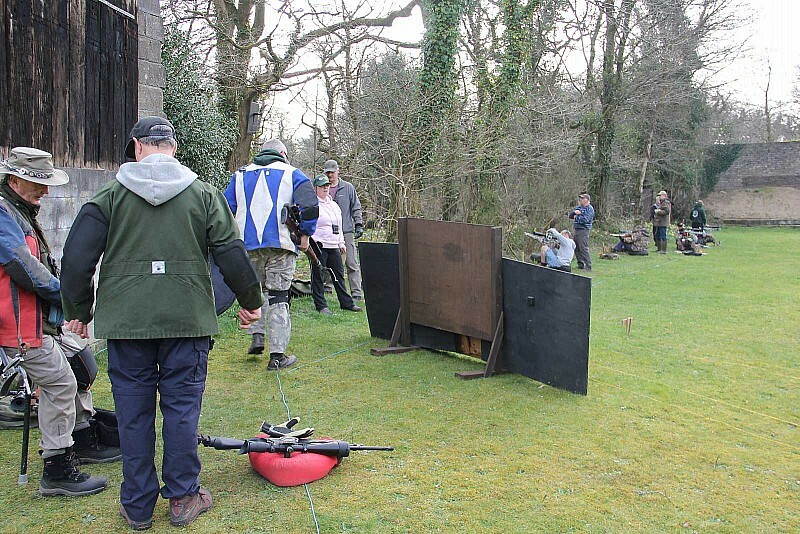 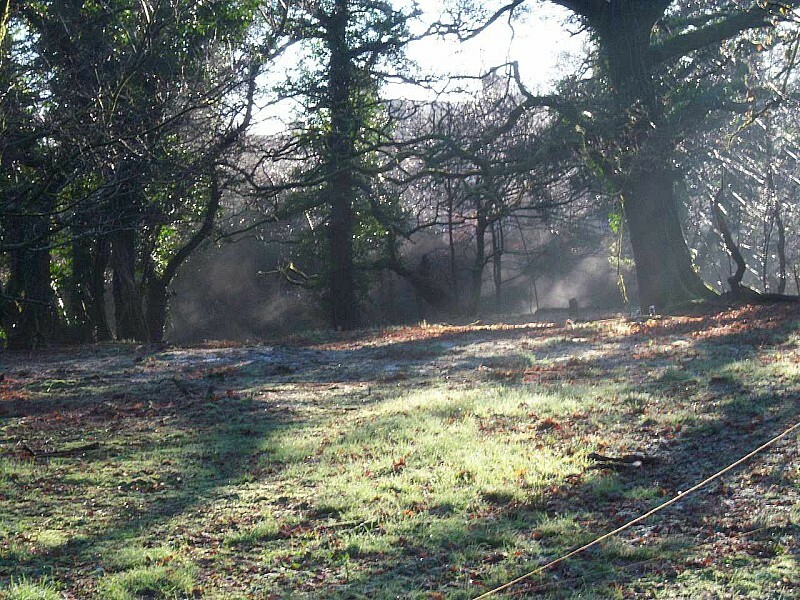 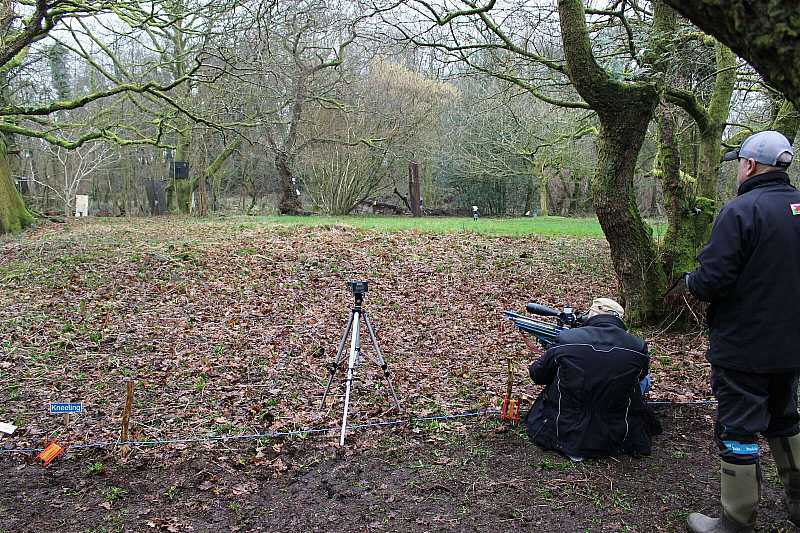 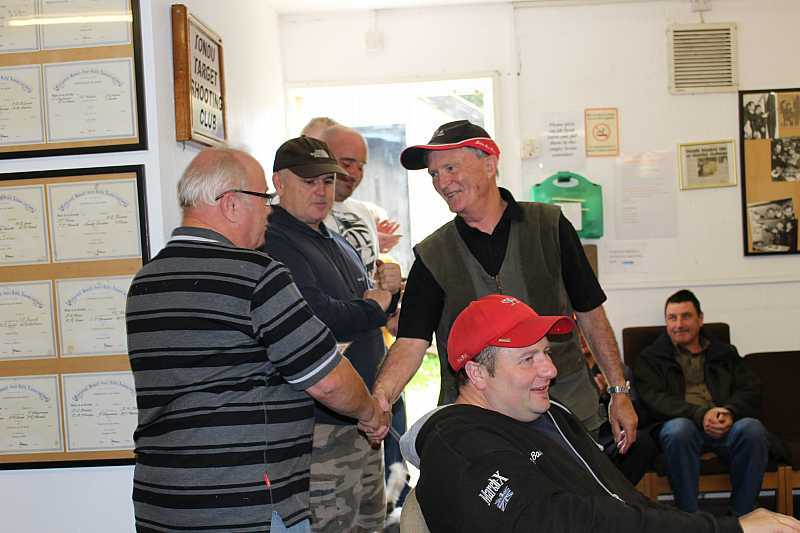 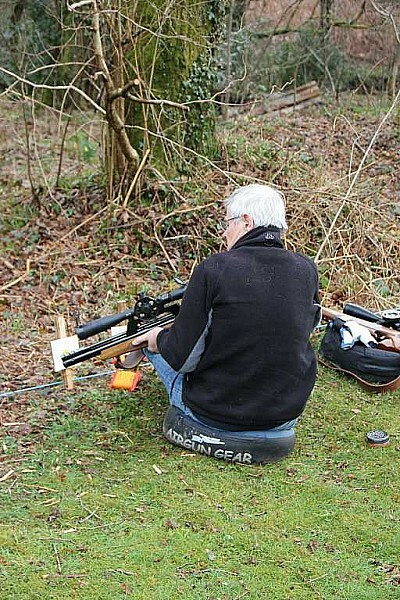 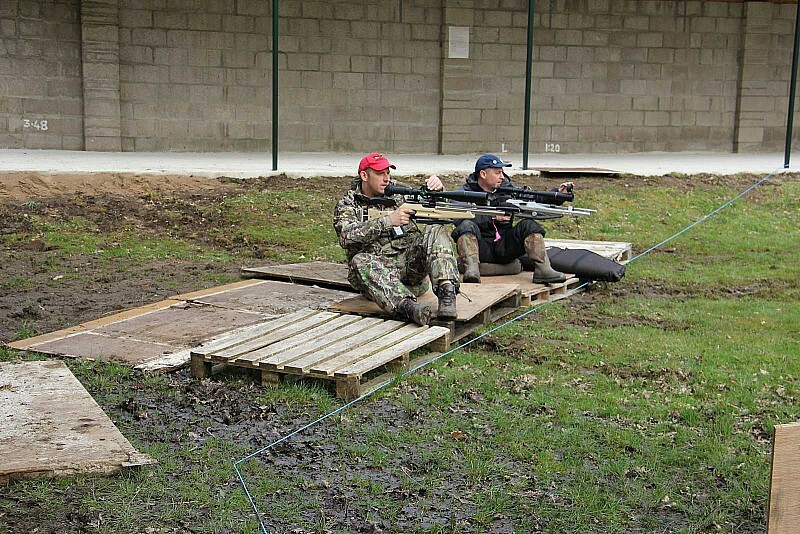 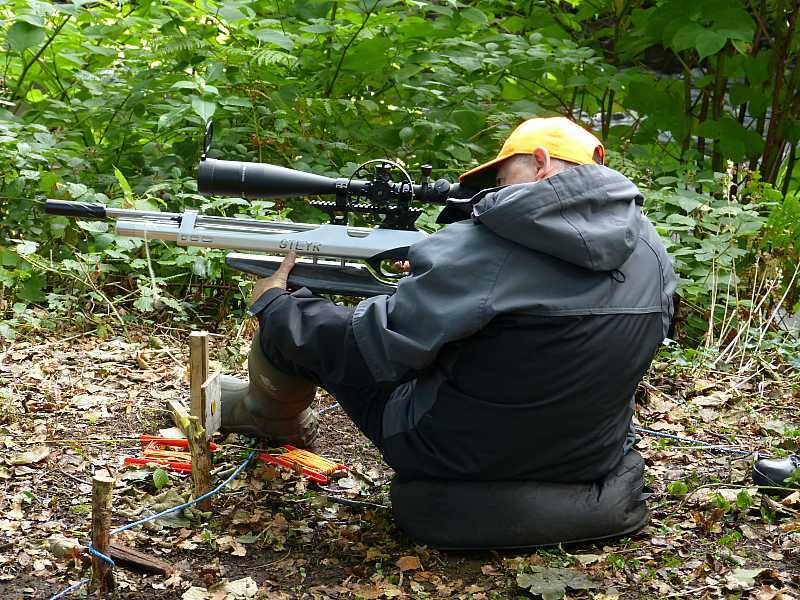 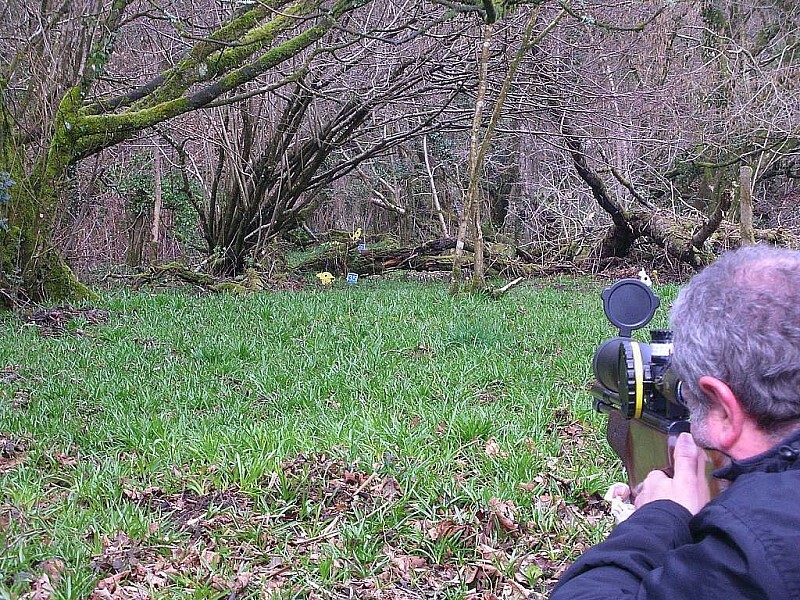 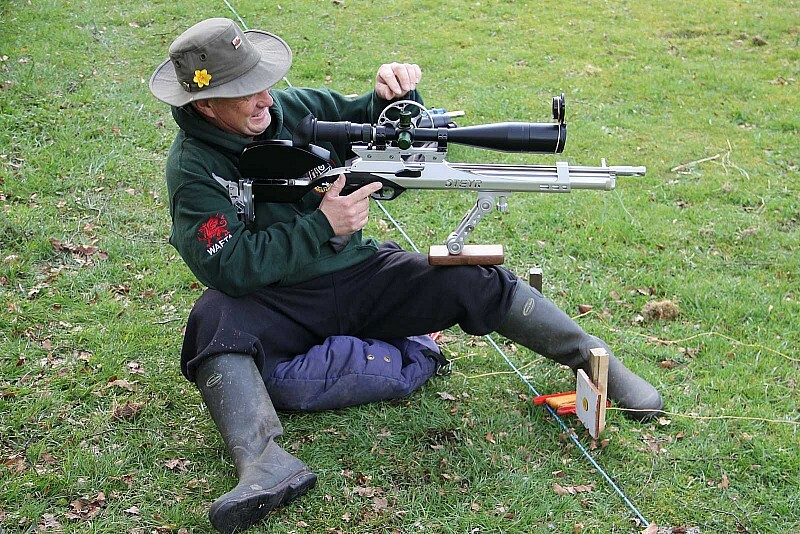 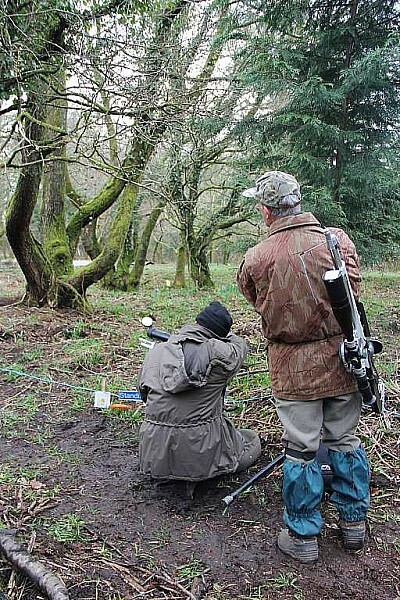 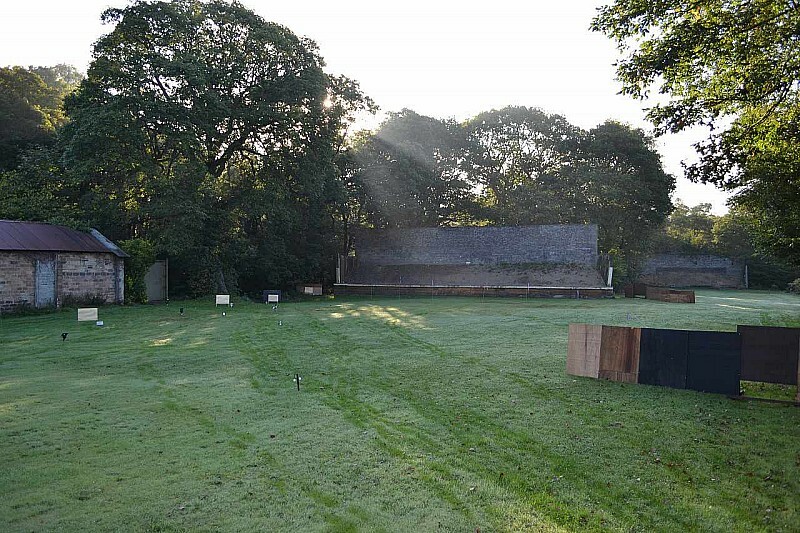 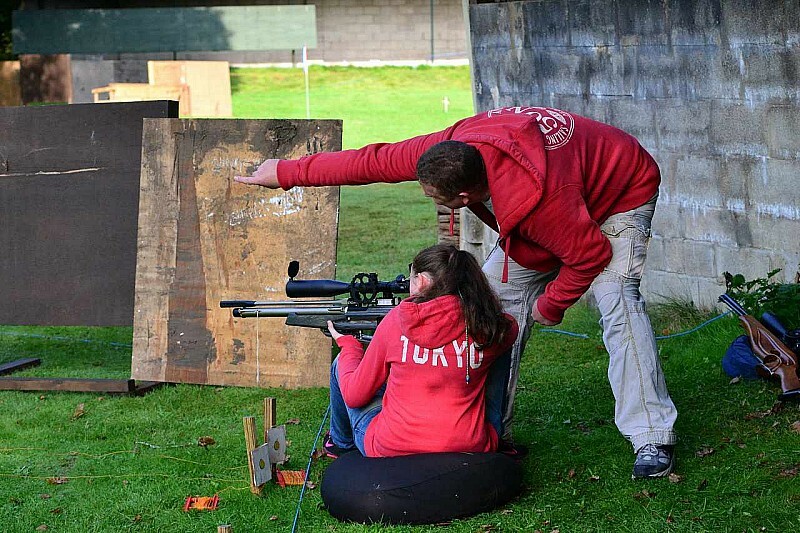 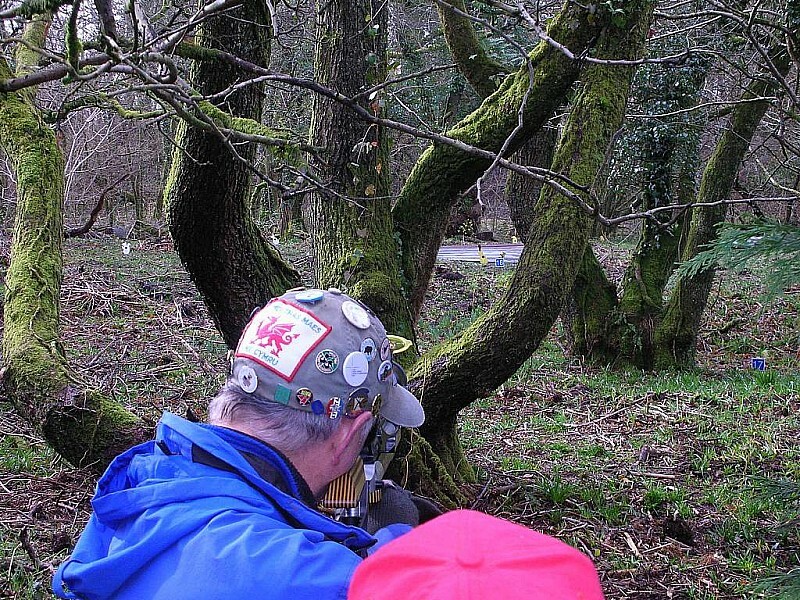 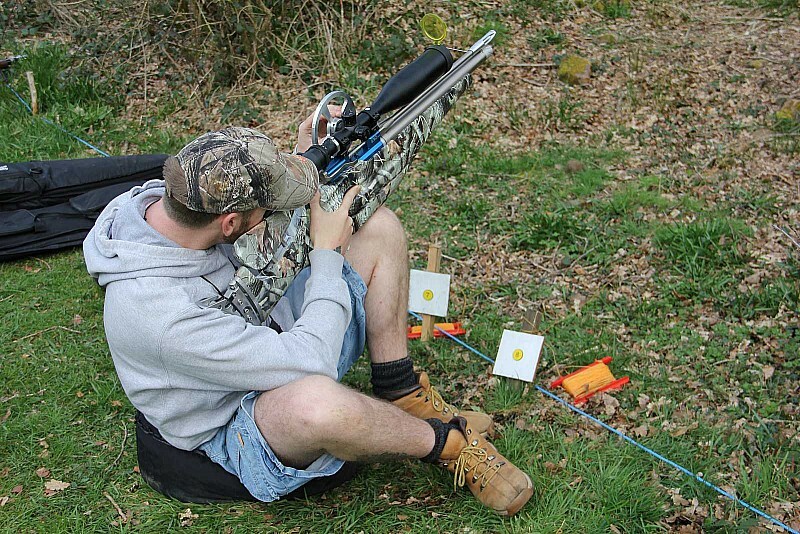 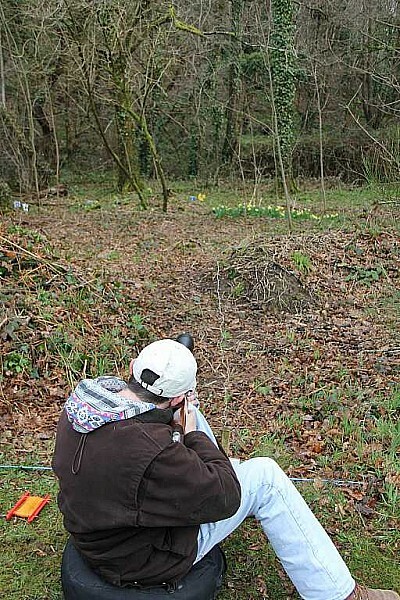 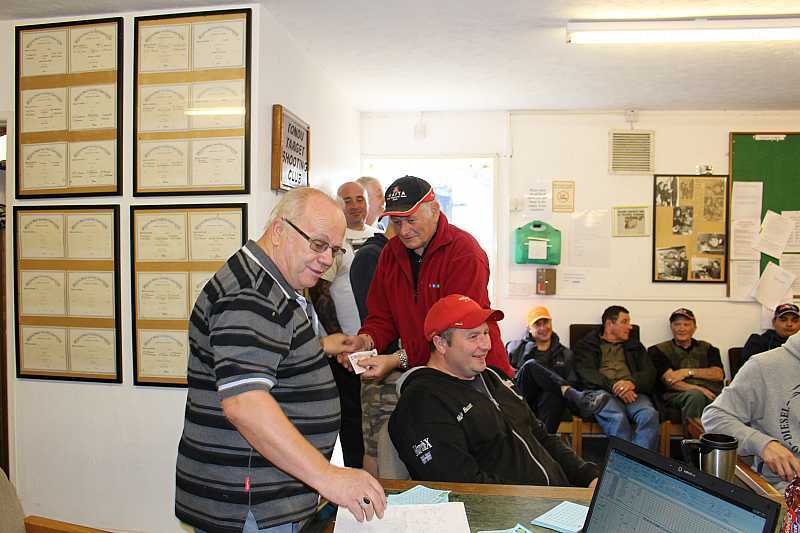 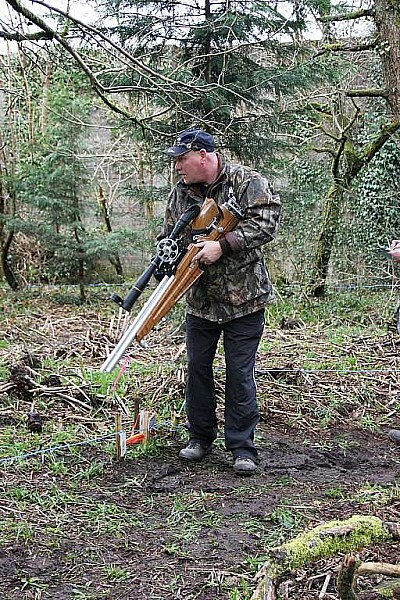 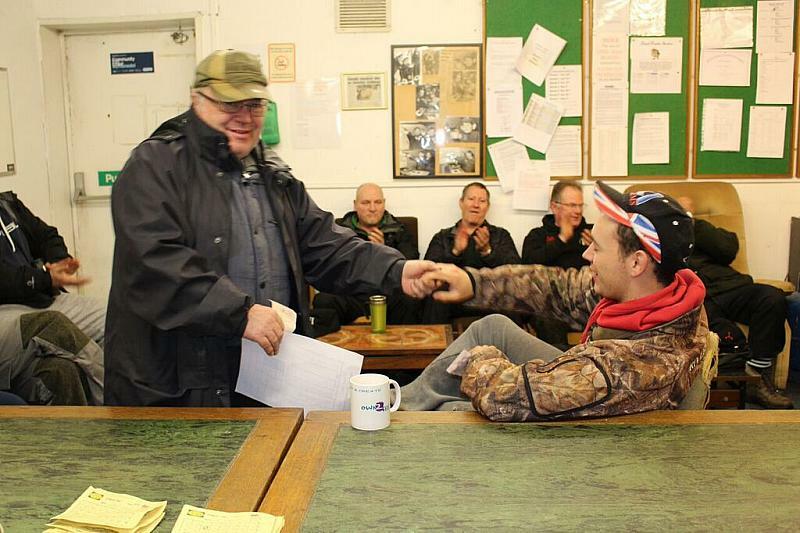 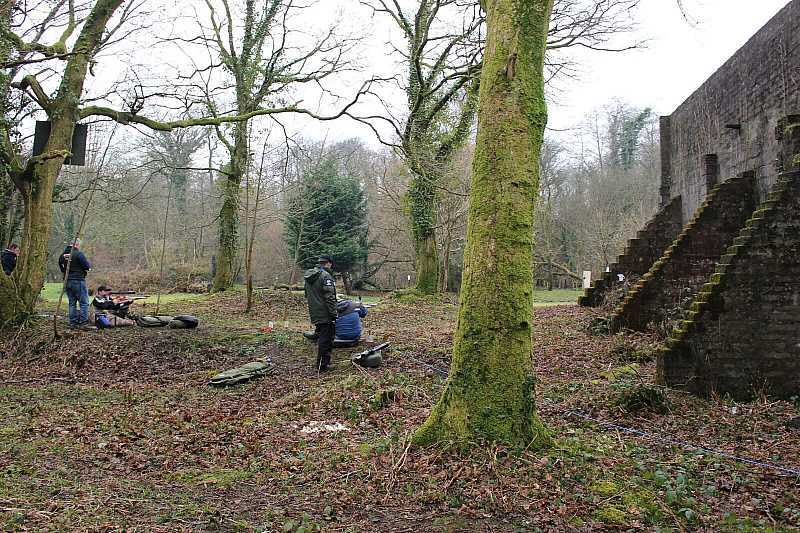 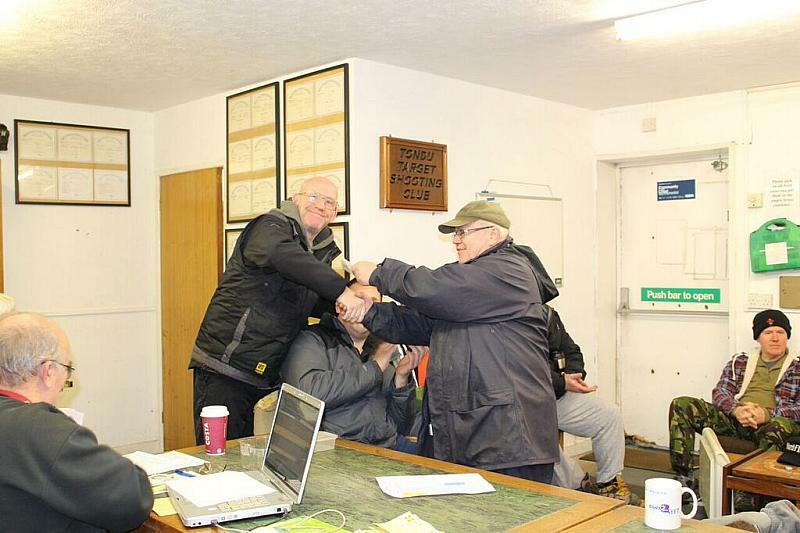 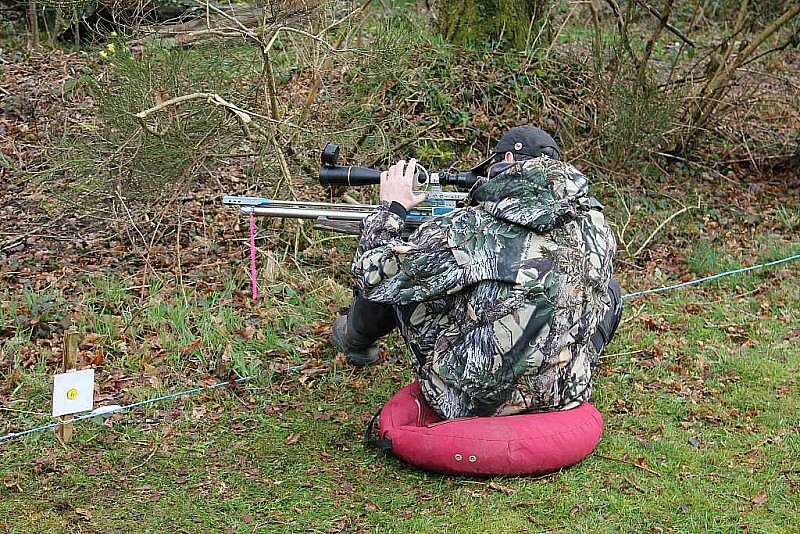 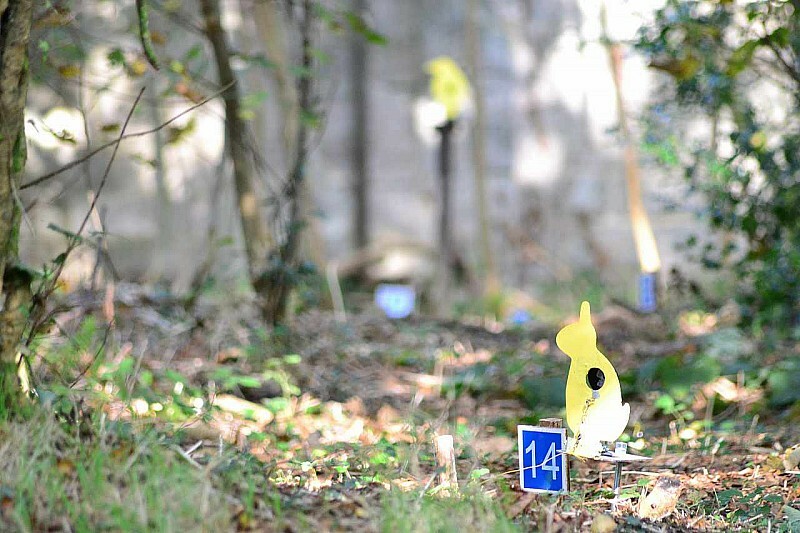 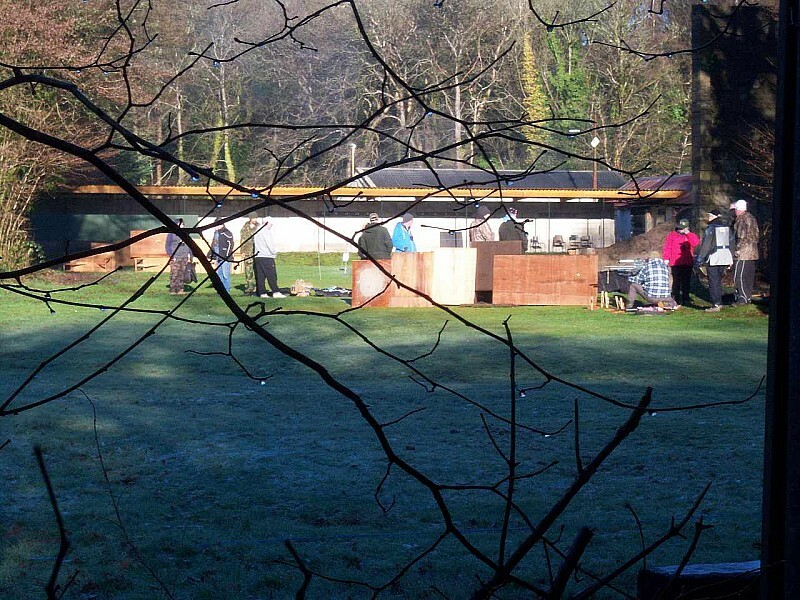 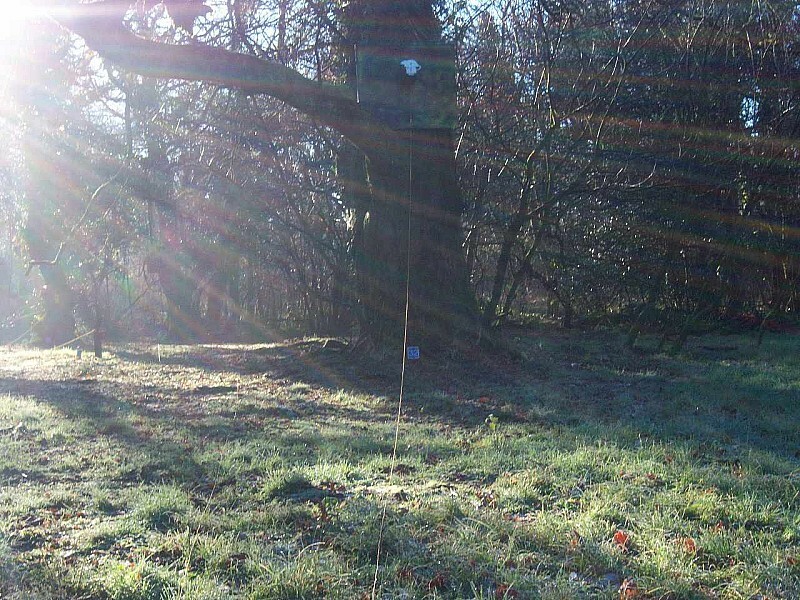 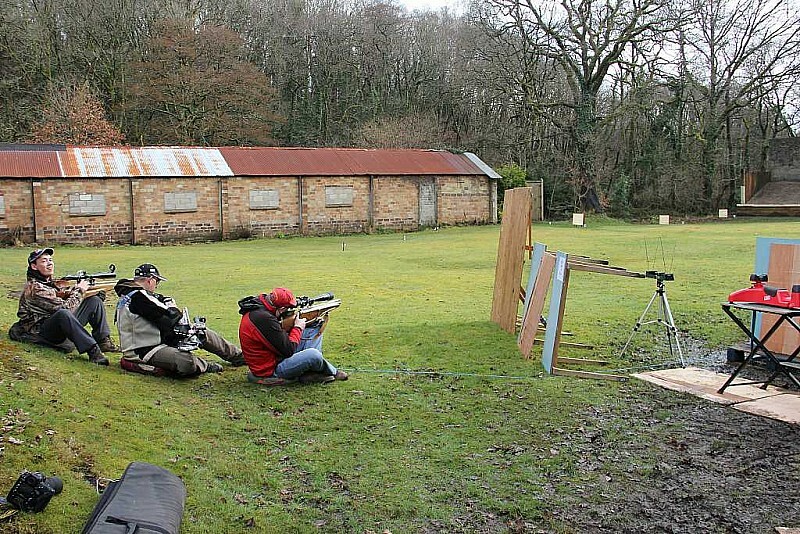 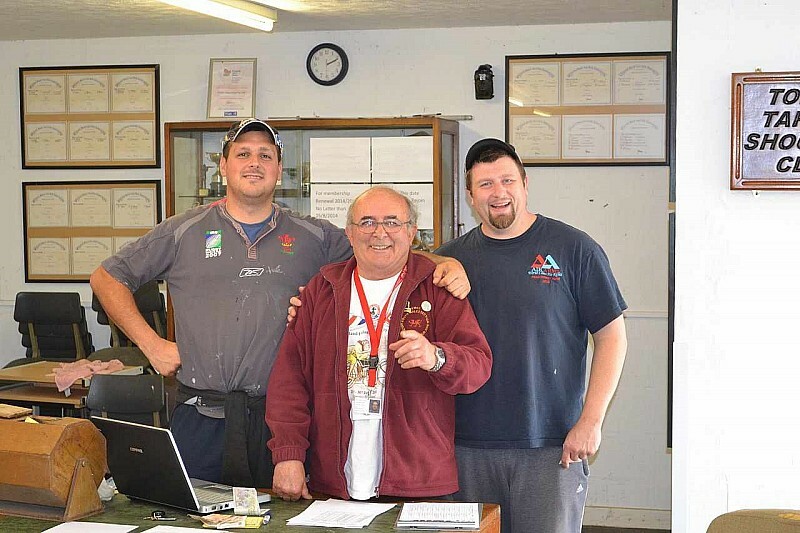 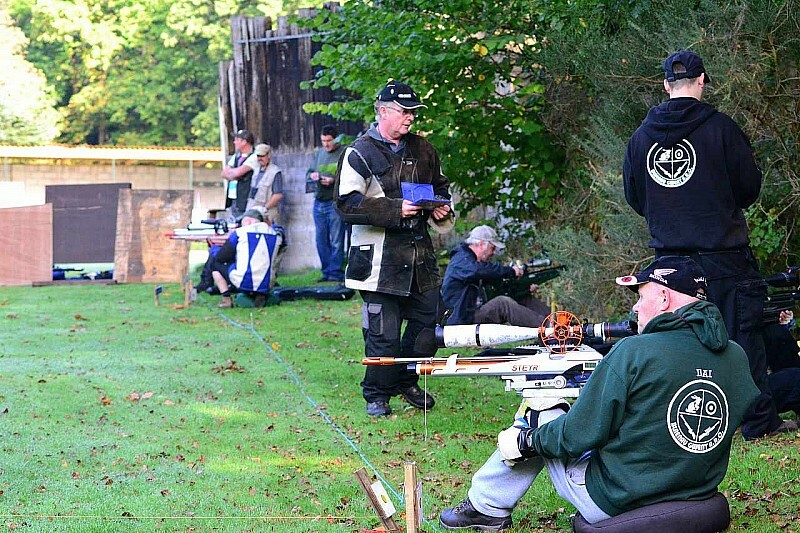 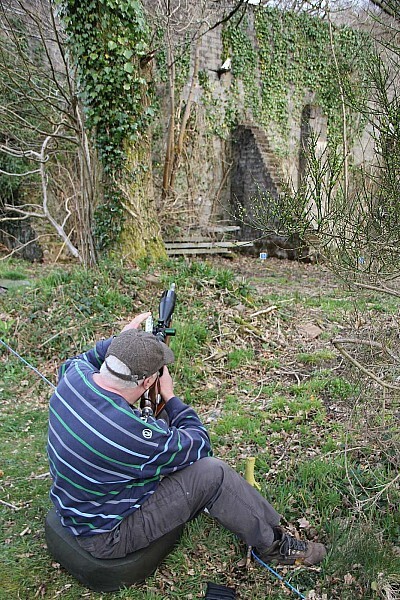 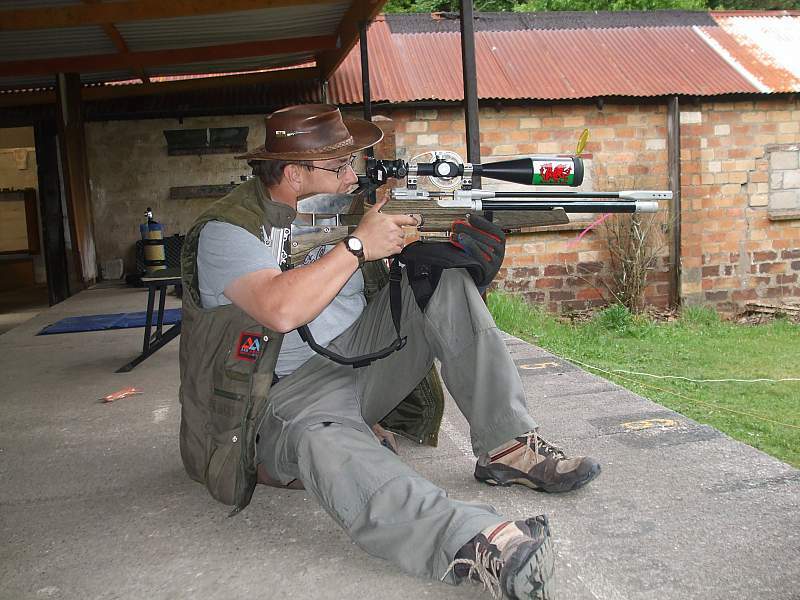 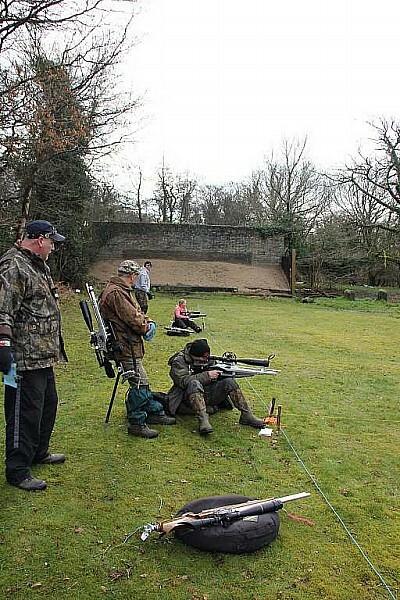 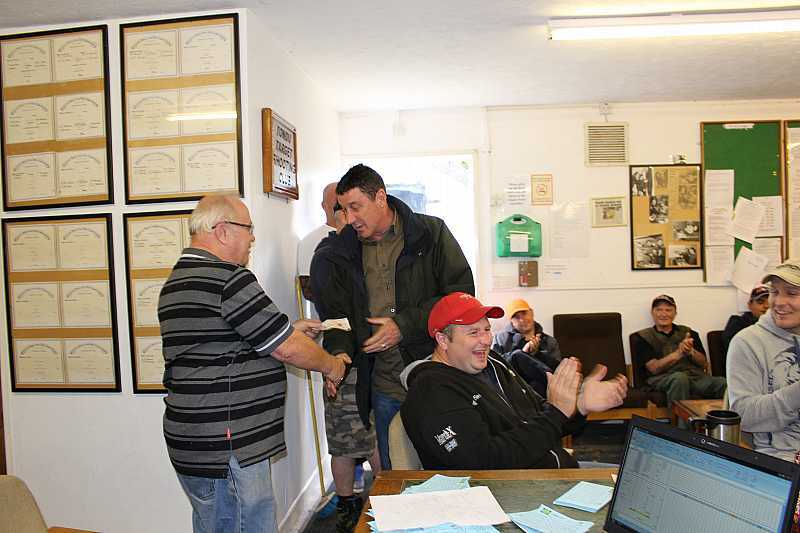 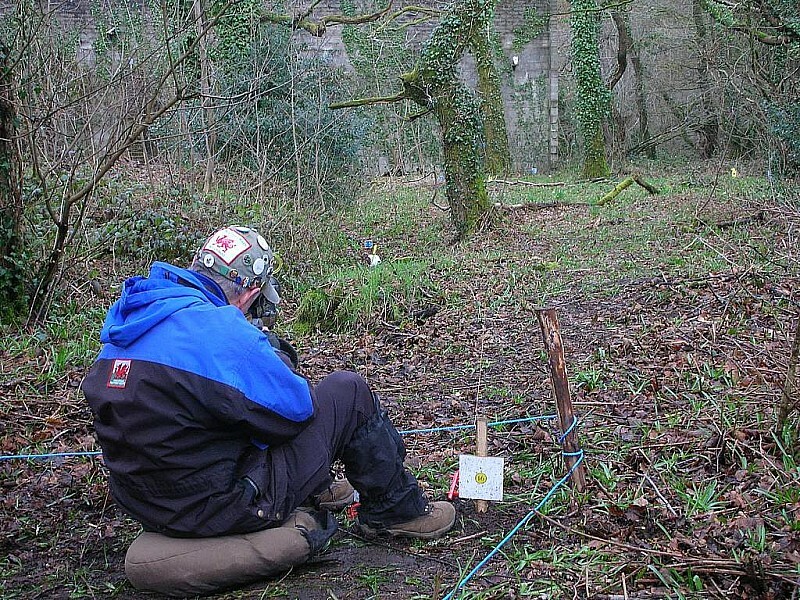 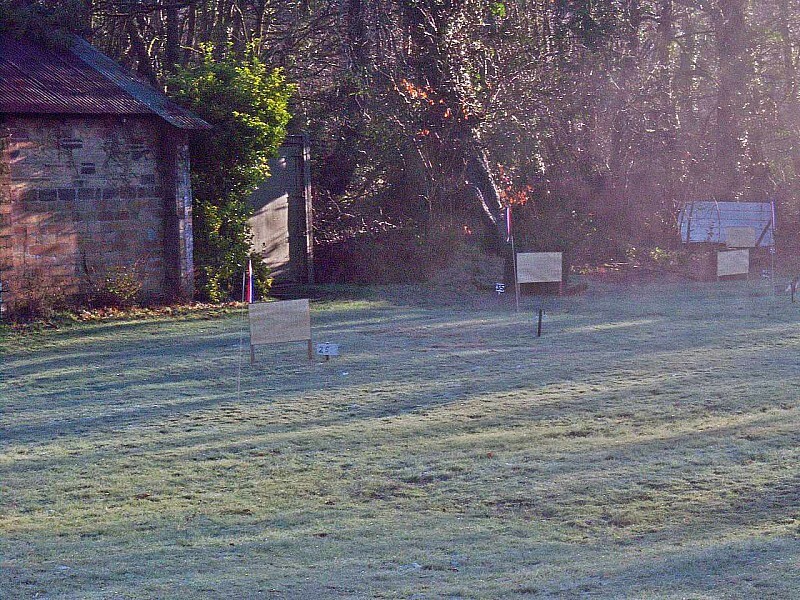 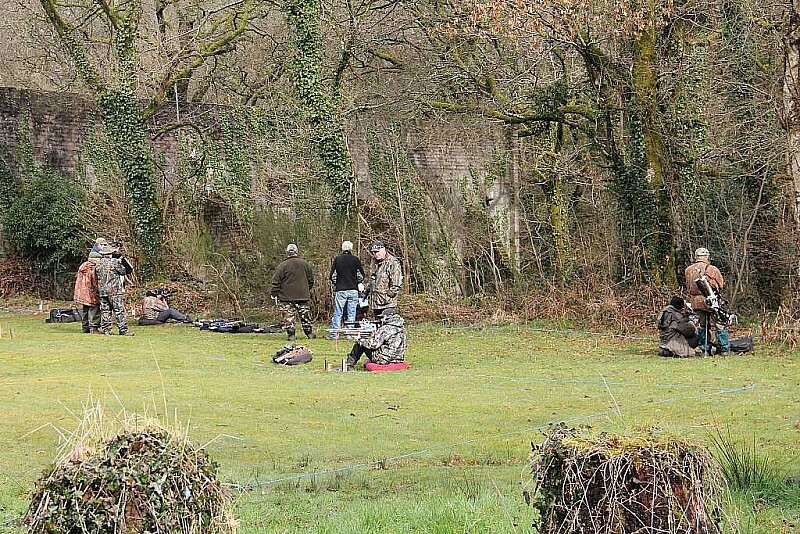 17th March 2013 and we held our first Grand Slam shoot. 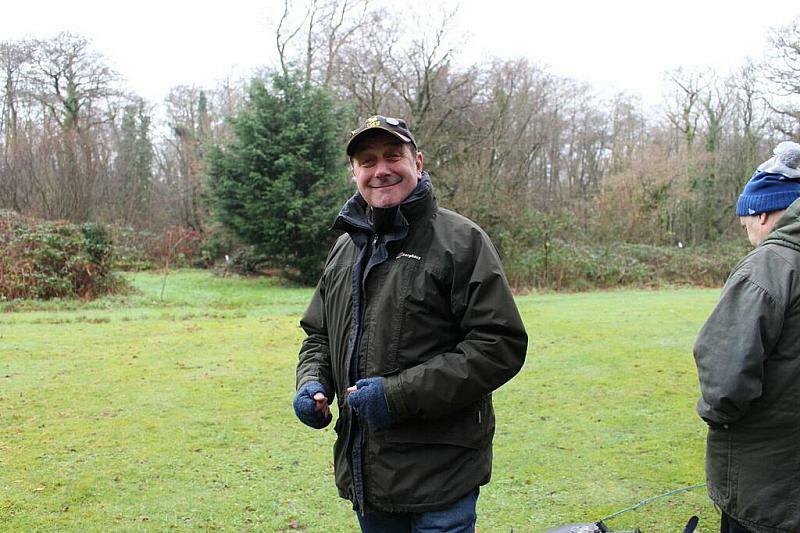 Luckily the weather was a lot better on the day than it was the day before when setting out the course. 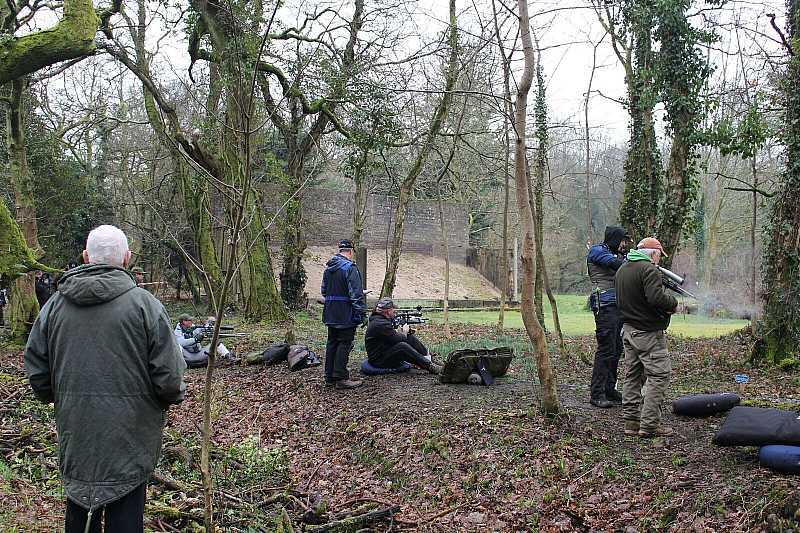 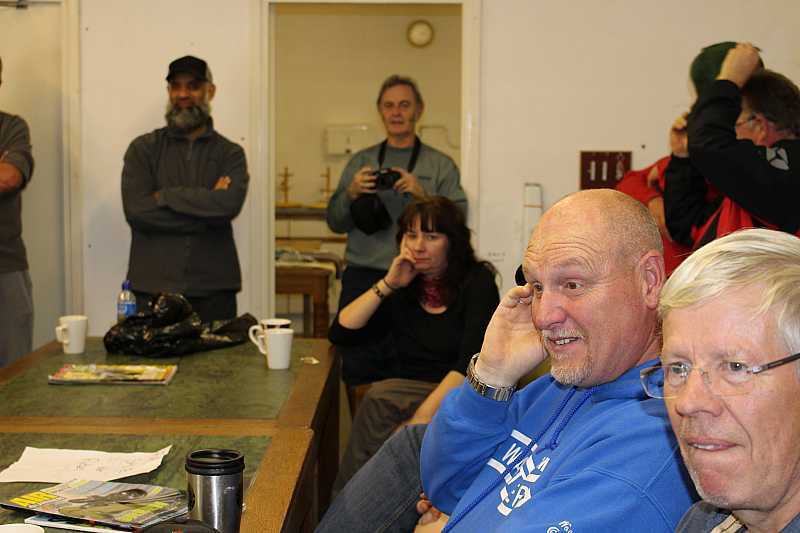 Most of us had no idea what we were doing but Gary H had it all under control and the shoot ended very well. 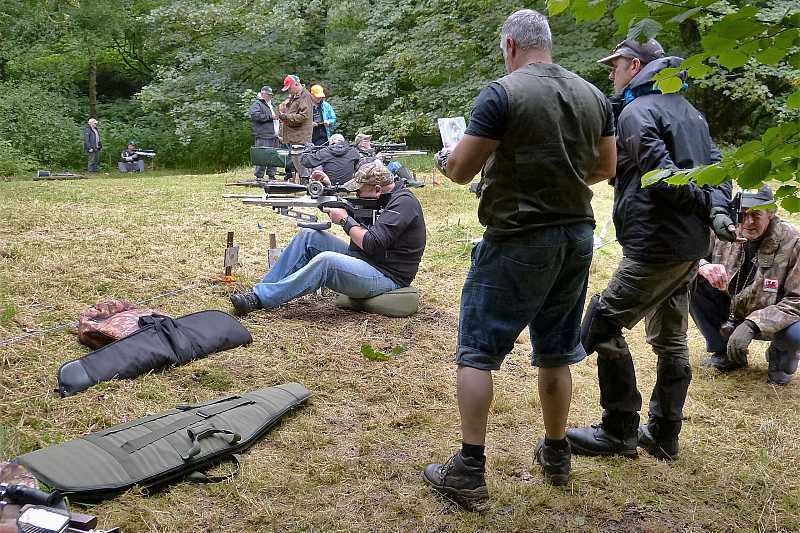 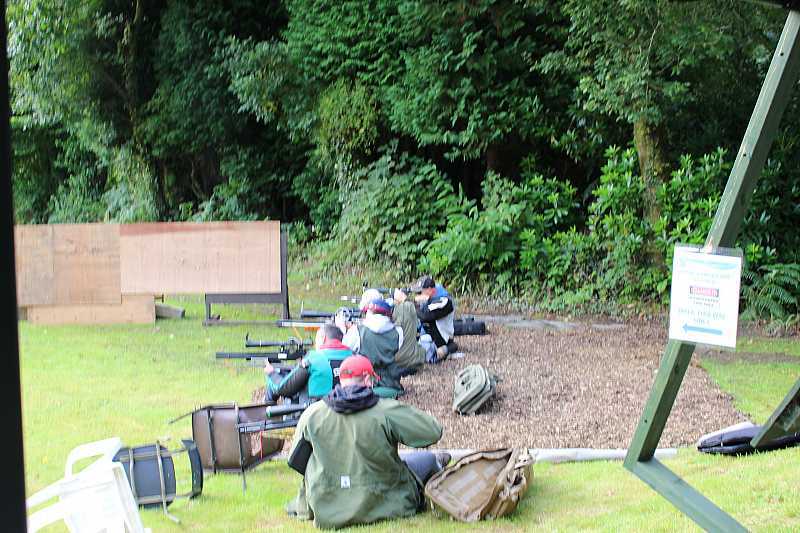 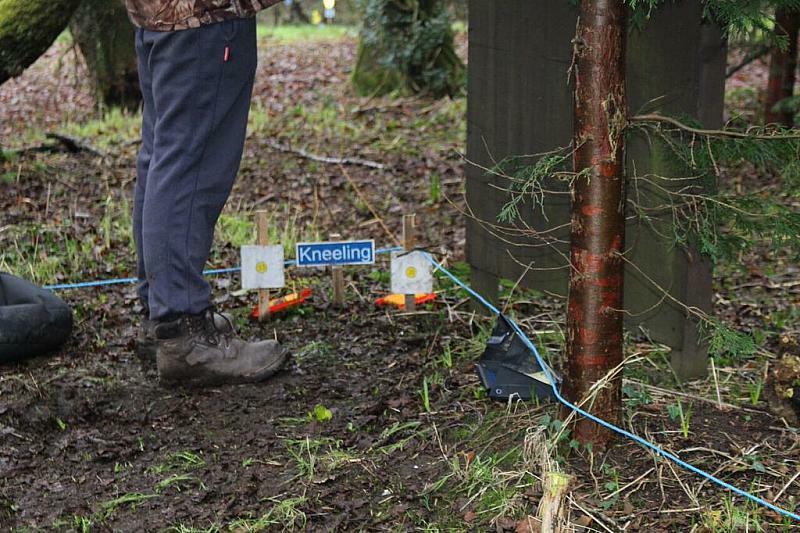 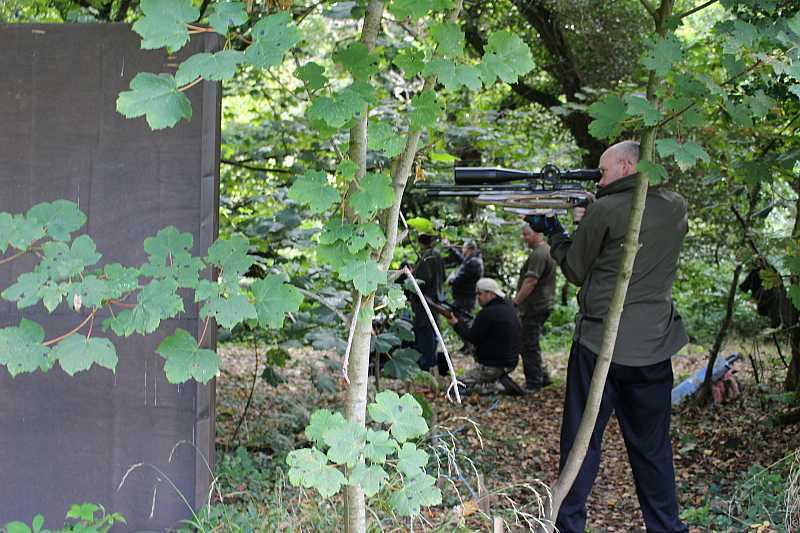 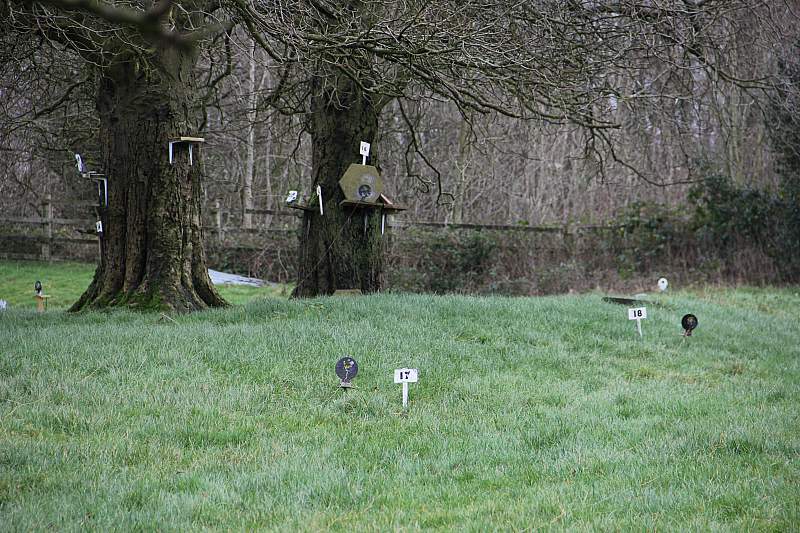 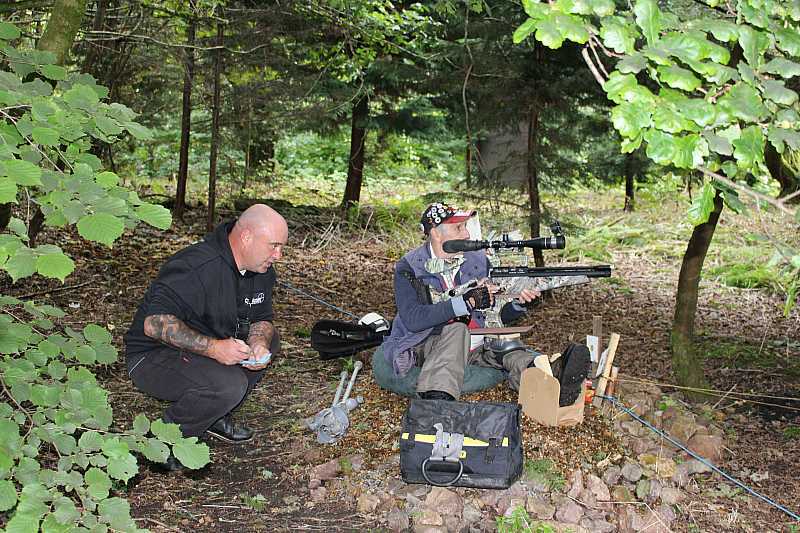 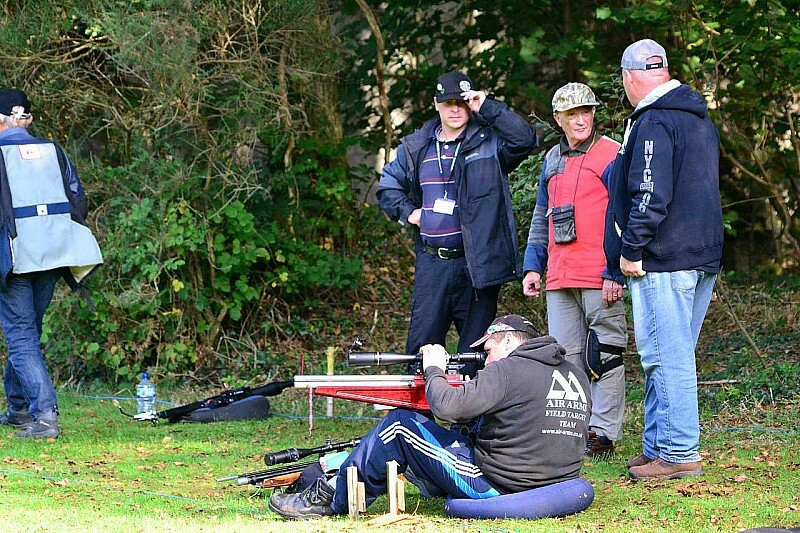 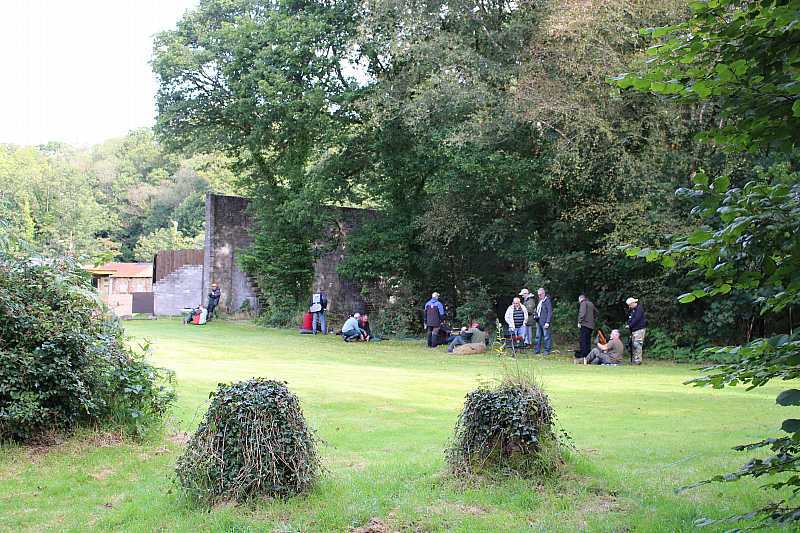 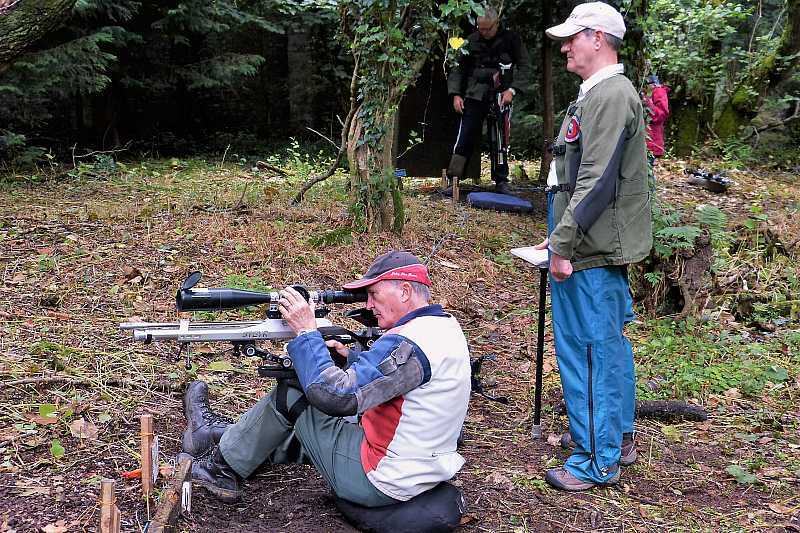 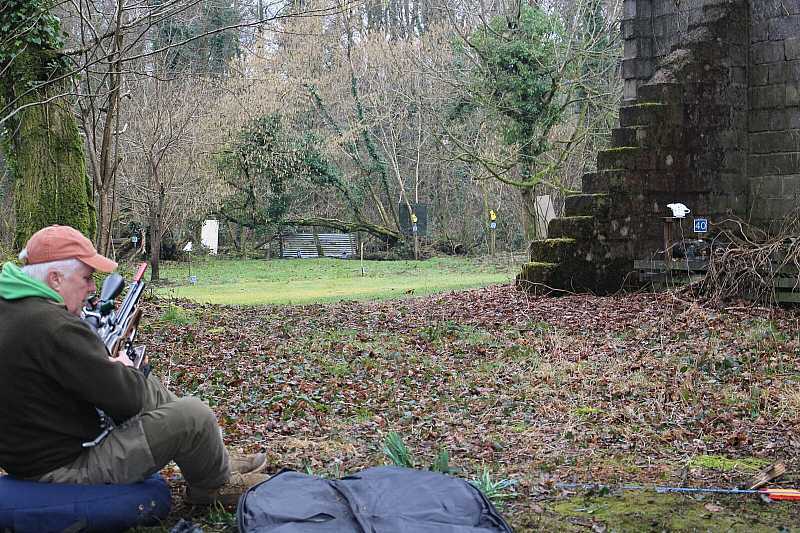 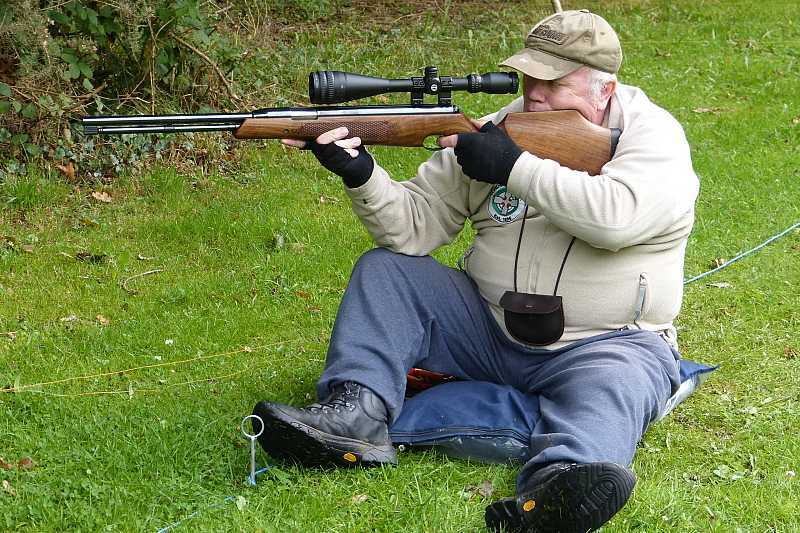 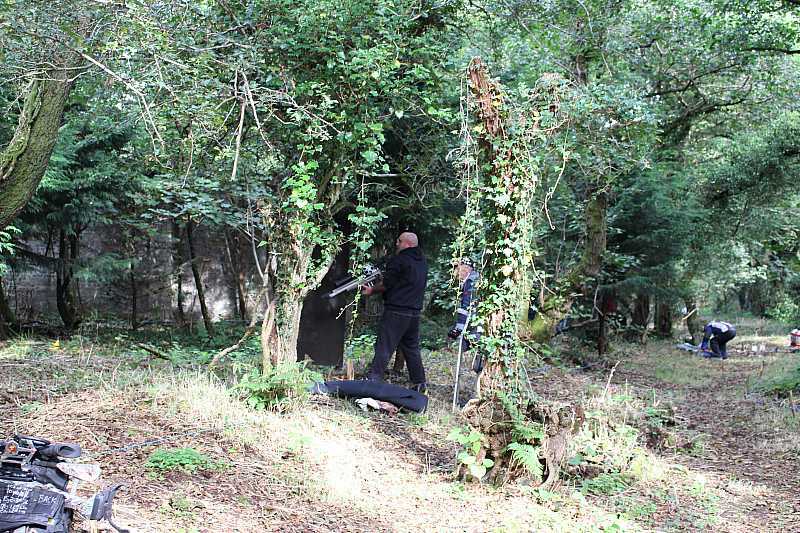 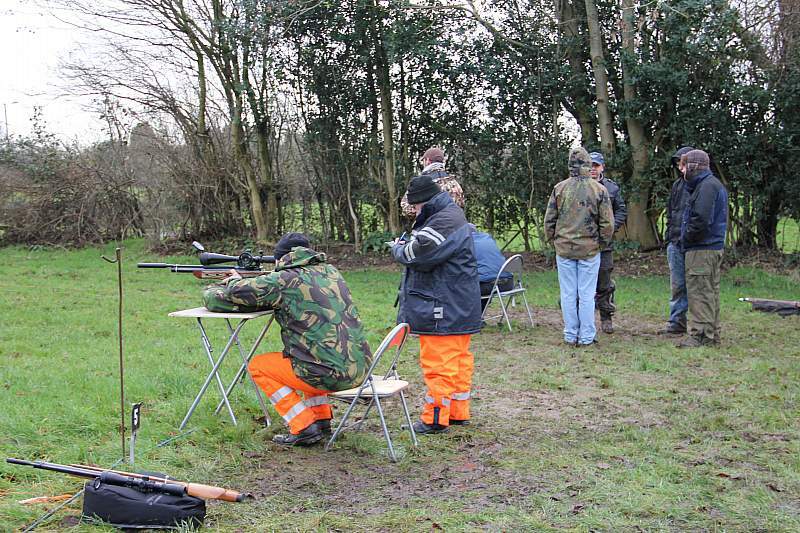 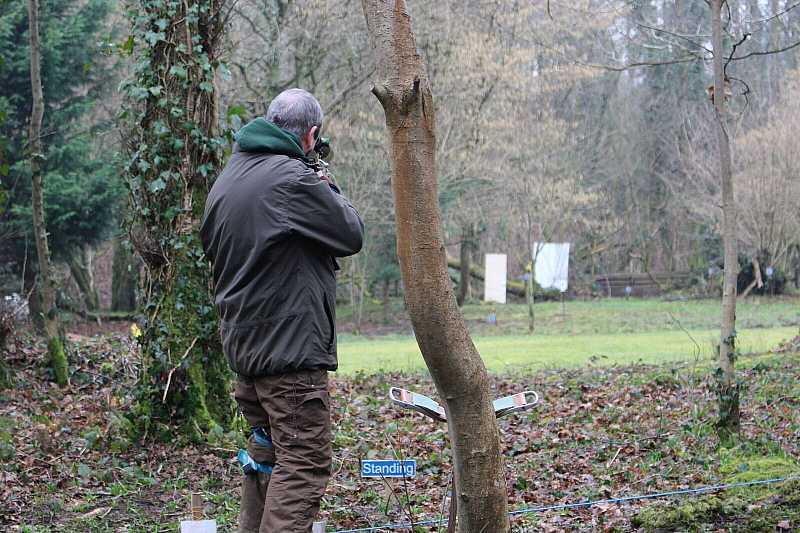 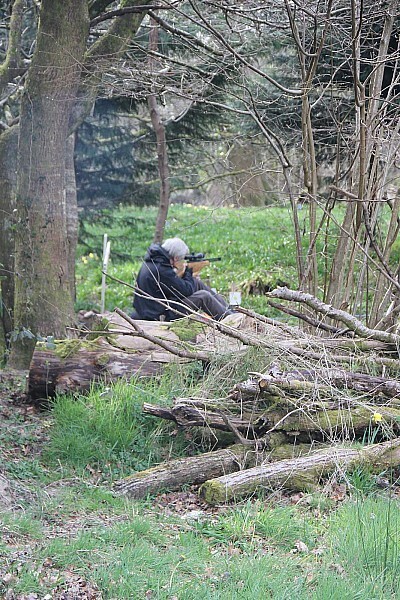 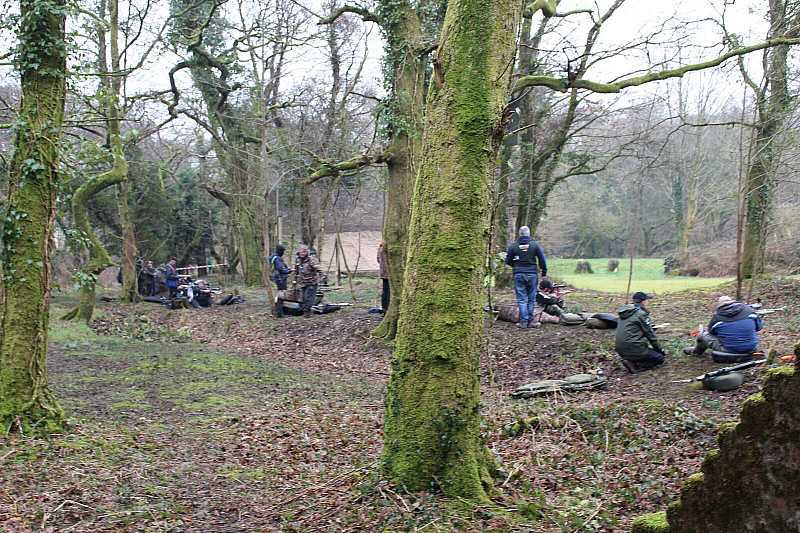 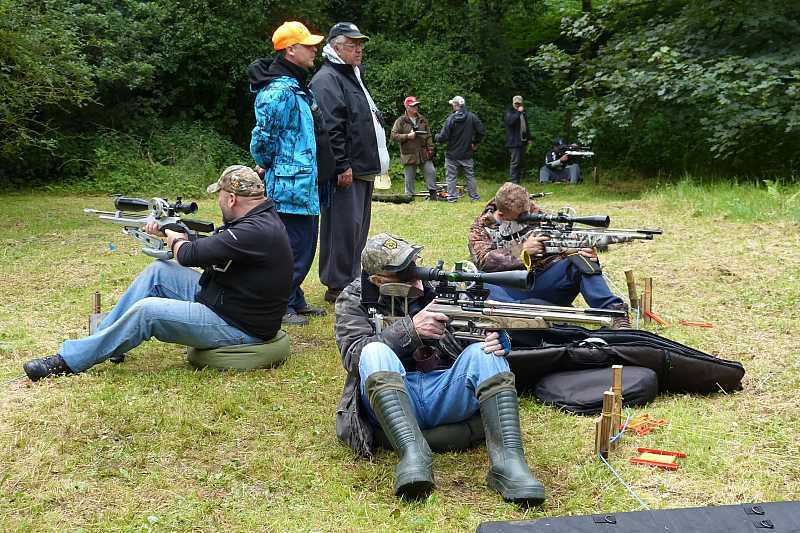 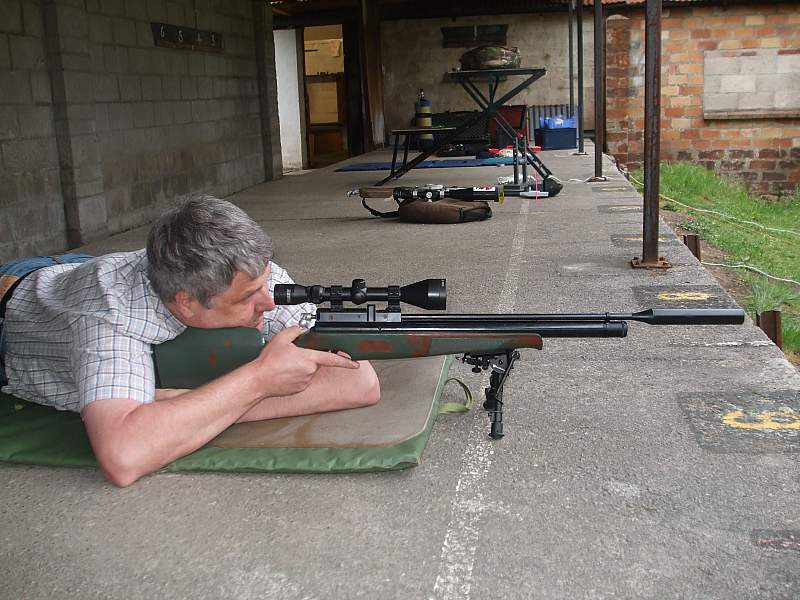 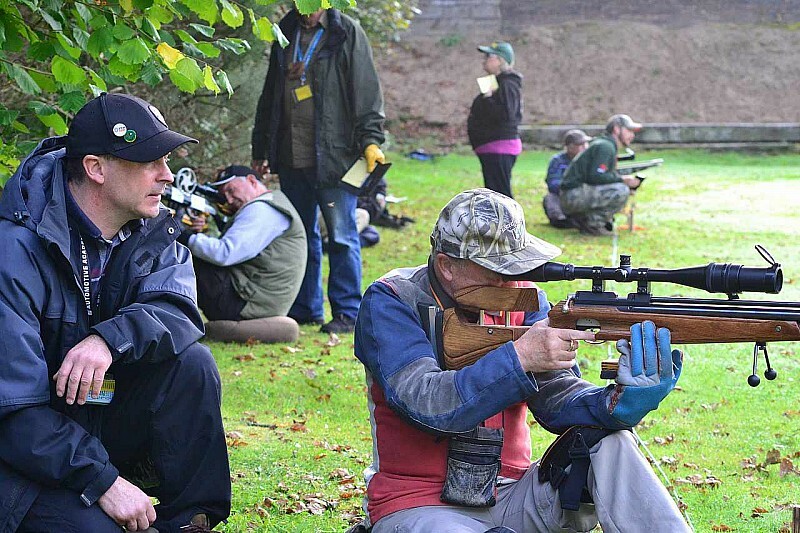 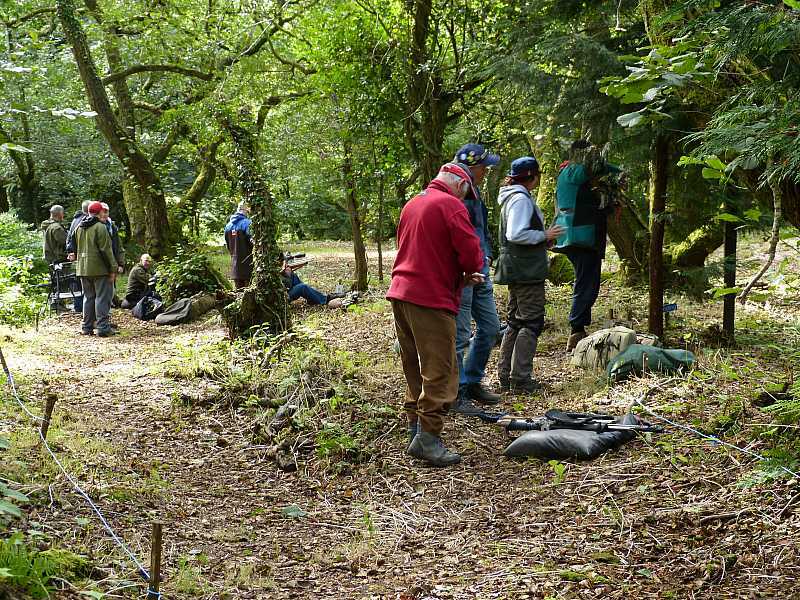 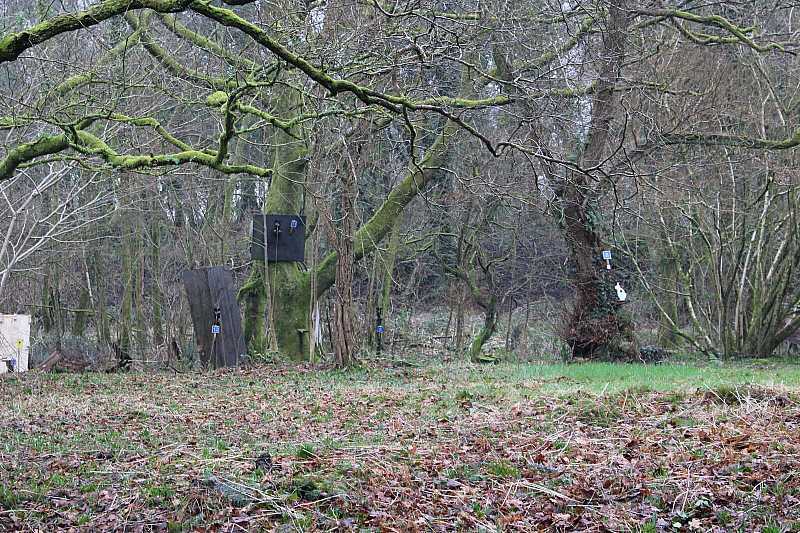 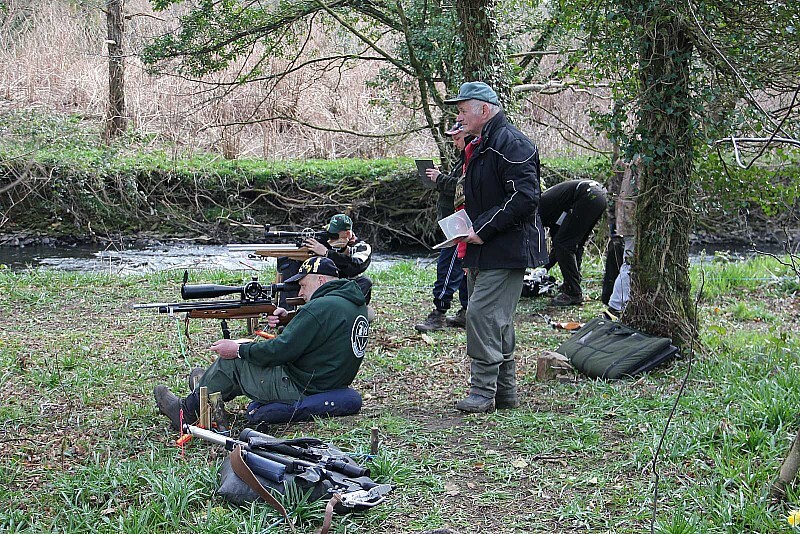 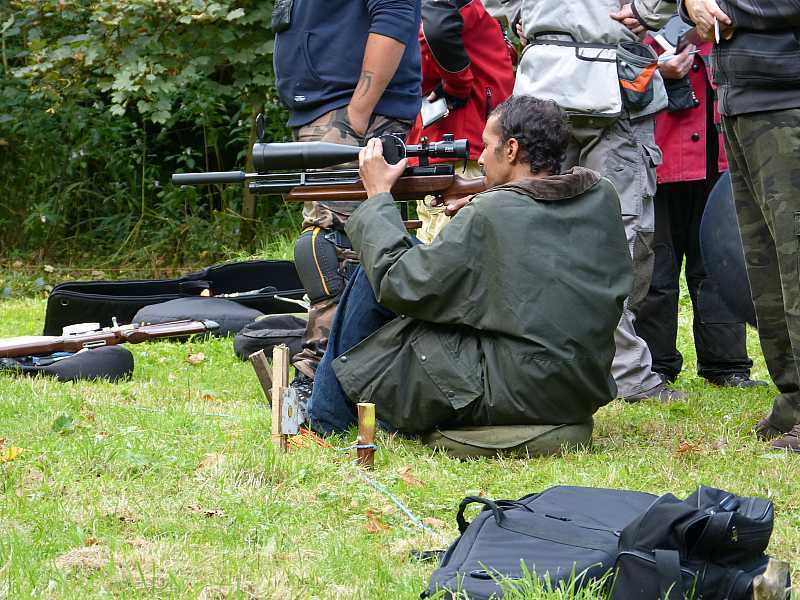 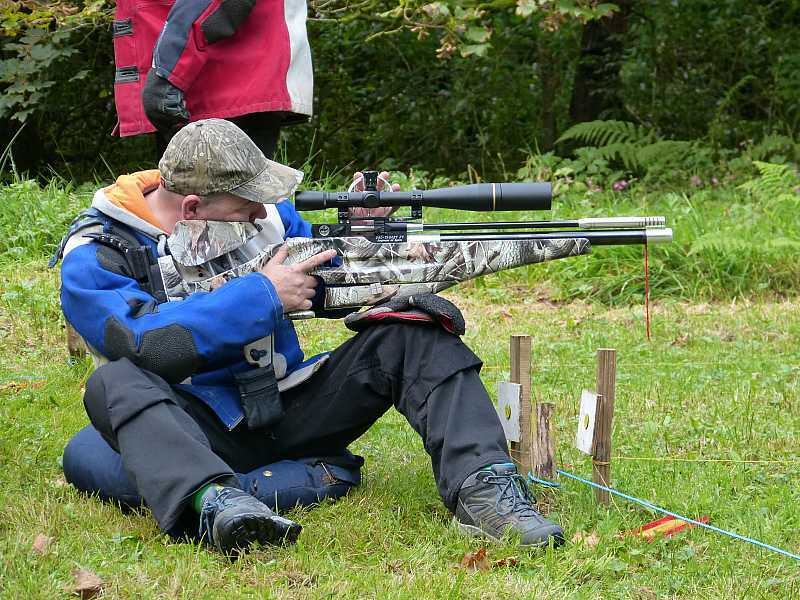 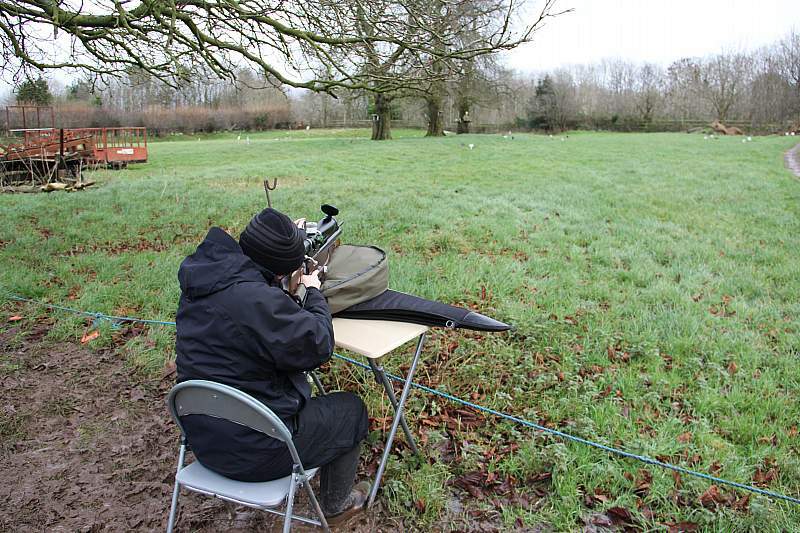 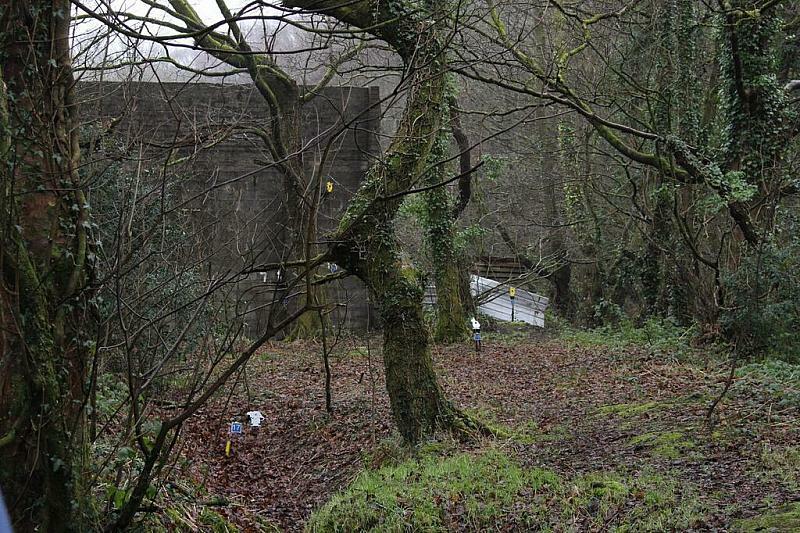 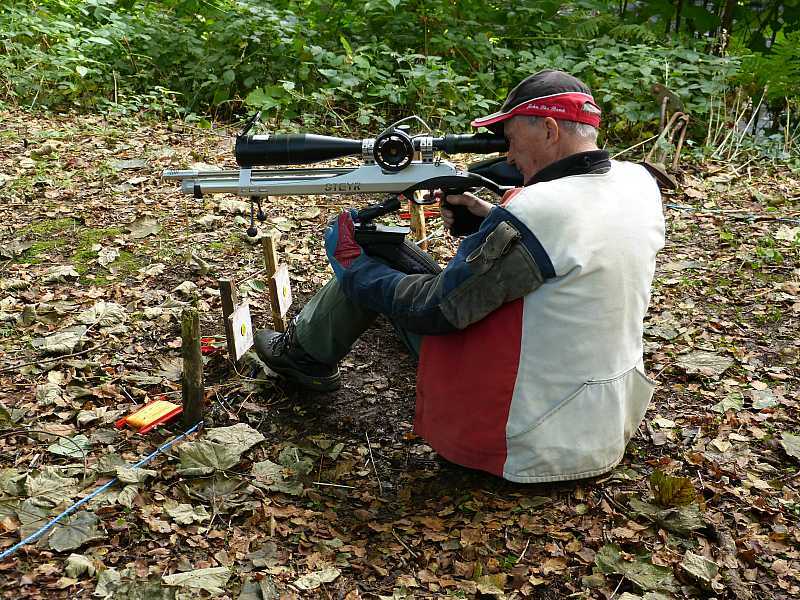 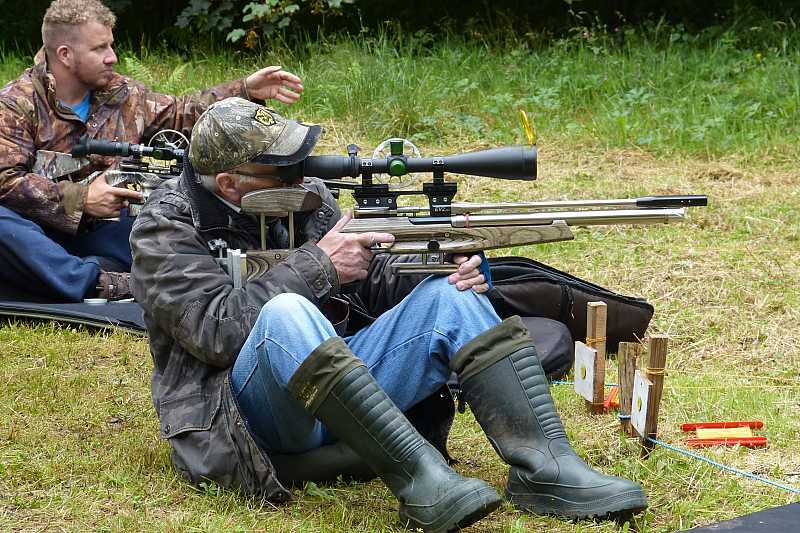 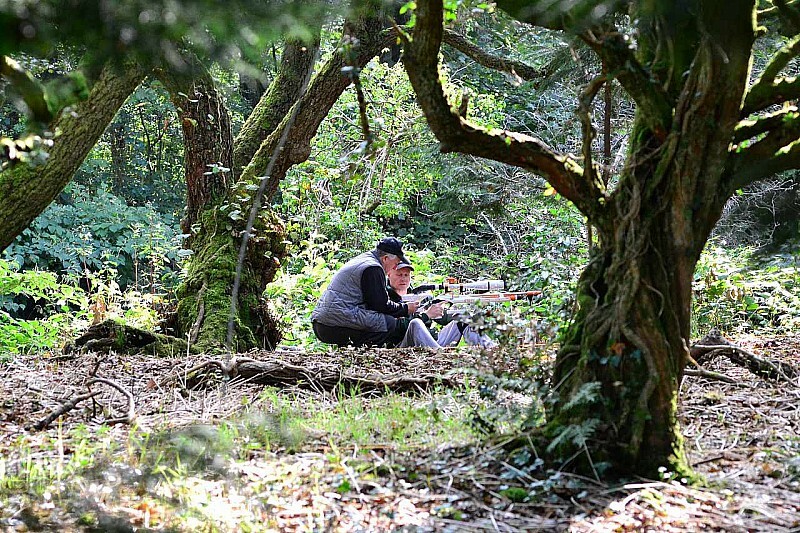 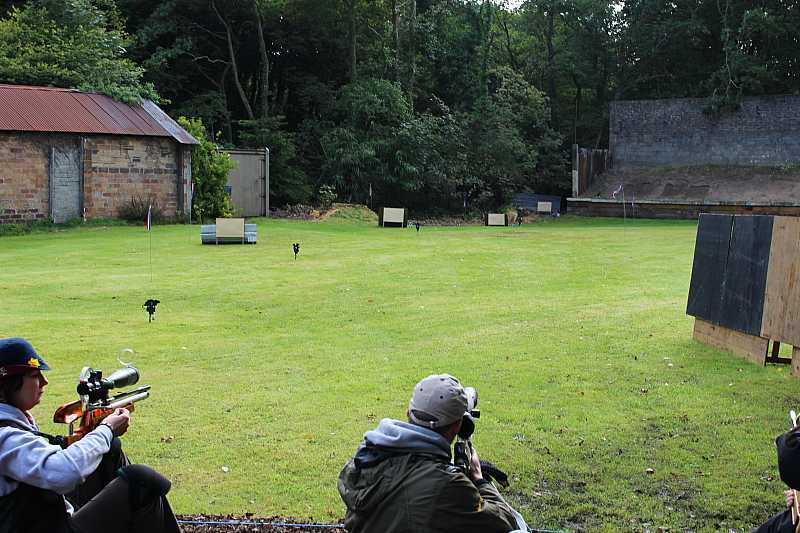 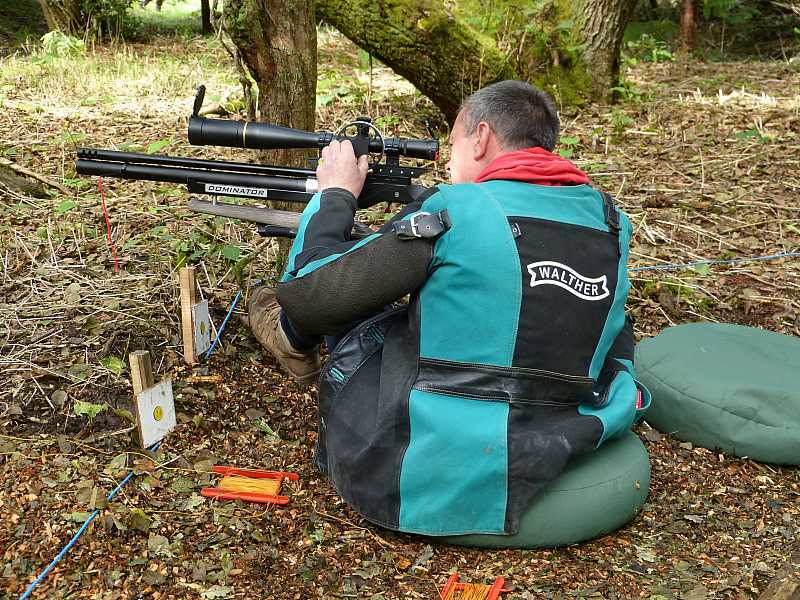 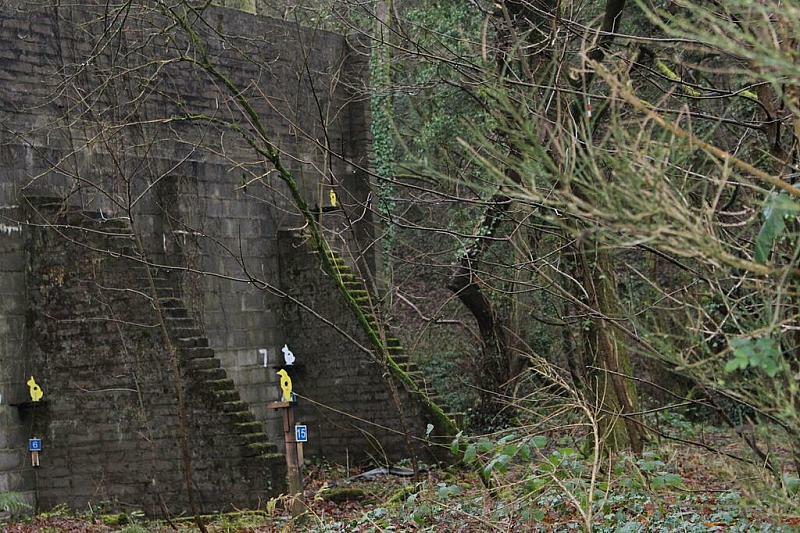 There were 28 entries in all and a shoot off was needed for four in the AA class who all managed a possible 40. 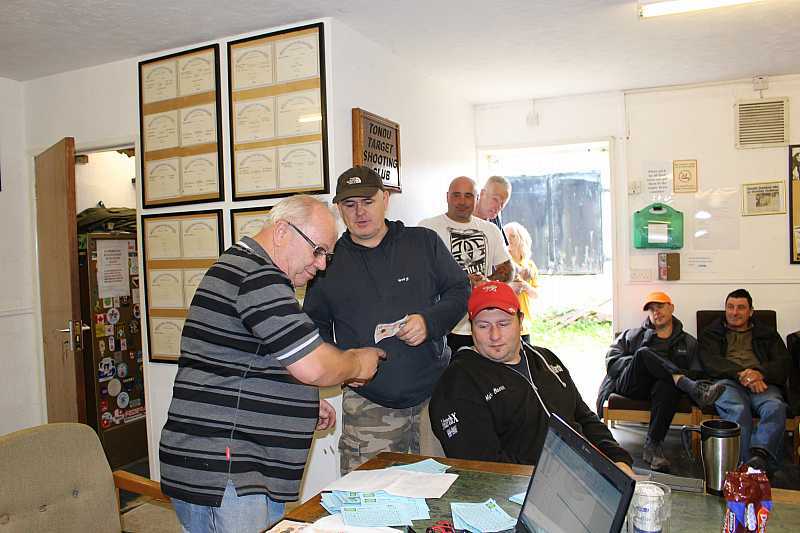 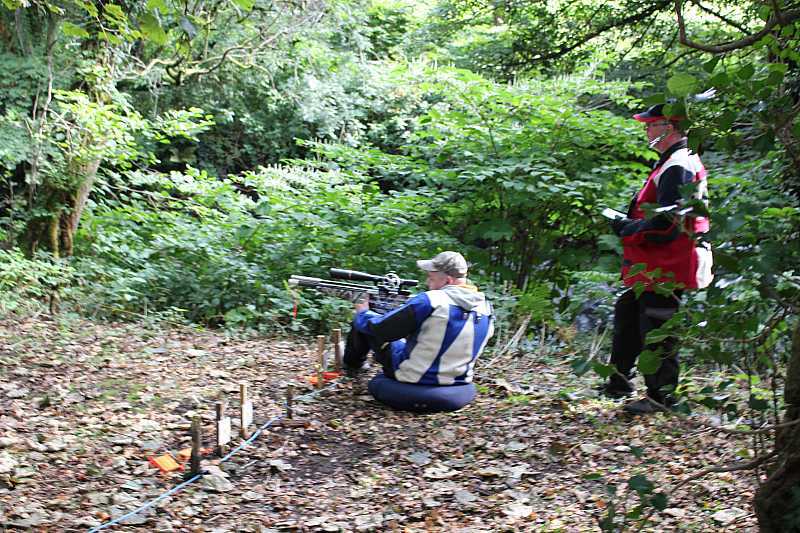 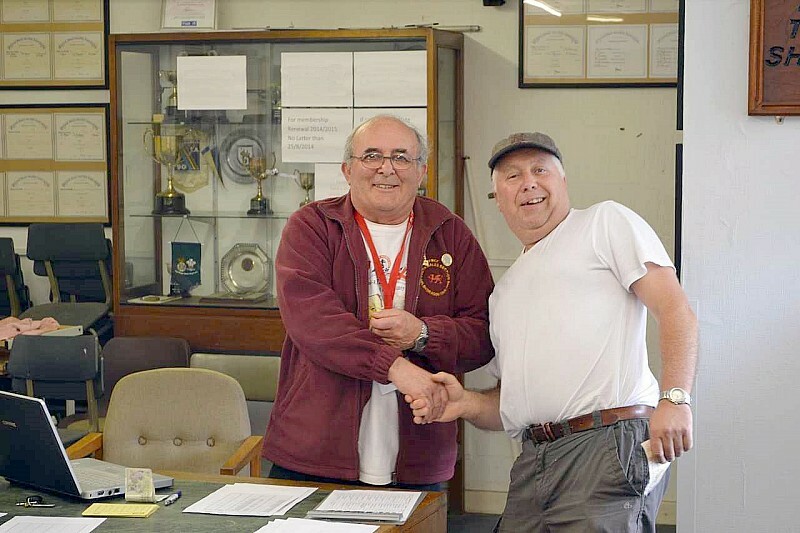 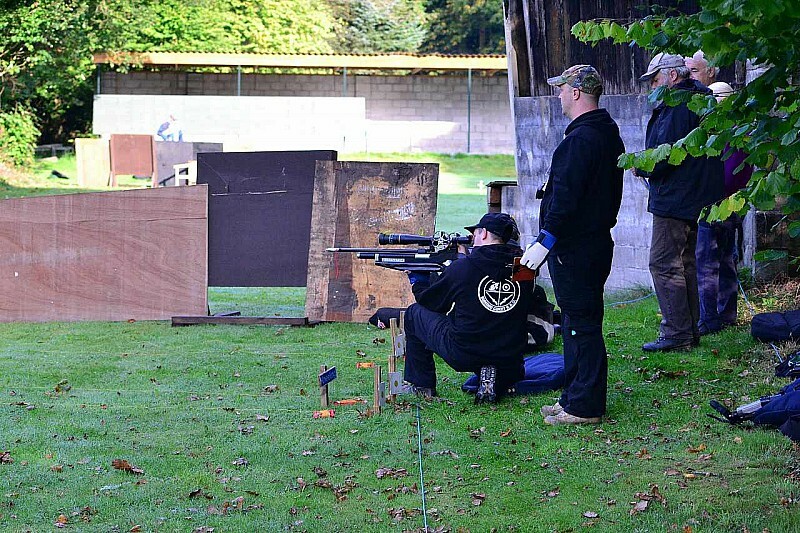 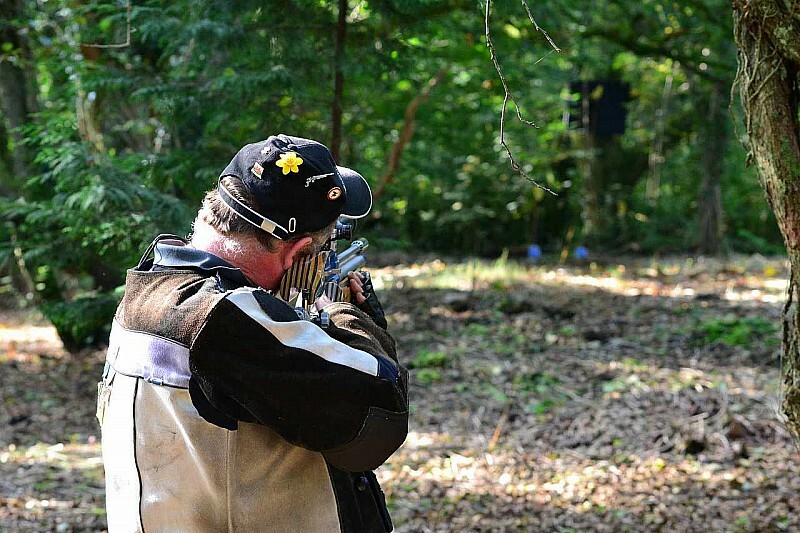 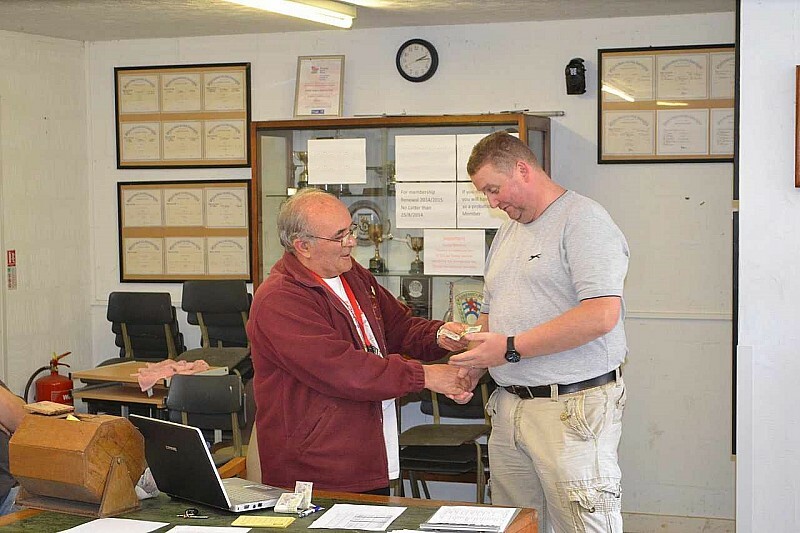 Also in B class a shoot off was needed for three shooters in 2nd place, all with scores of 33. 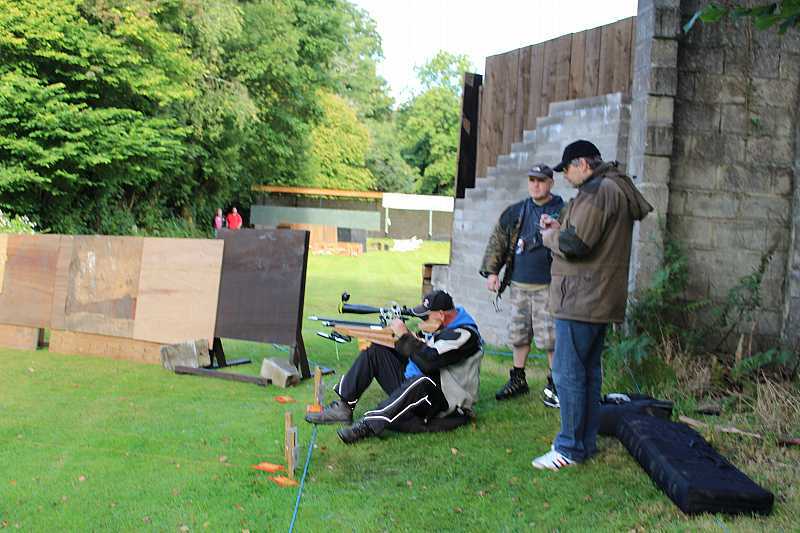 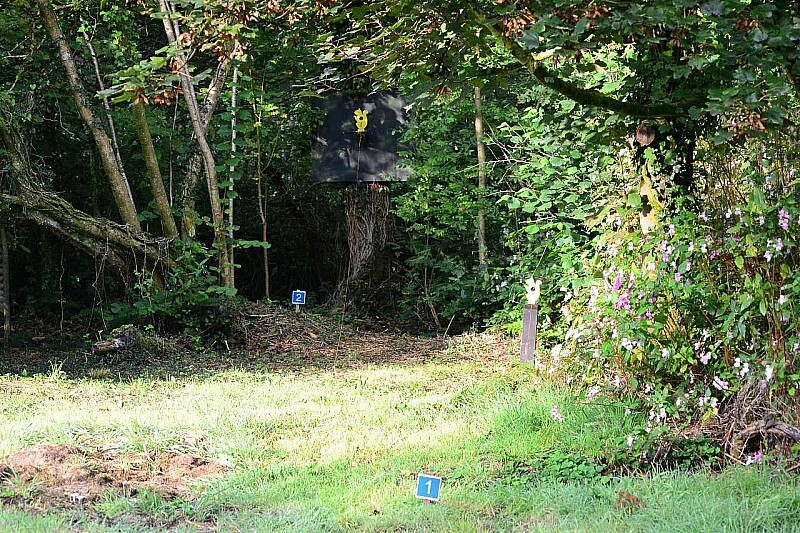 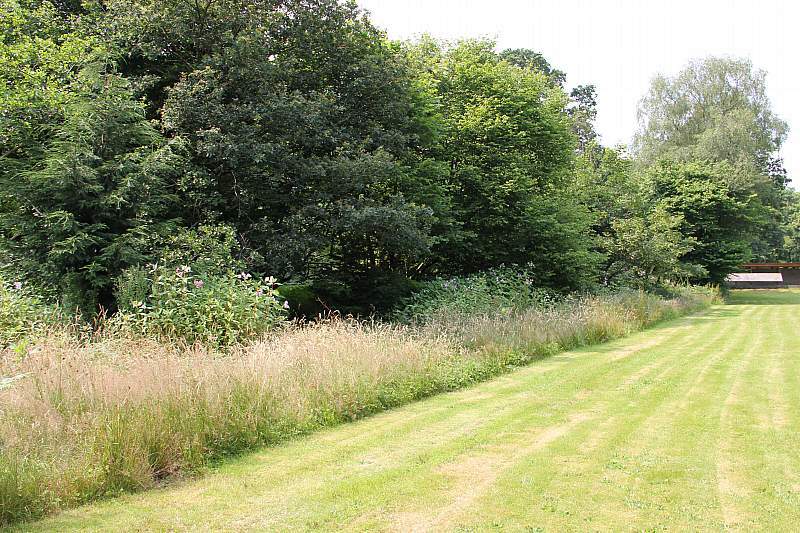 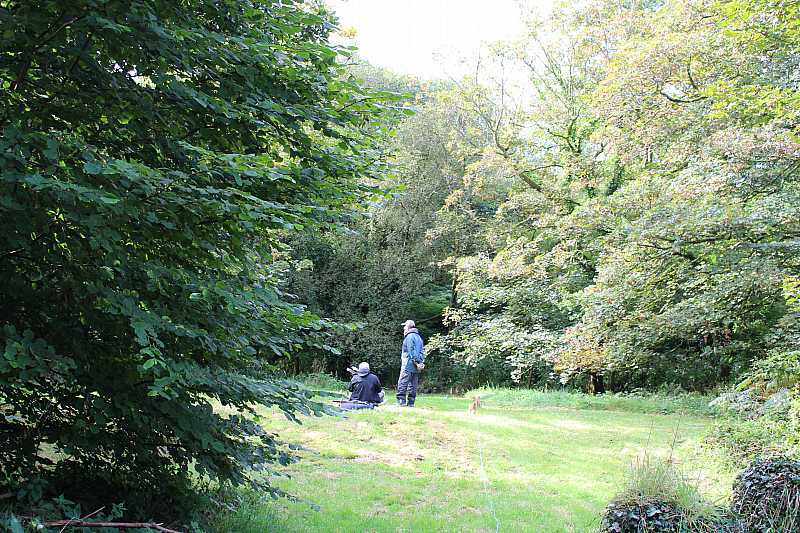 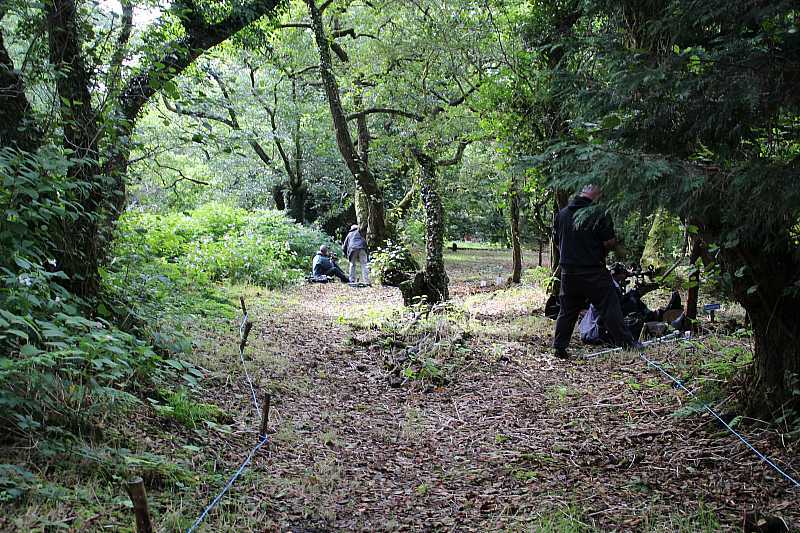 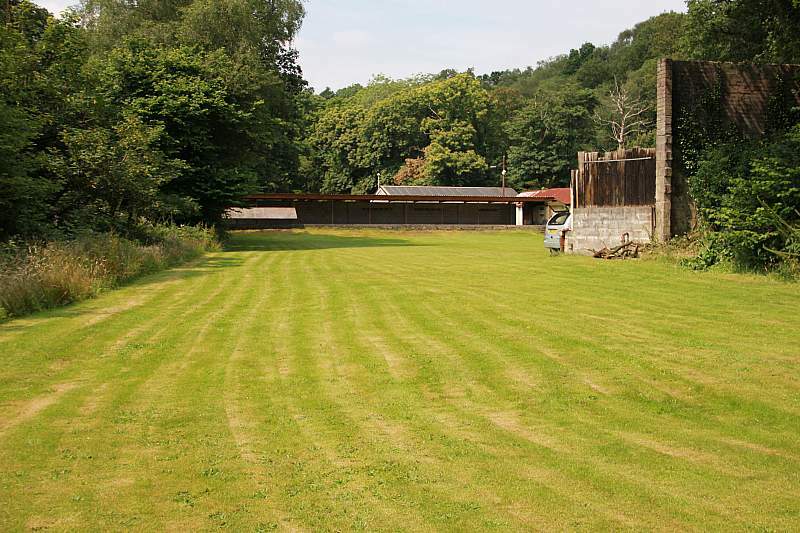 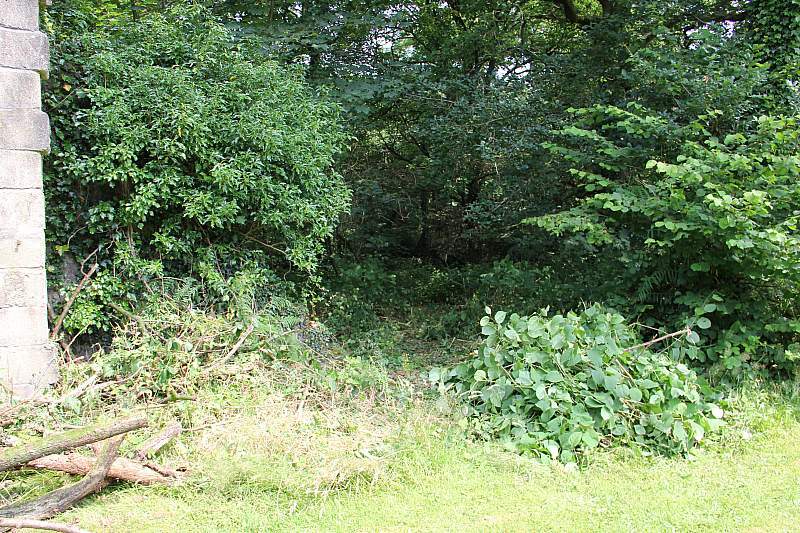 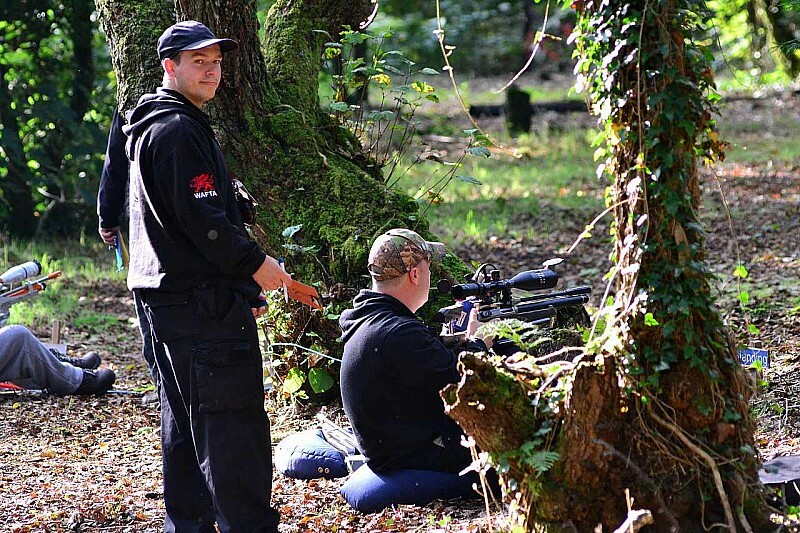 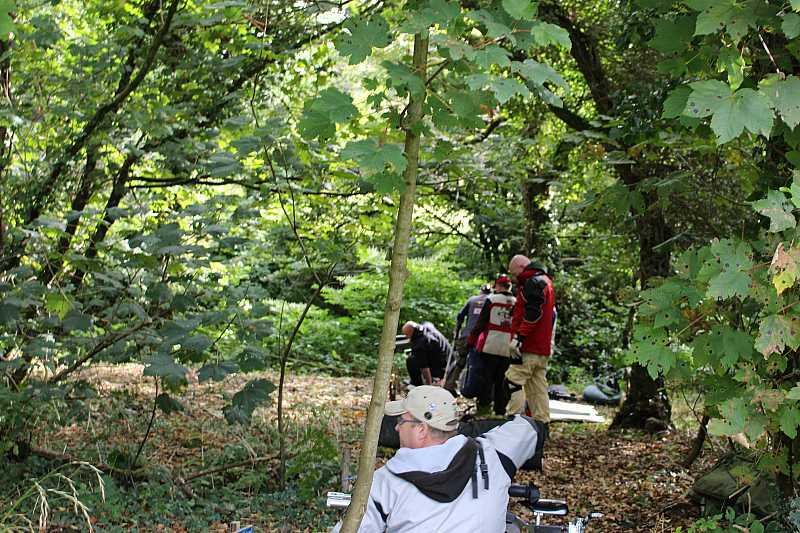 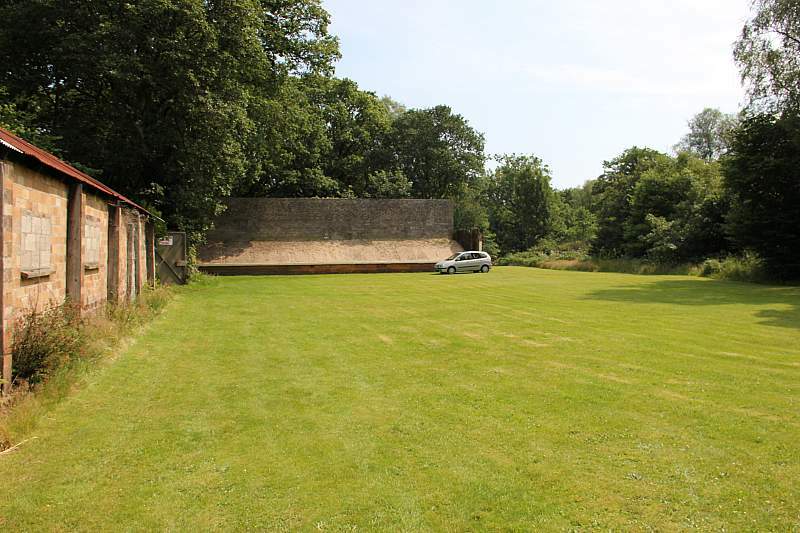 Various comments were made and we shall digest and improve the course for our next shoot here on the 8th September 2013. 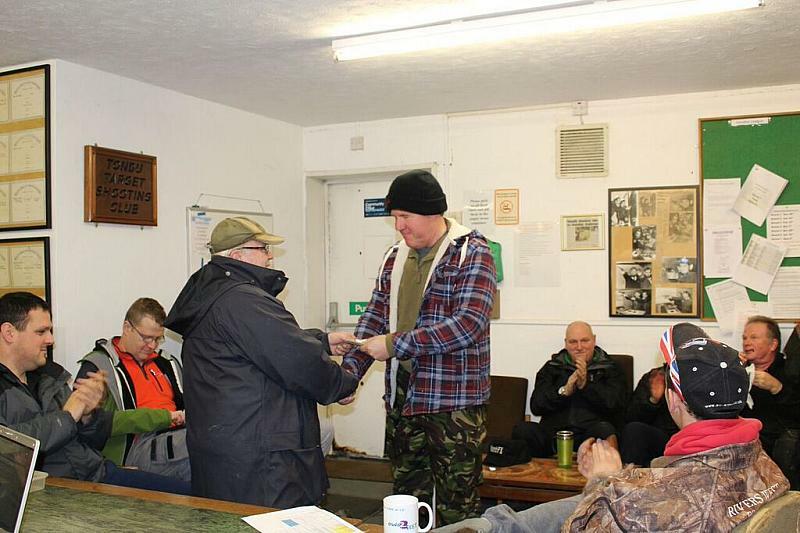 Thanks to all who helped - it was a good day. 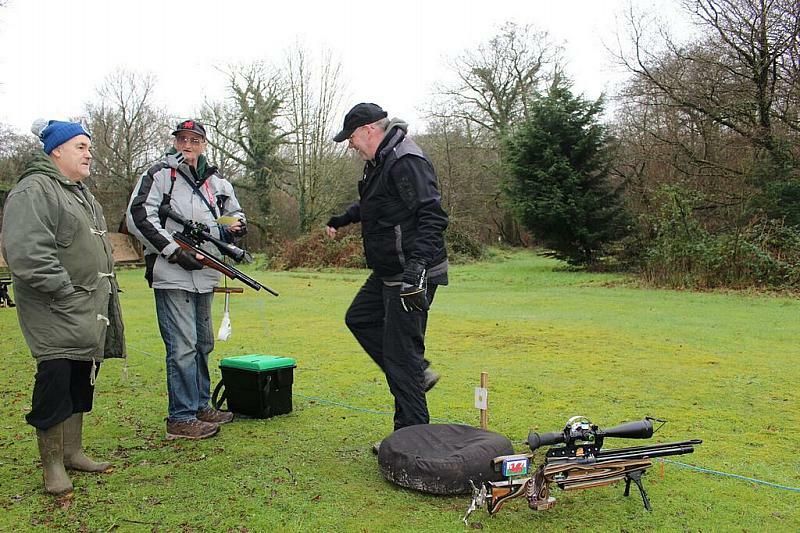 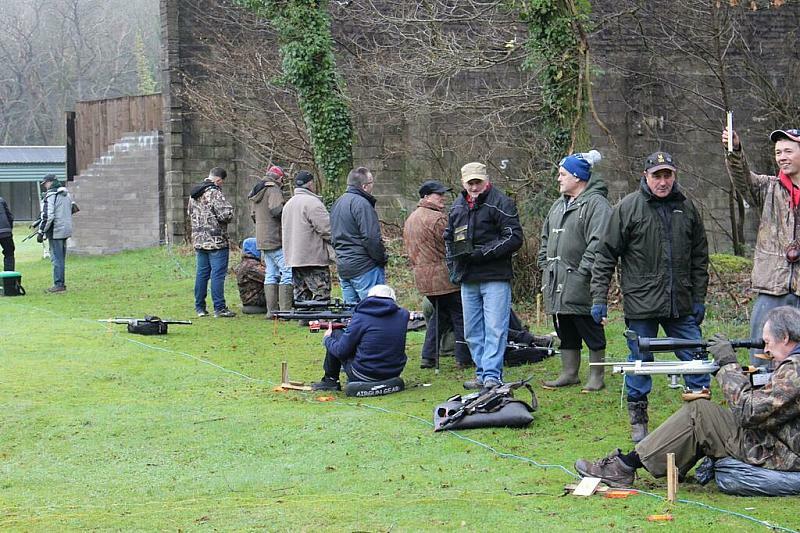 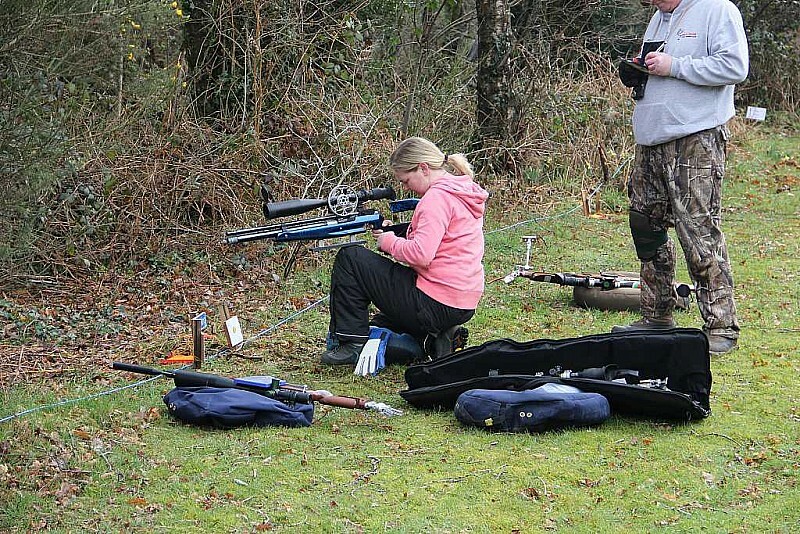 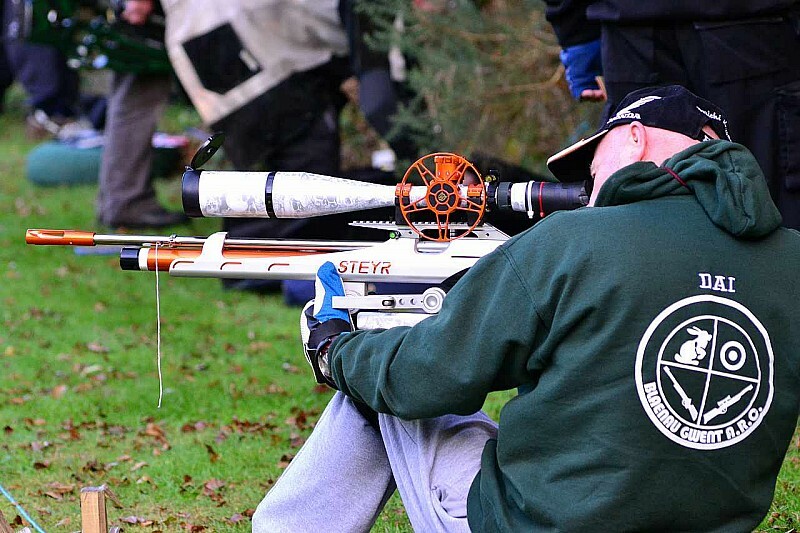 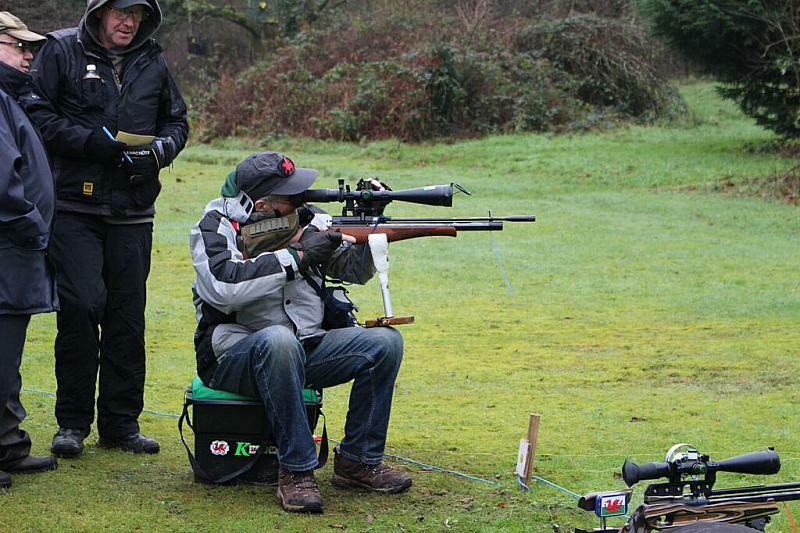 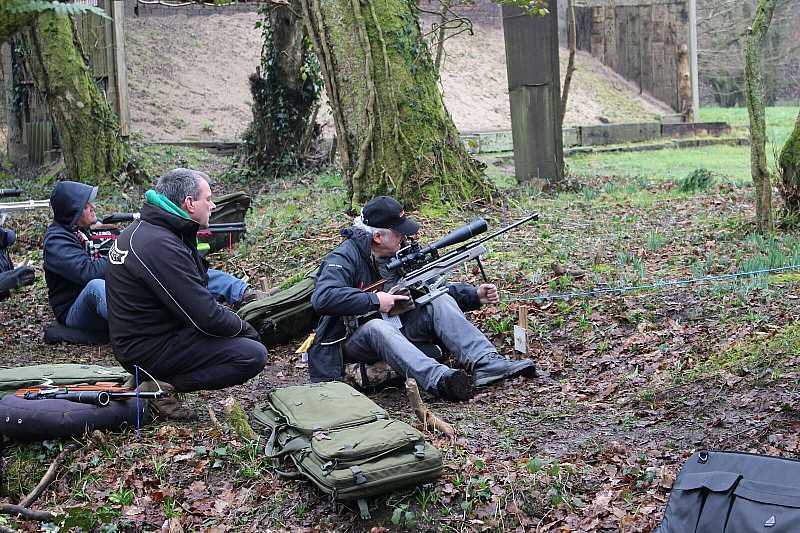 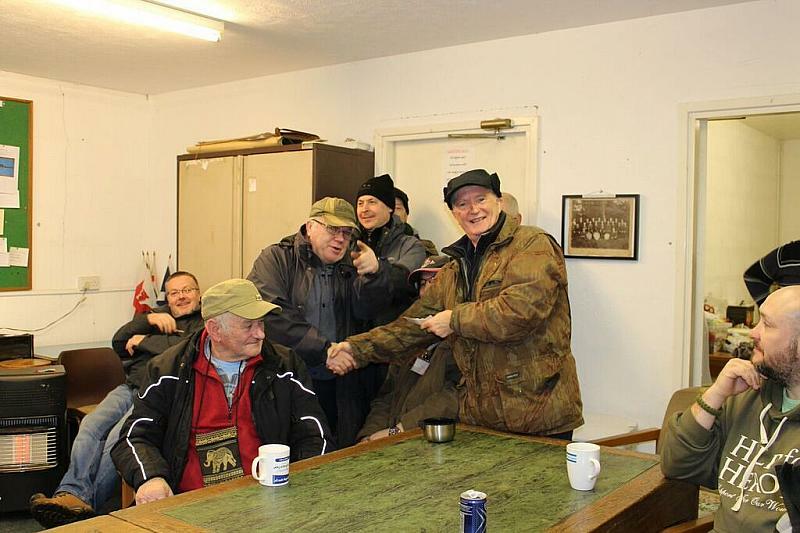 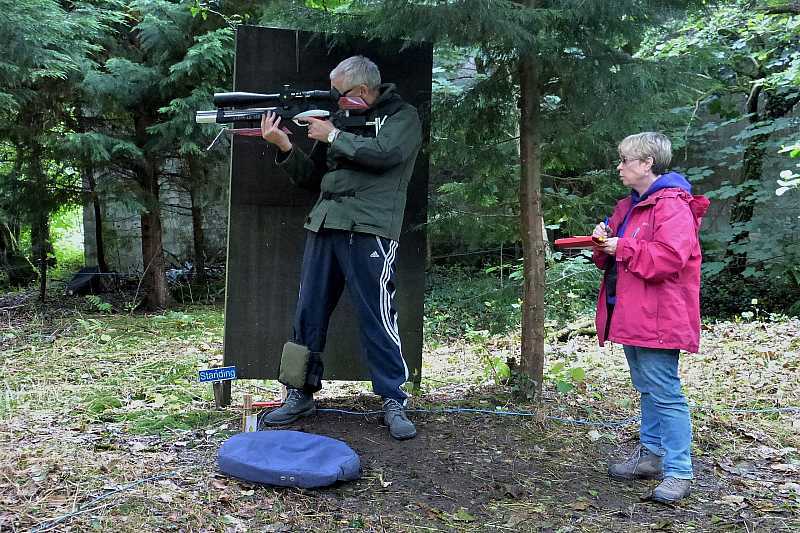 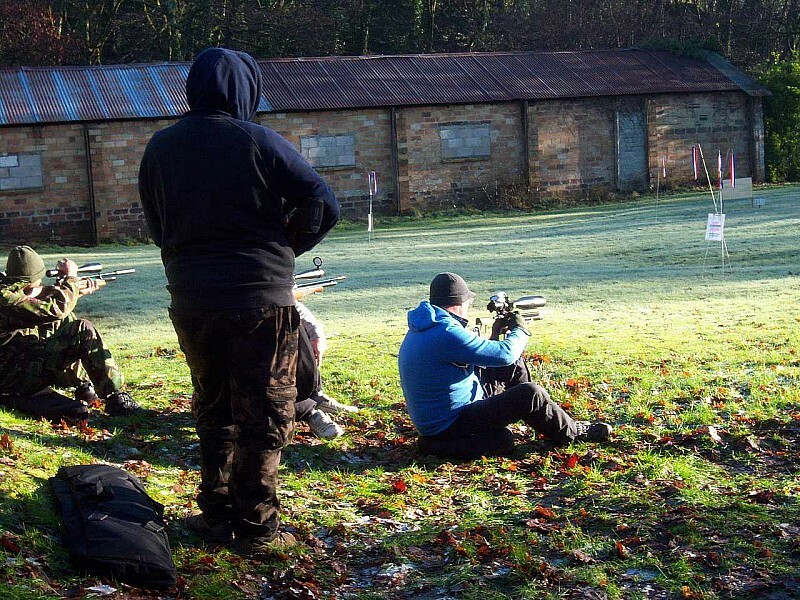 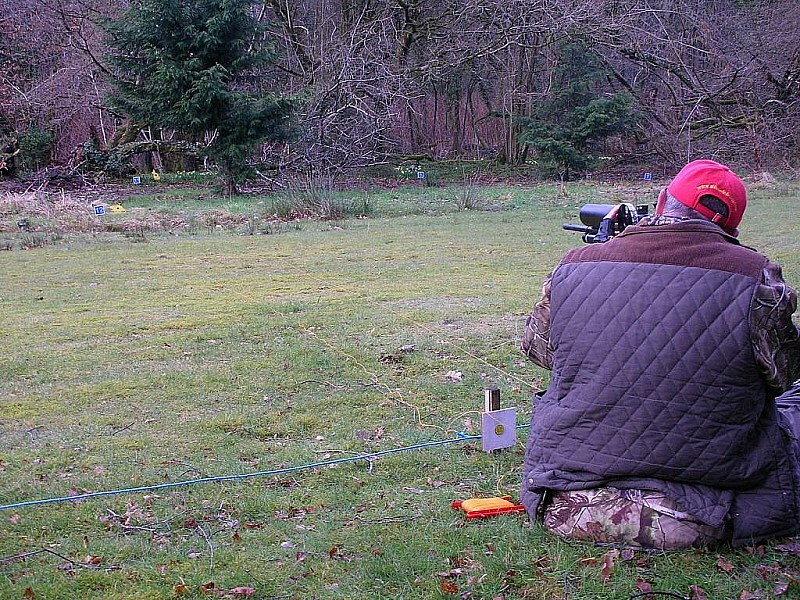 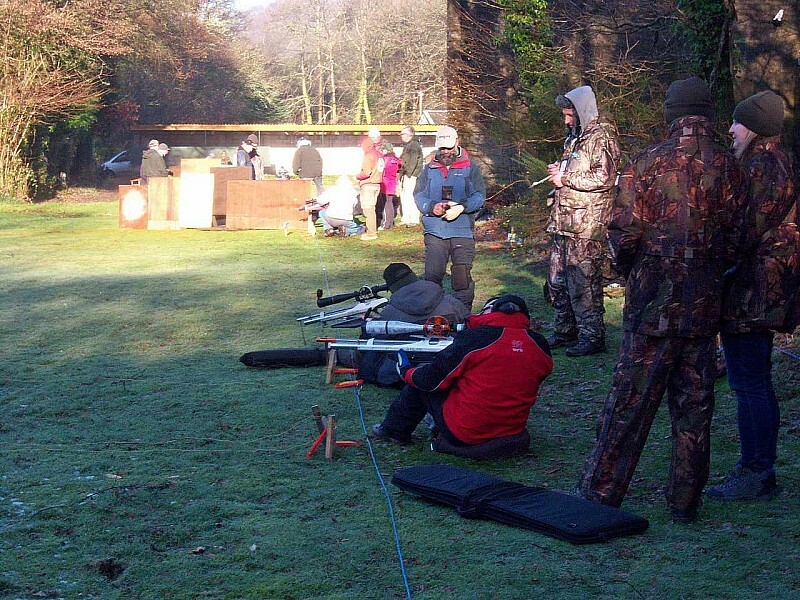 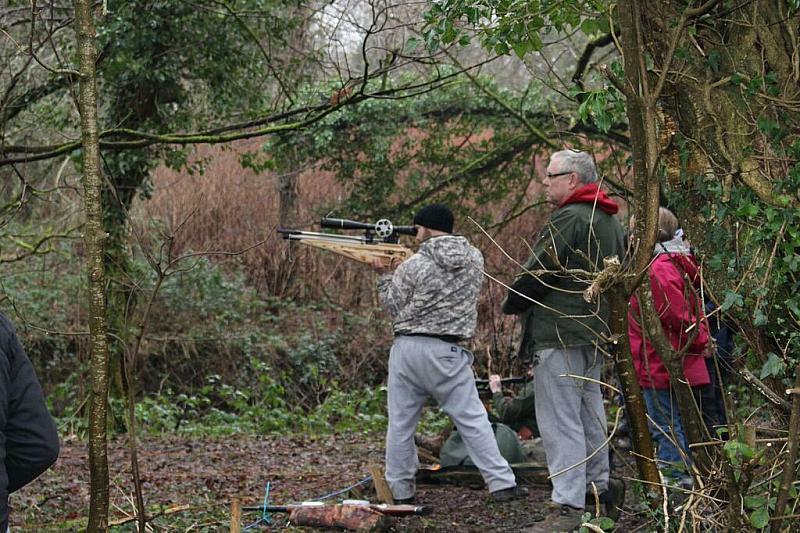 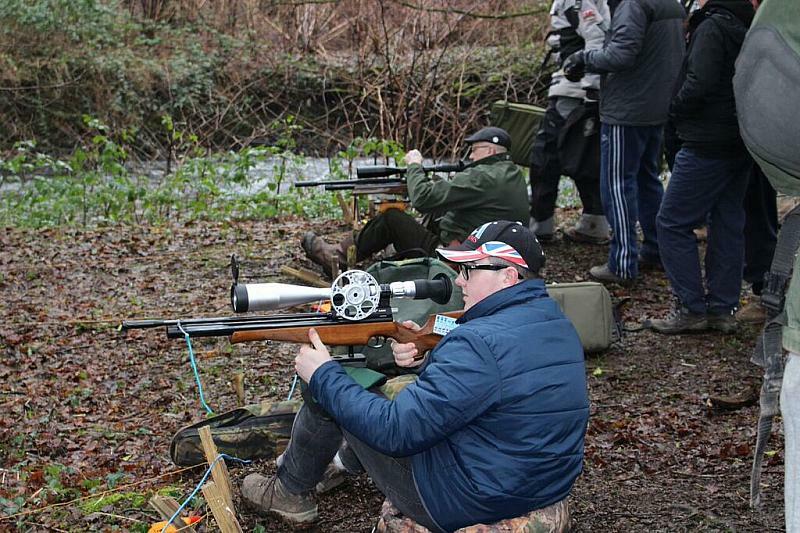 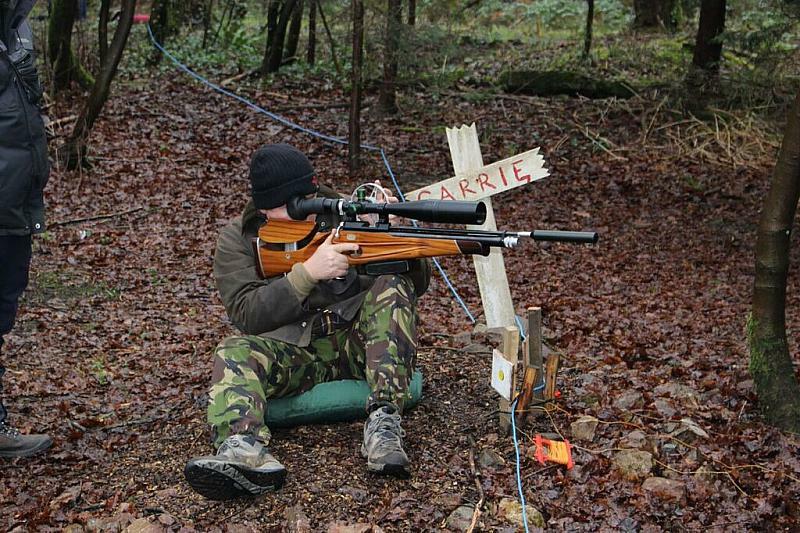 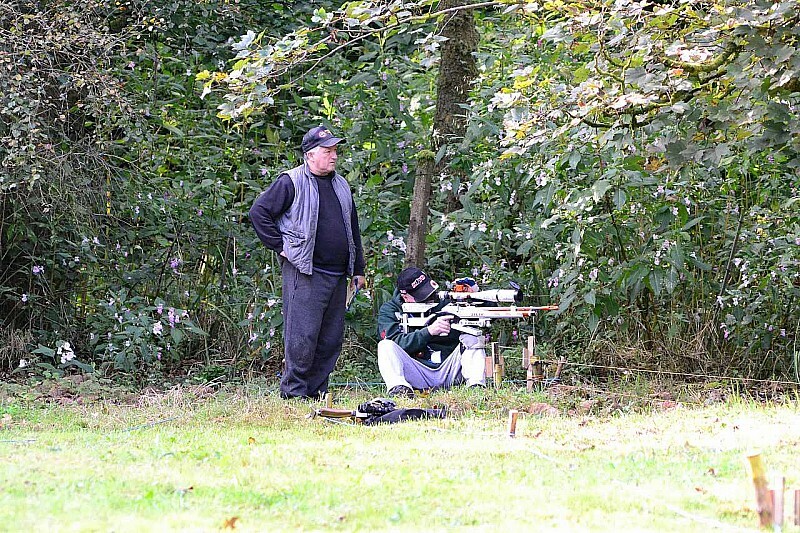 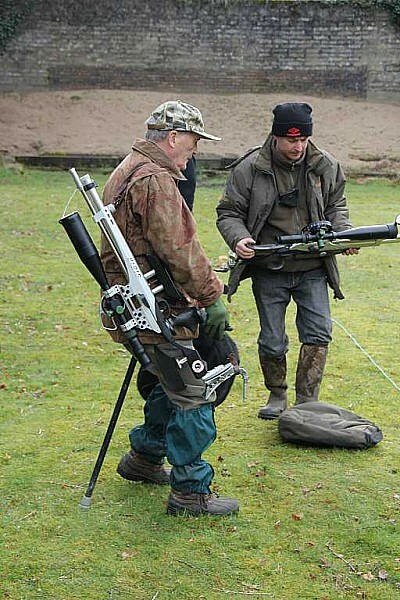 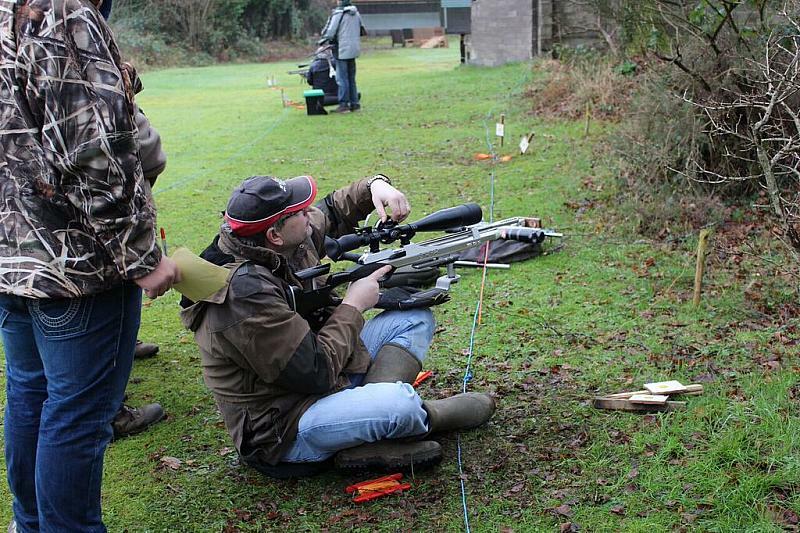 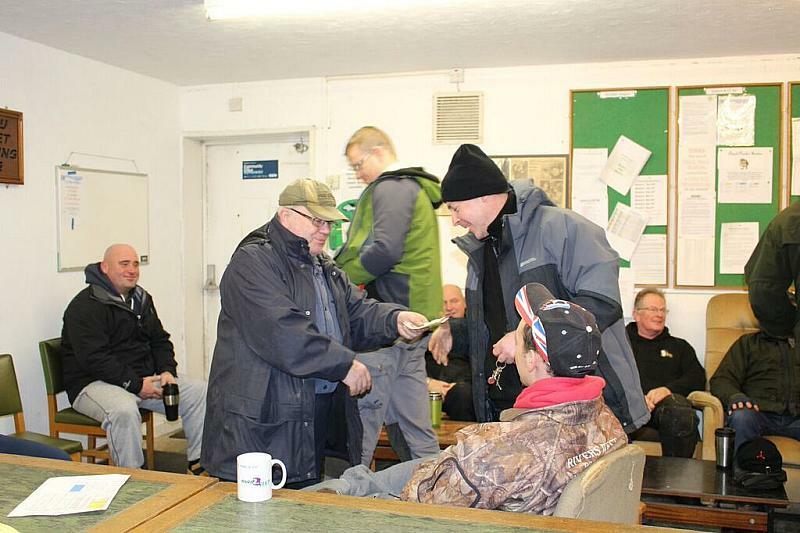 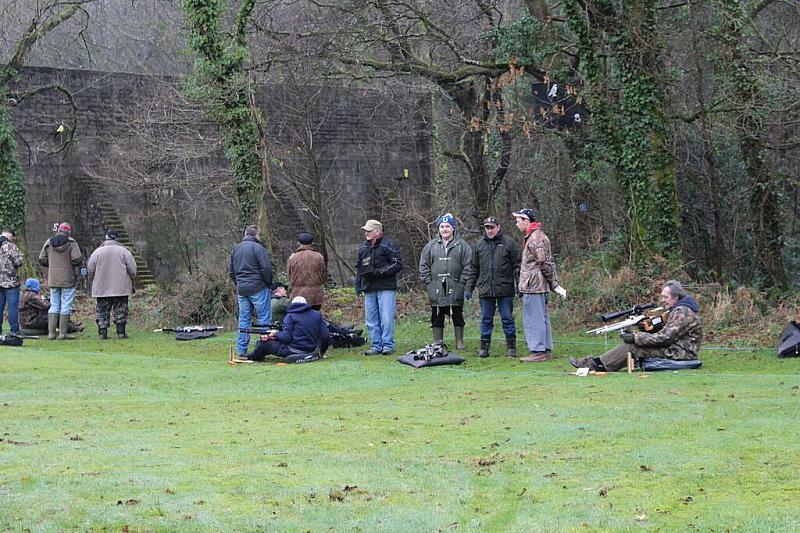 Several club members attended the Castleton FT Clubs festive season shoot. 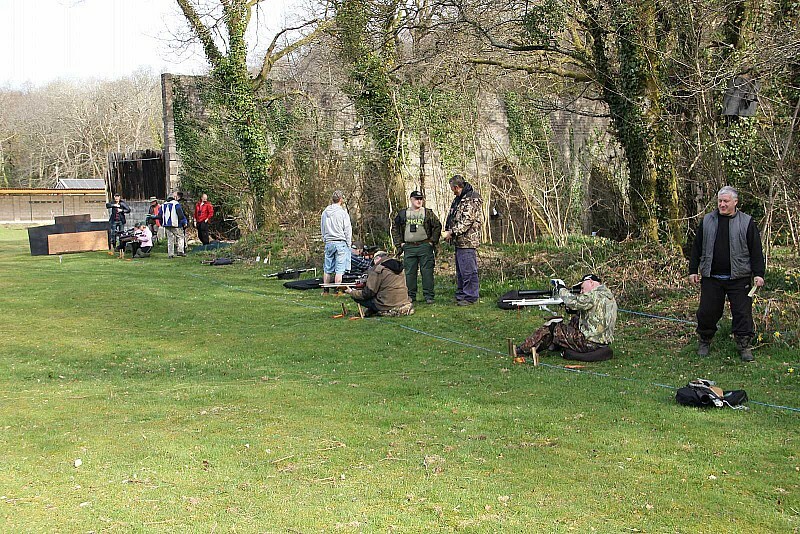 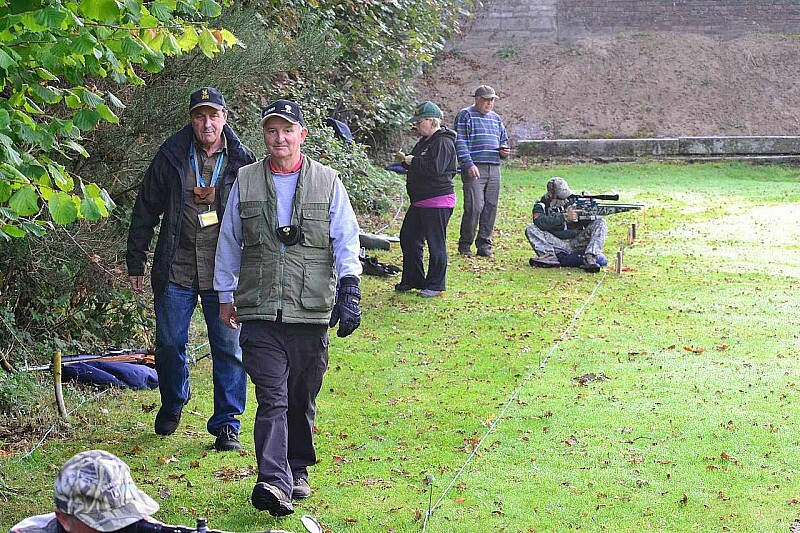 It was certainly a windy day but 36 shooters turned up to have a go. 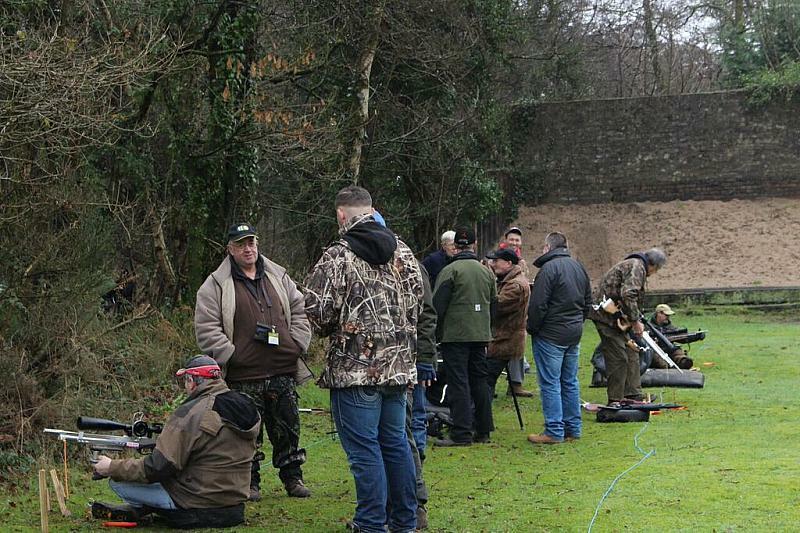 I suspect that the fact that Bacon Rolls and coffee were available helped quite a bit to encourage a reasonable turnout. 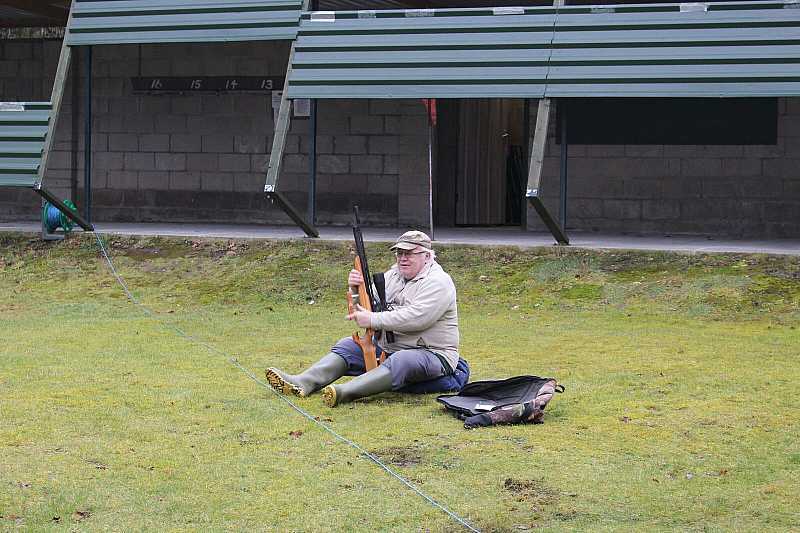 Gary H managed to tie in third place with 17 out of 30 - a super effort considering the severe wind problems. 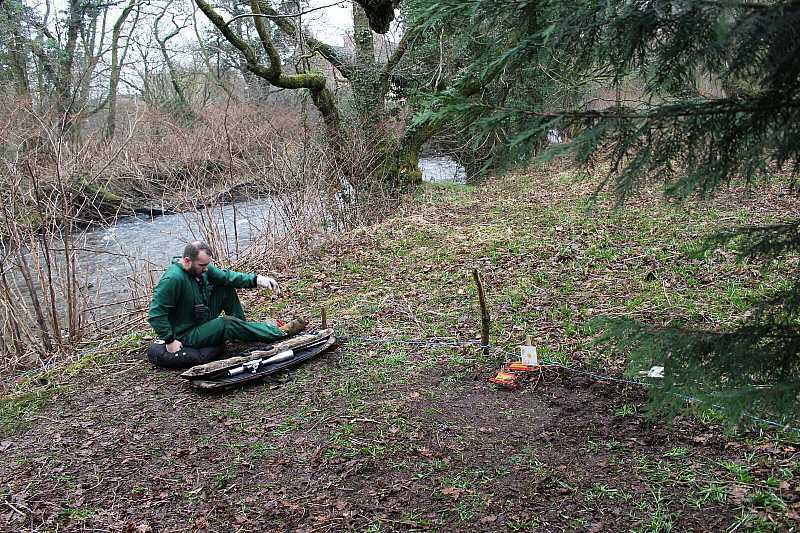 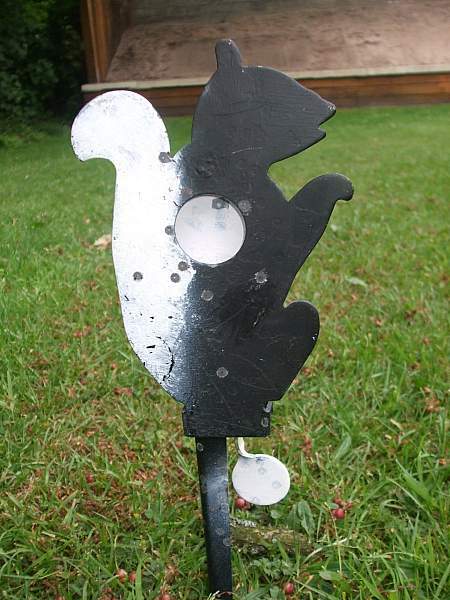 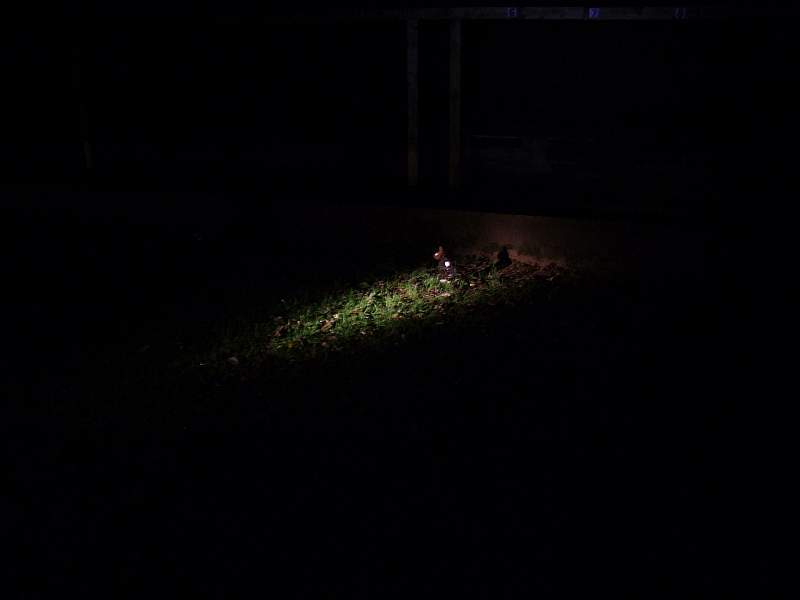 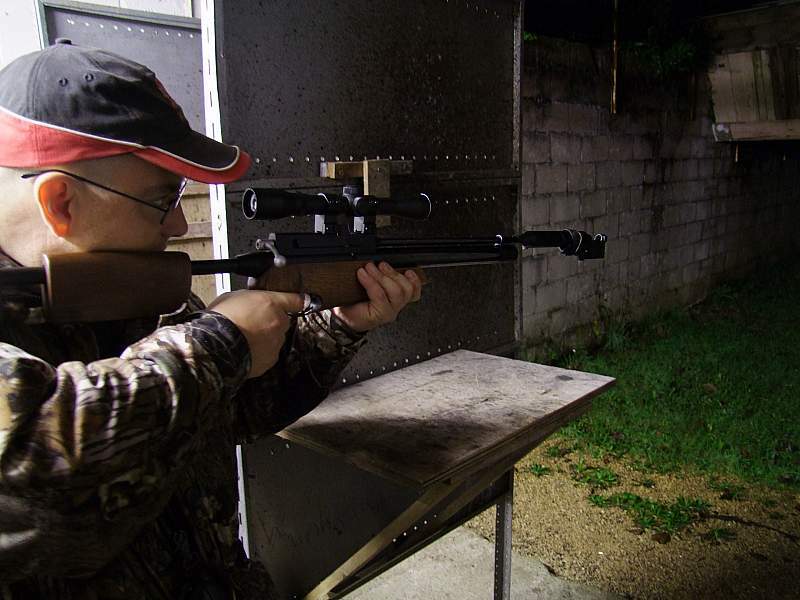 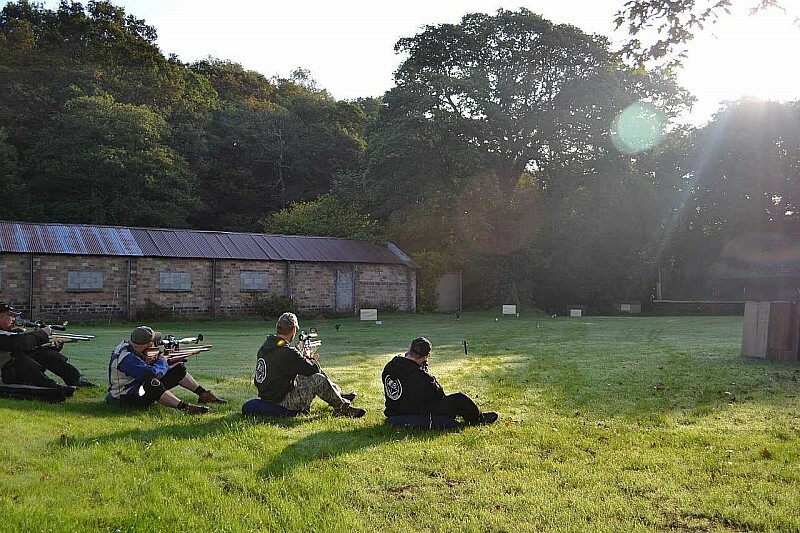 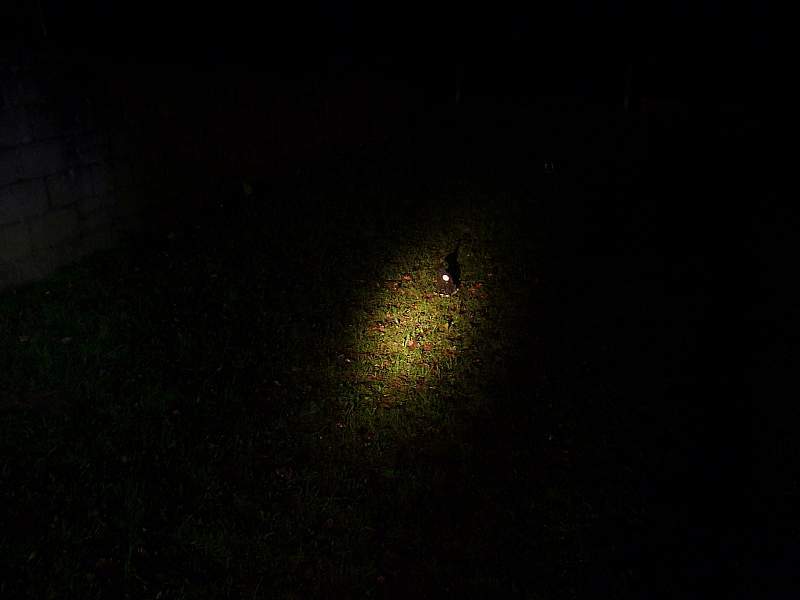 A 'lamping' session, simulating shooting at night time with targets being lit by a torch for a limited amount of time so as to introduce a competitive element.